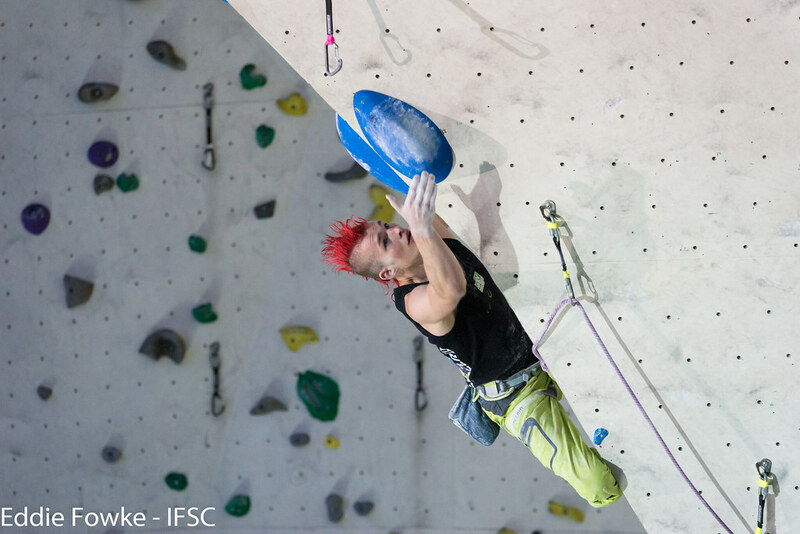 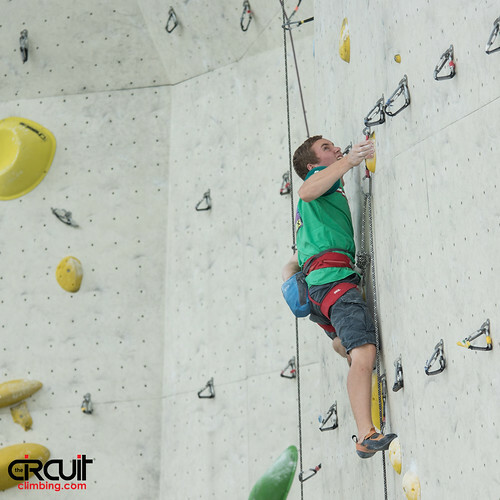 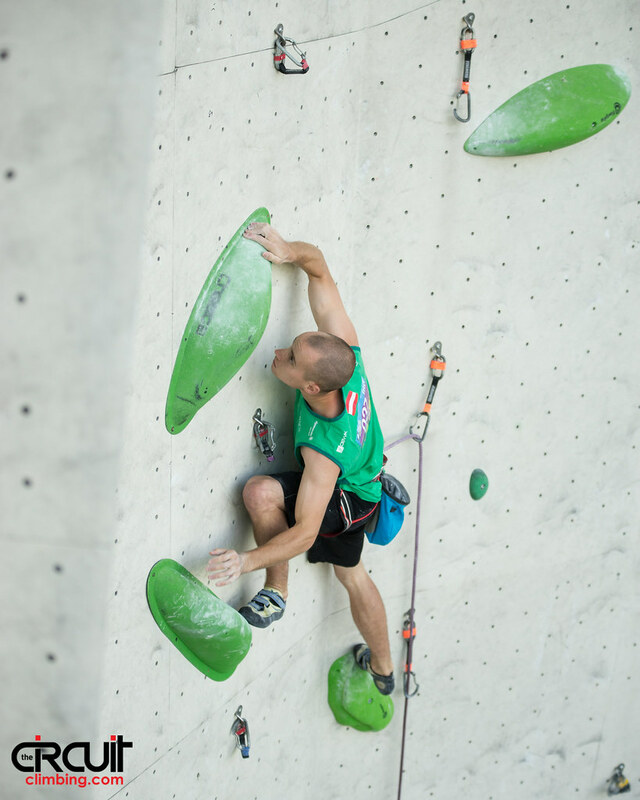 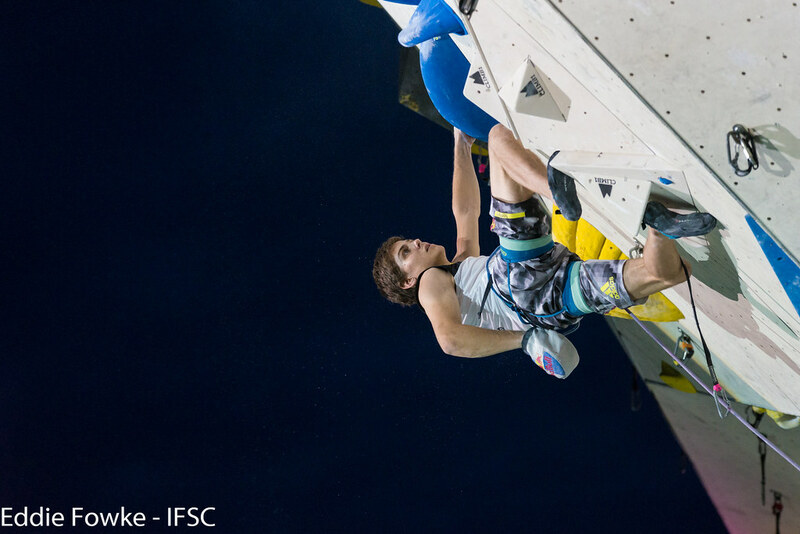 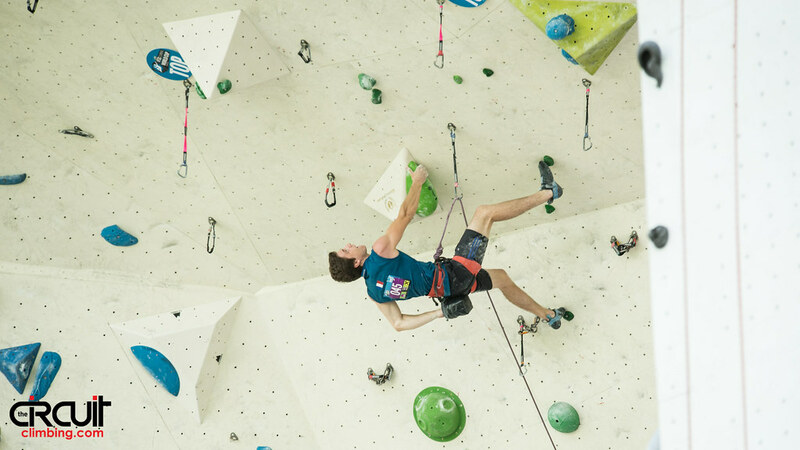 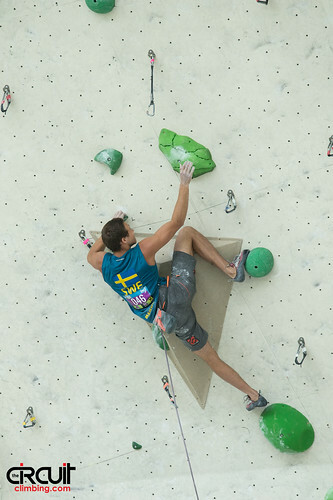 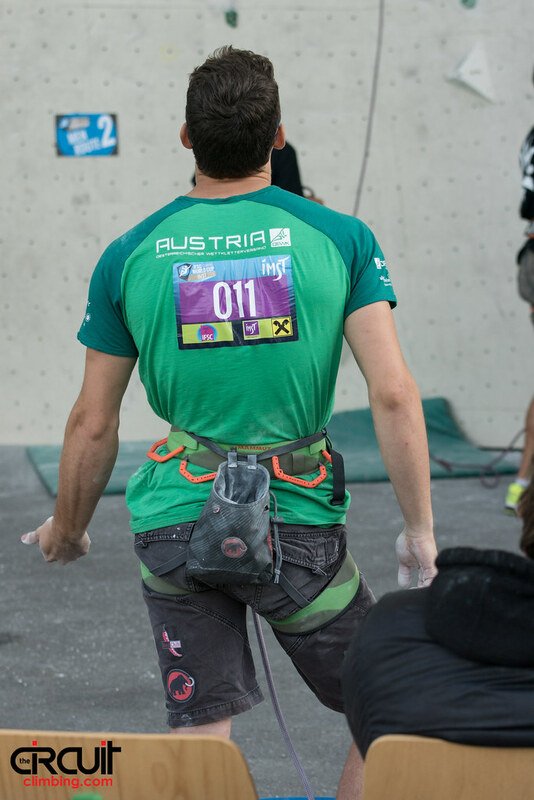 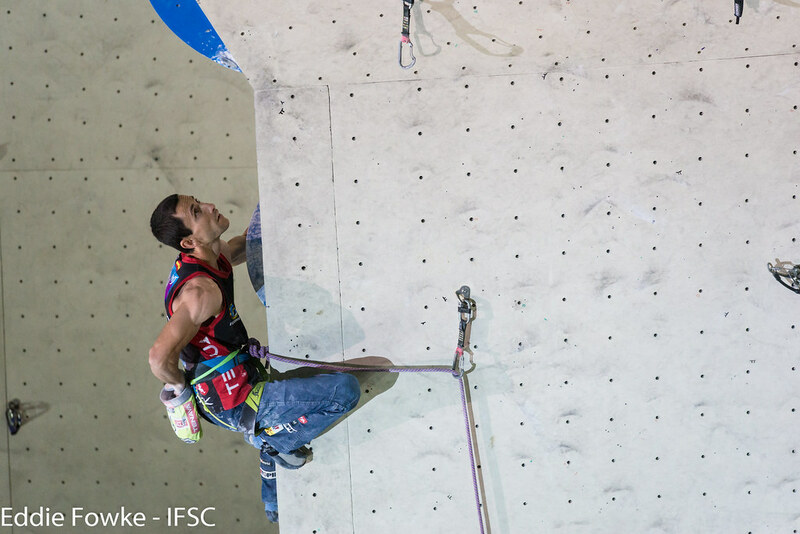 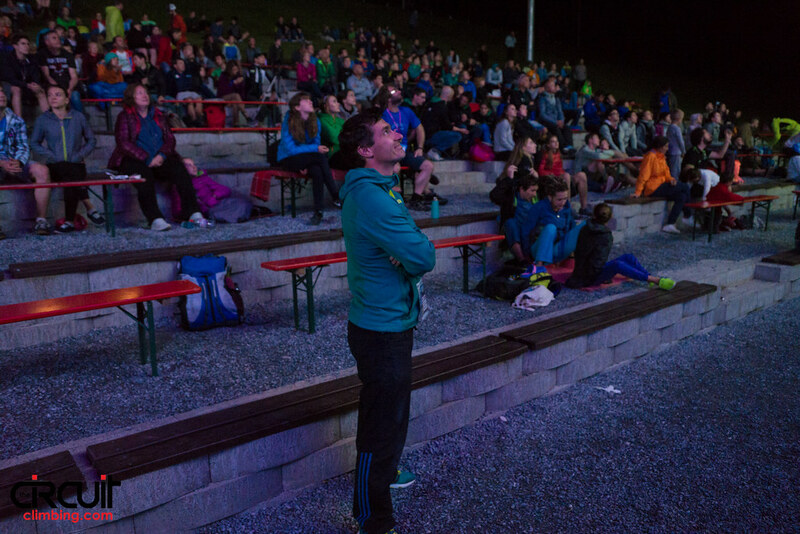 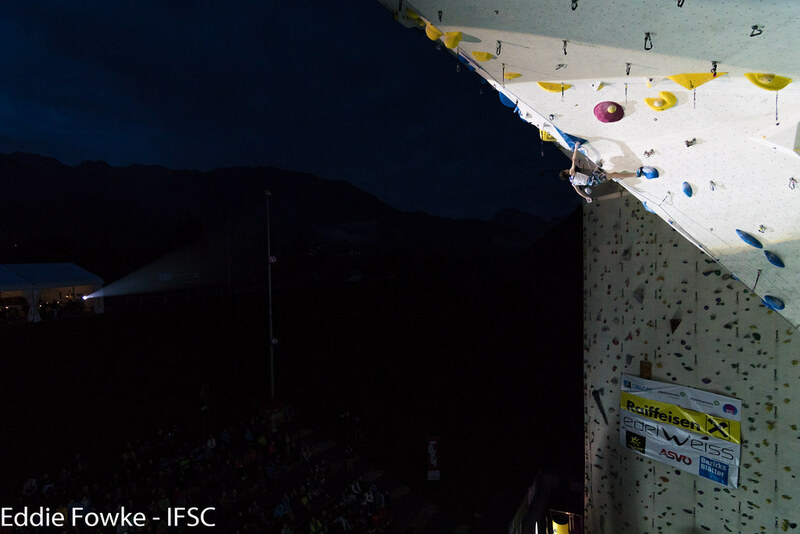 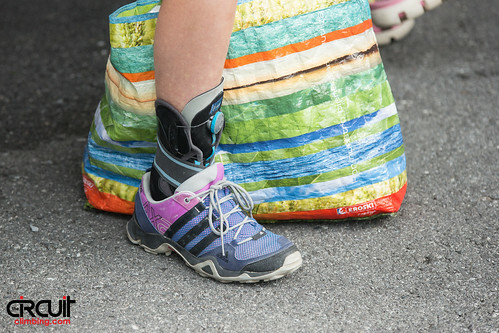 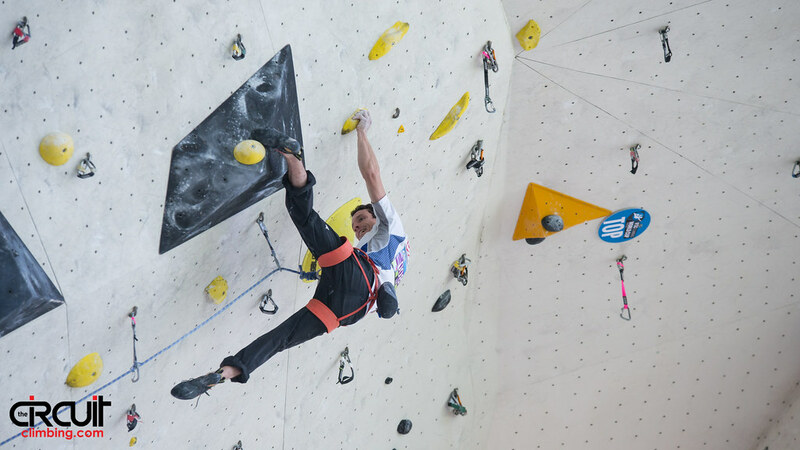 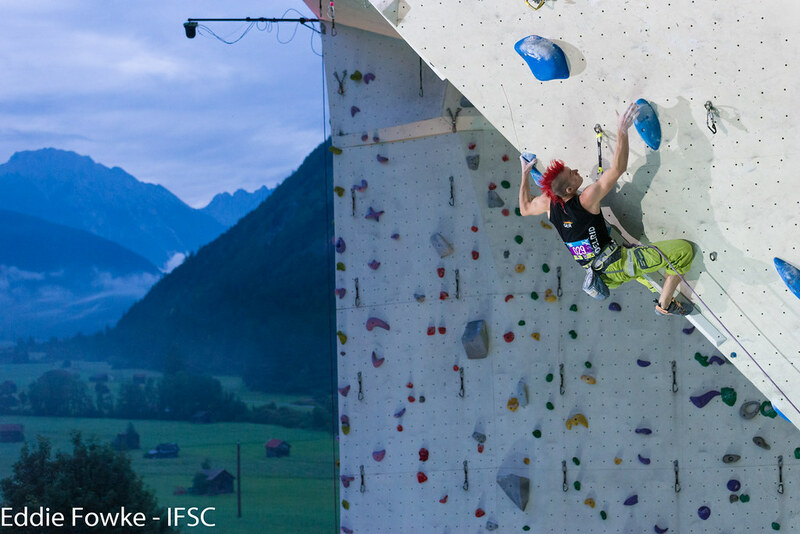 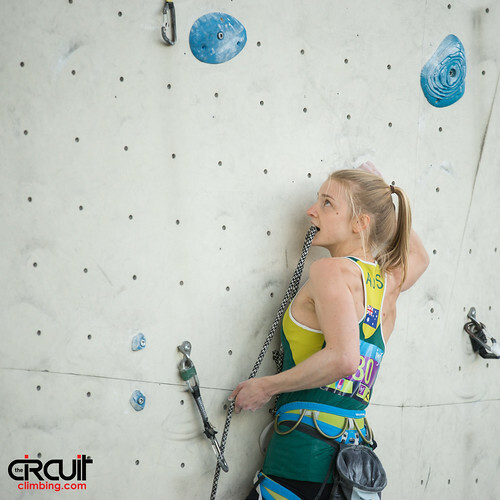 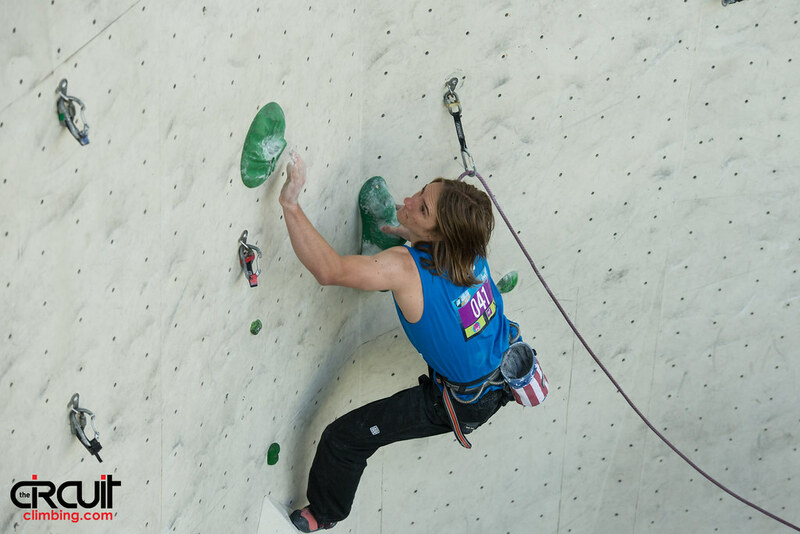 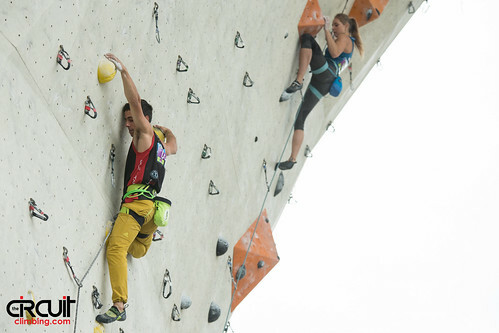 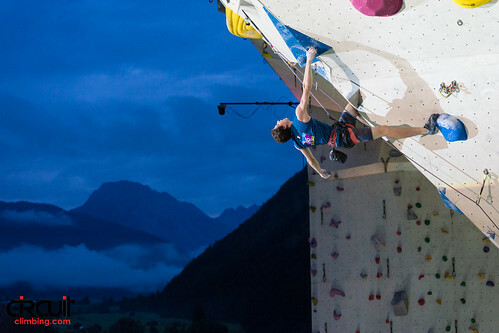 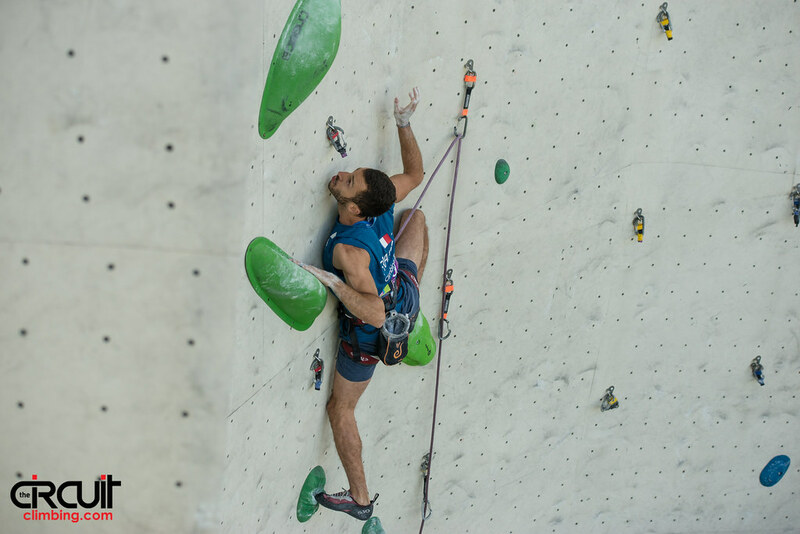 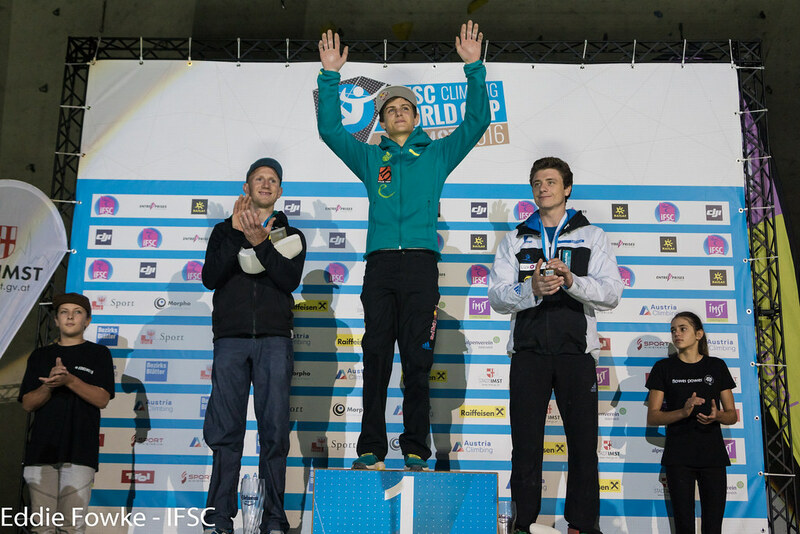 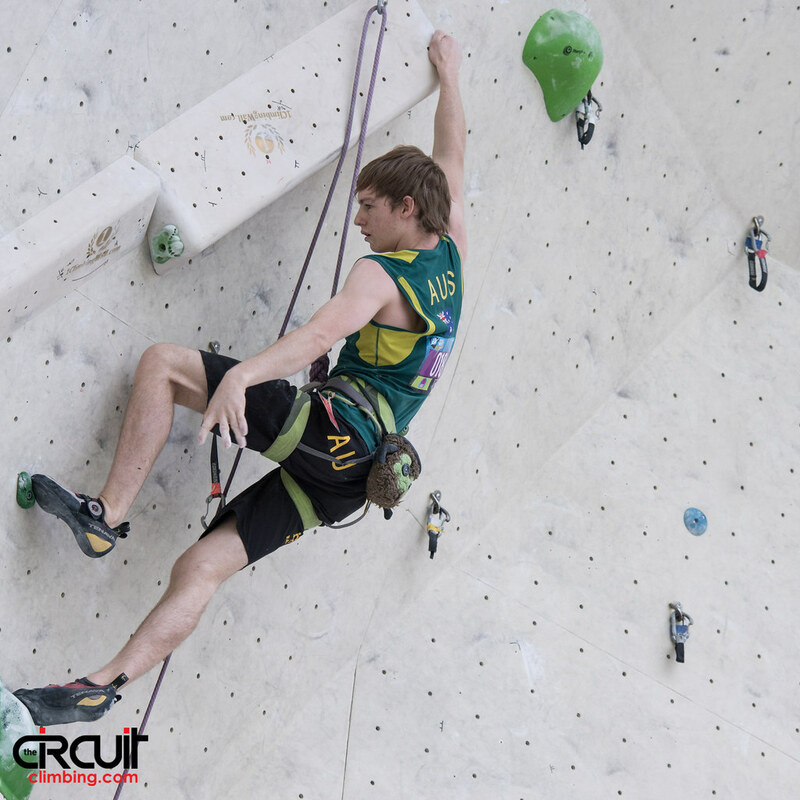 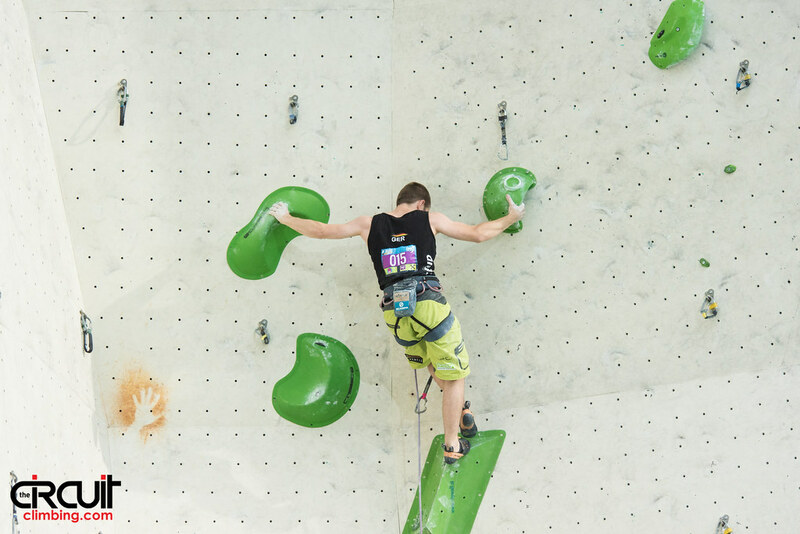 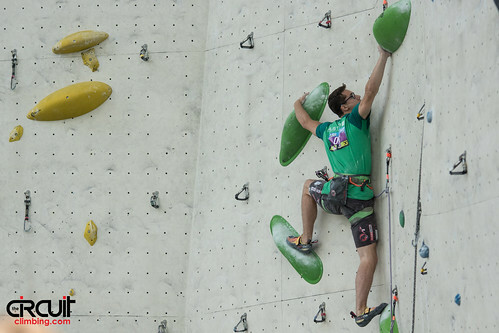 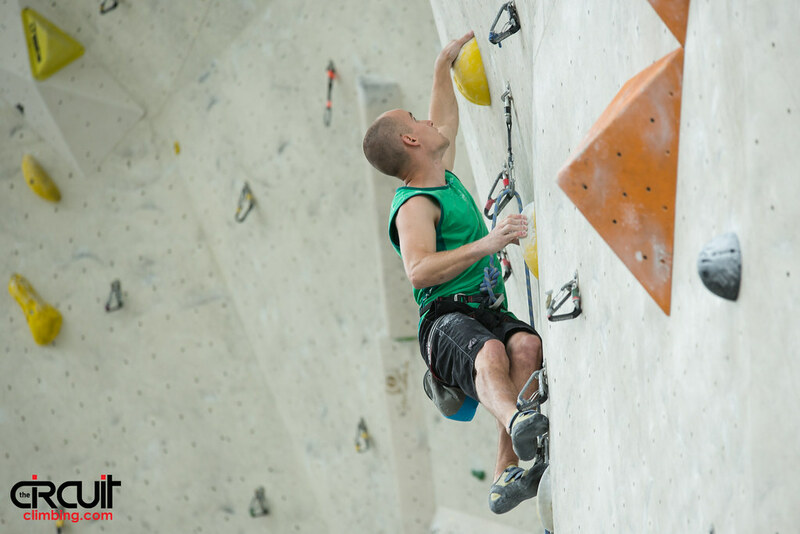 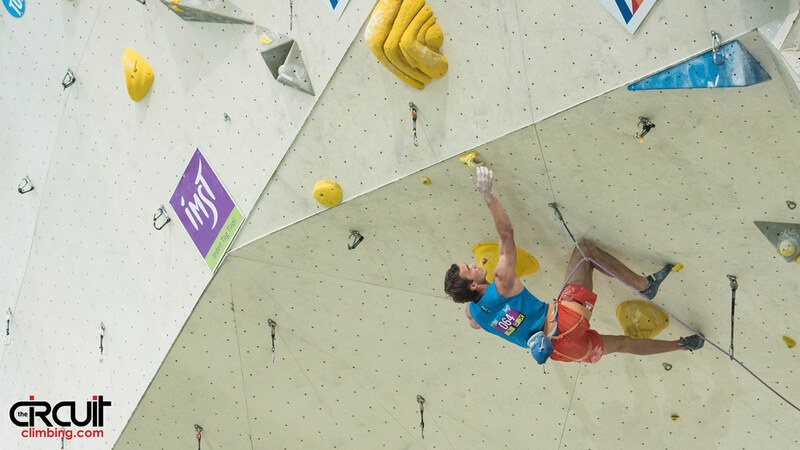 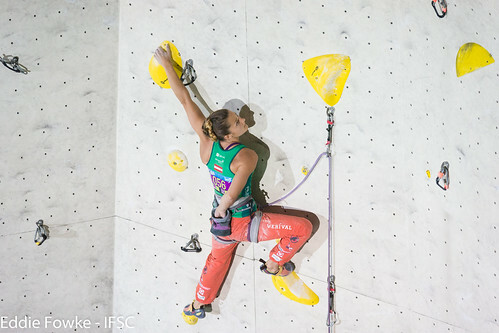 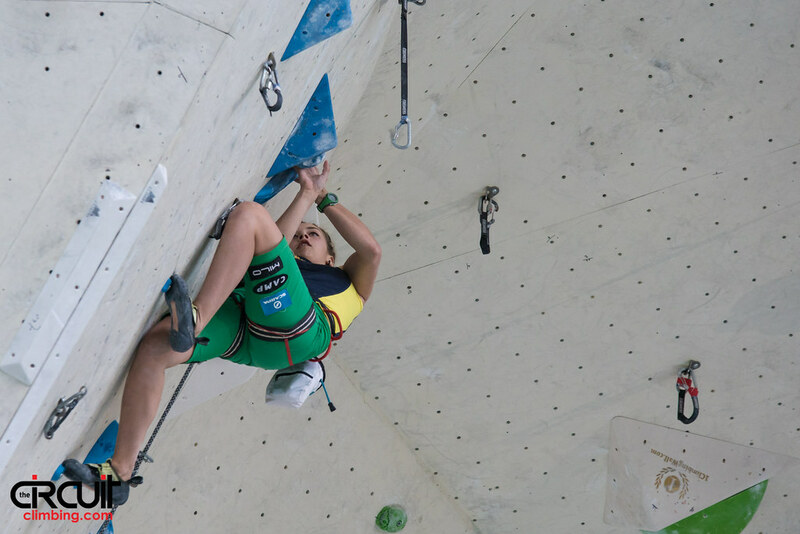 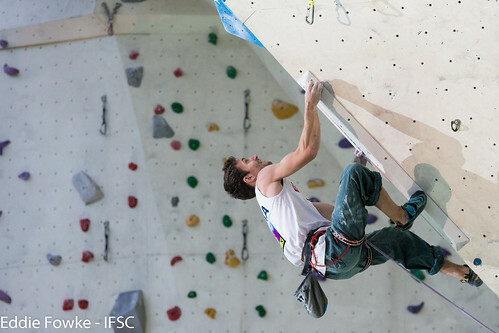 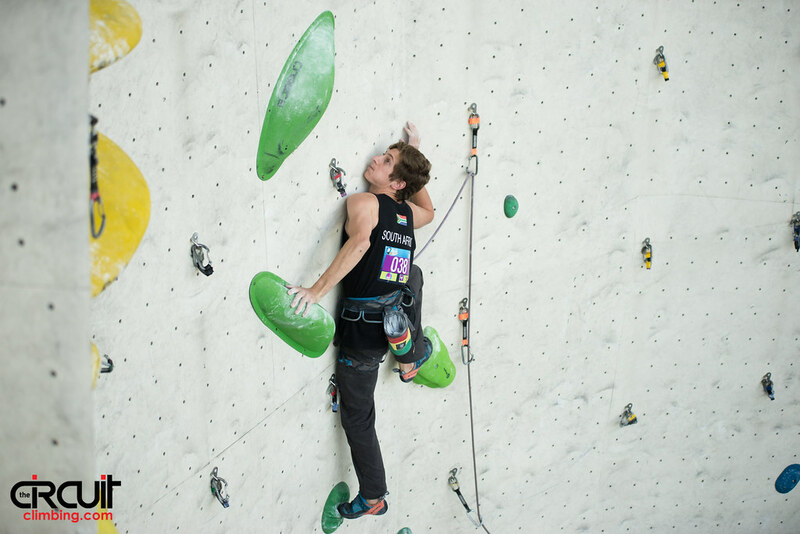 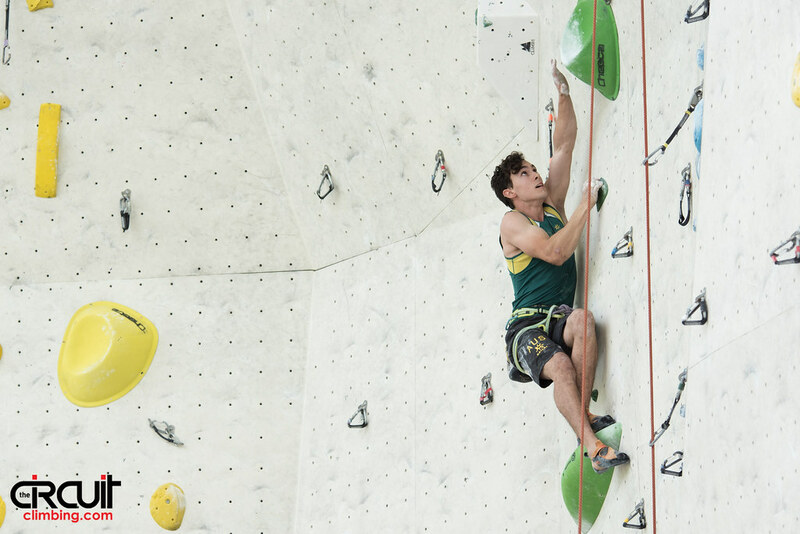 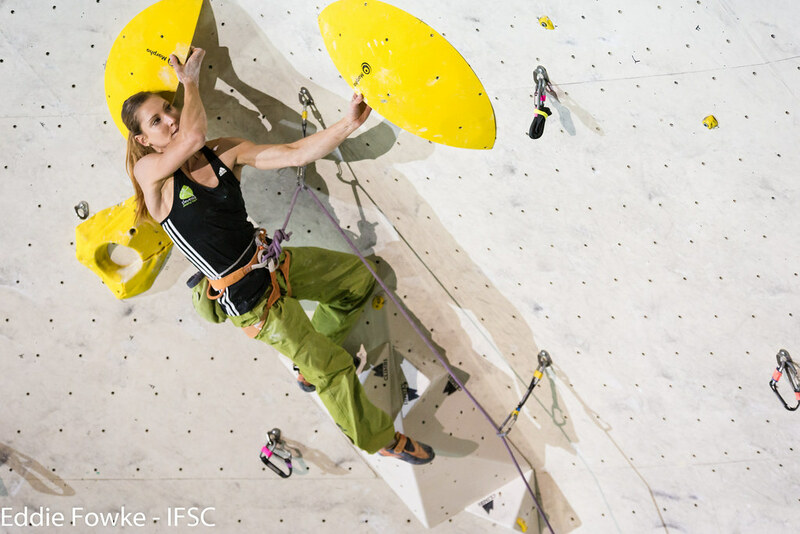 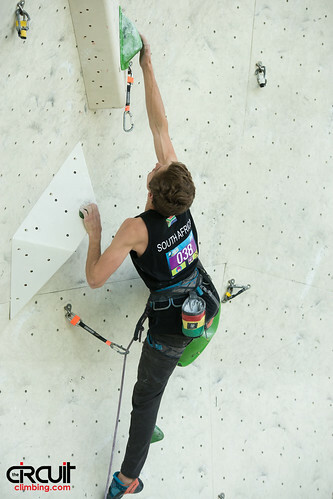 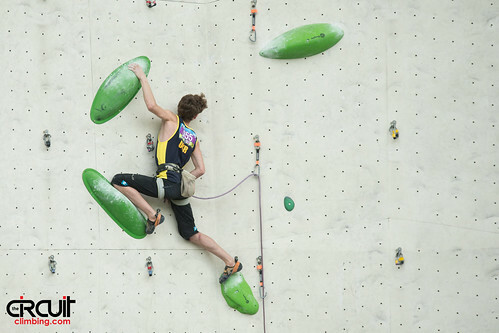 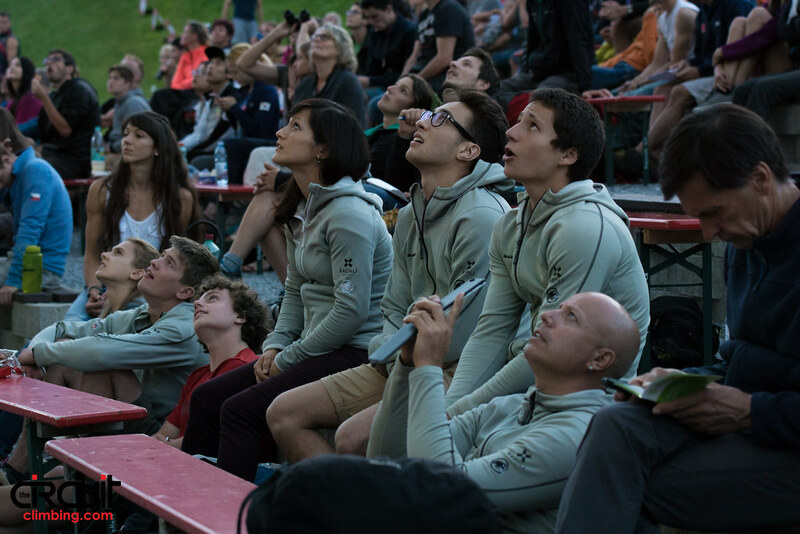 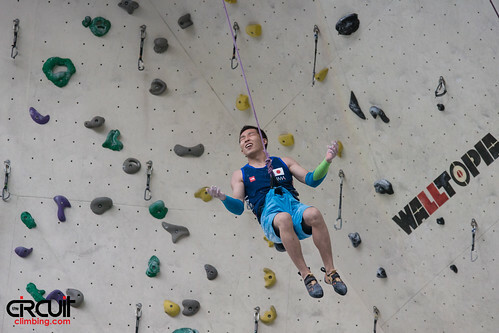 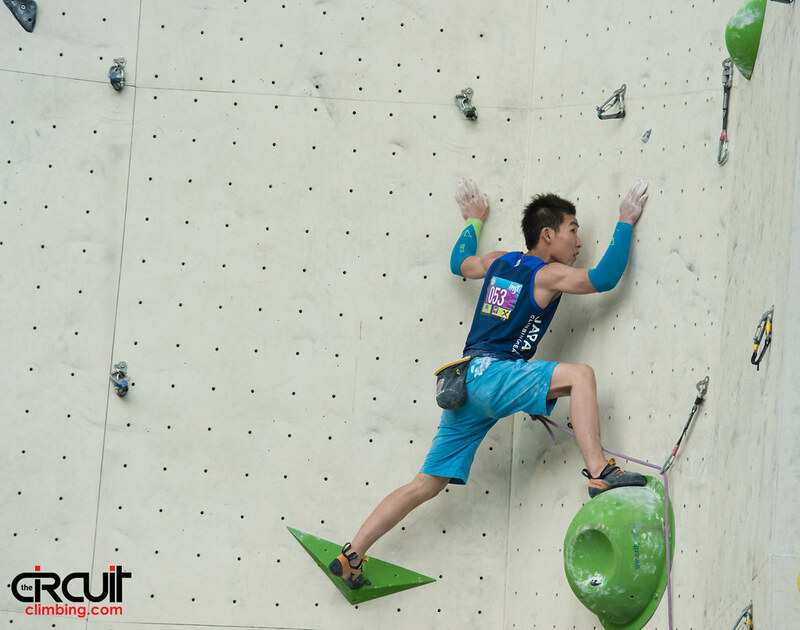 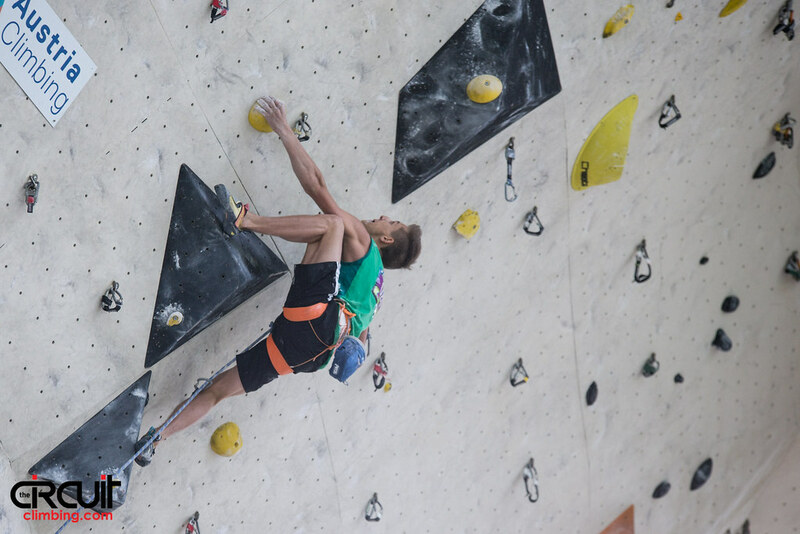 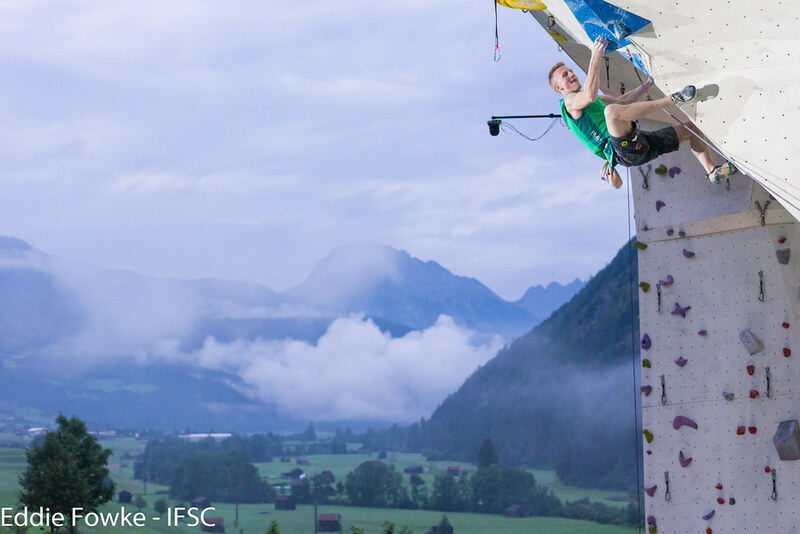 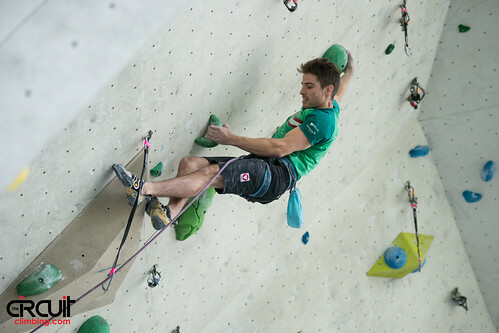 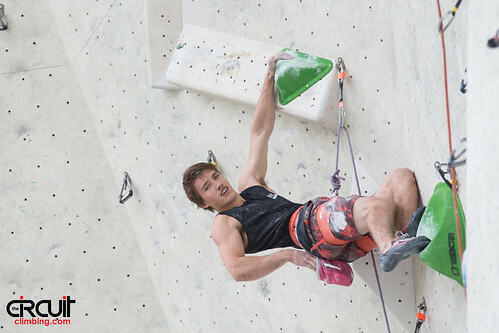 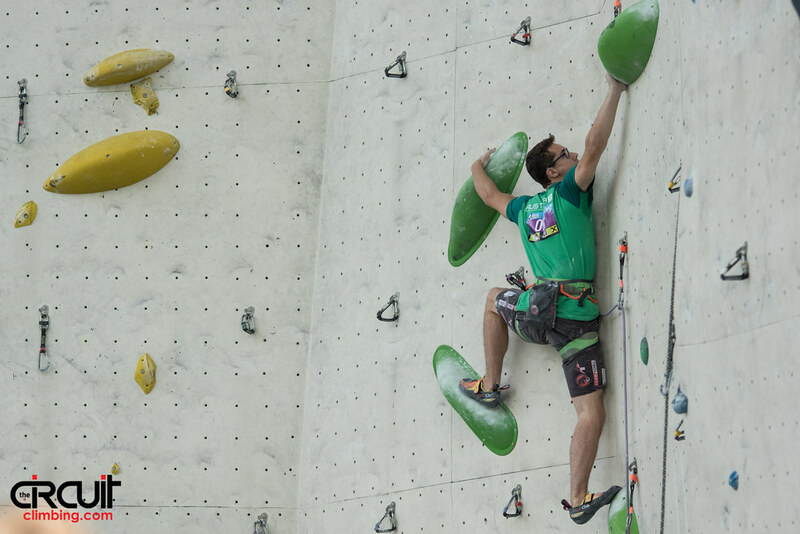 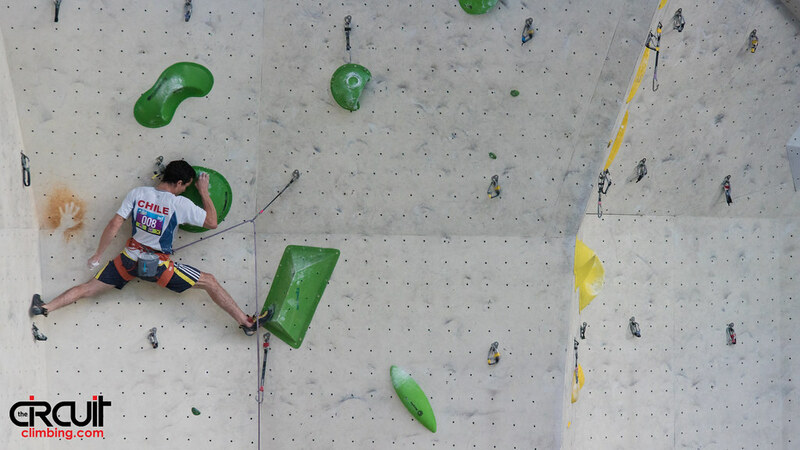 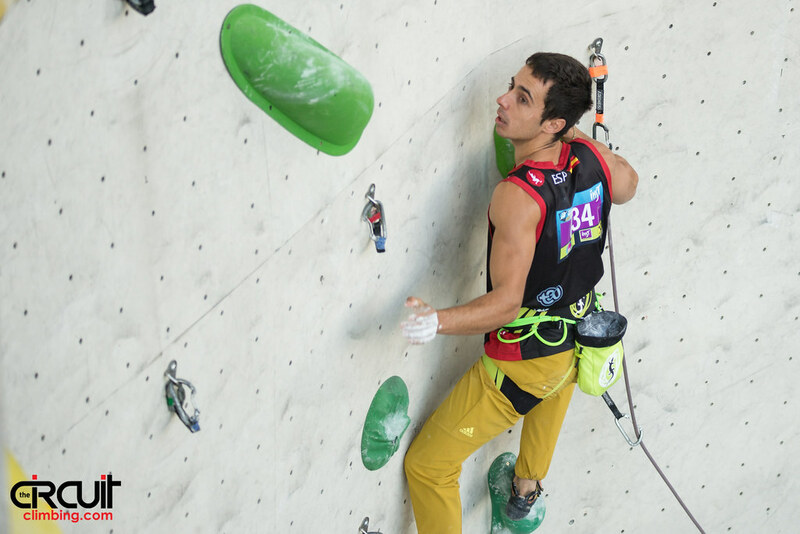 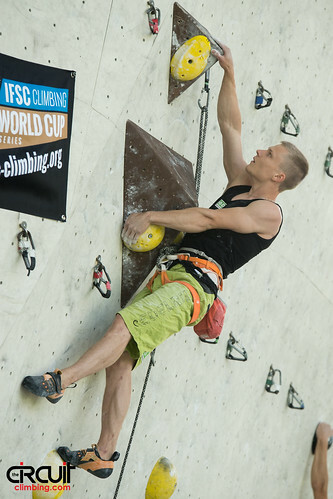 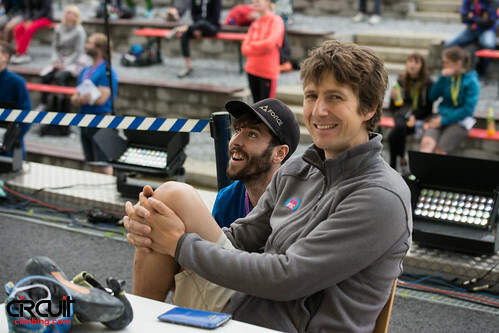 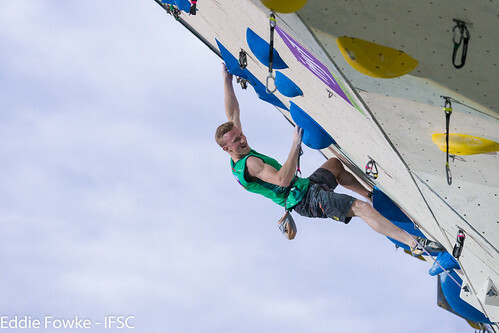 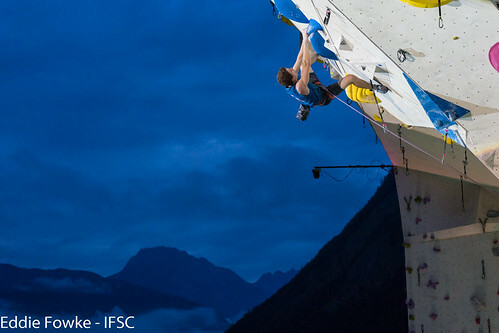 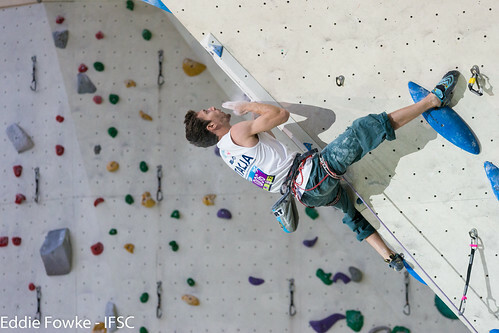 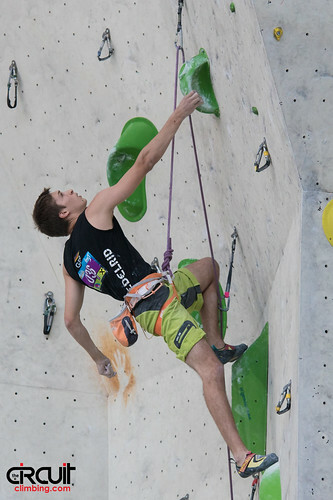 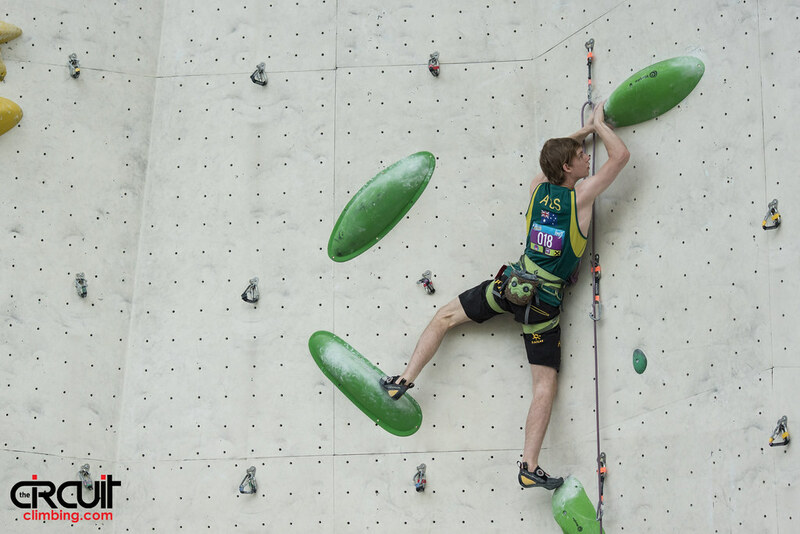 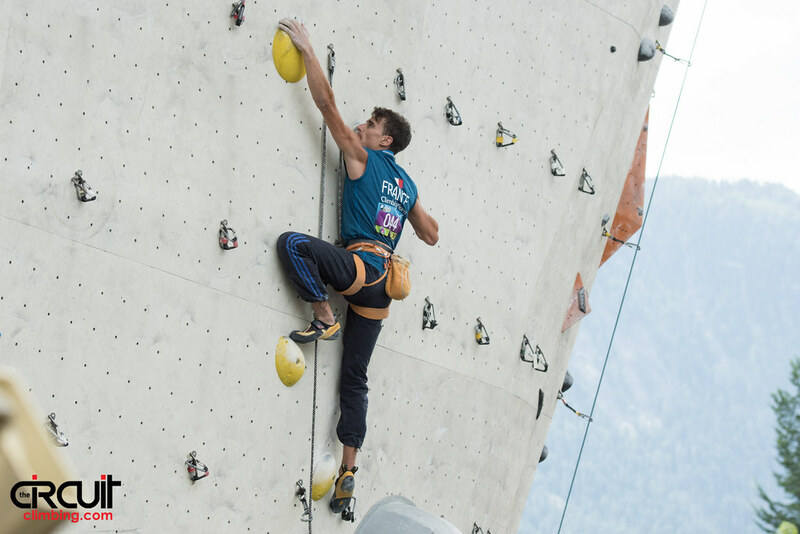 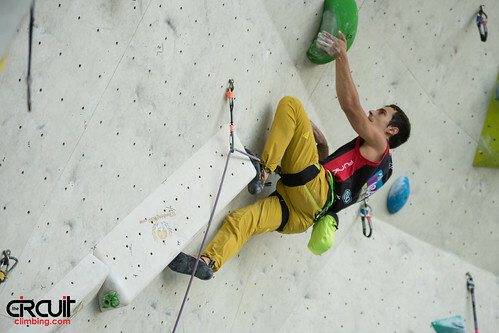 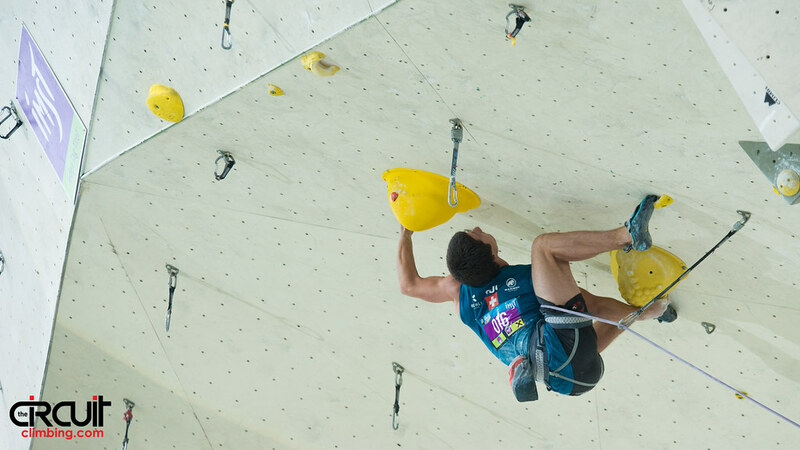 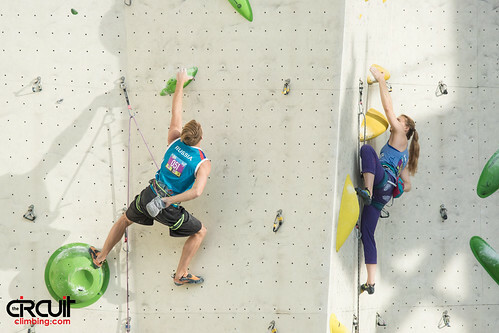 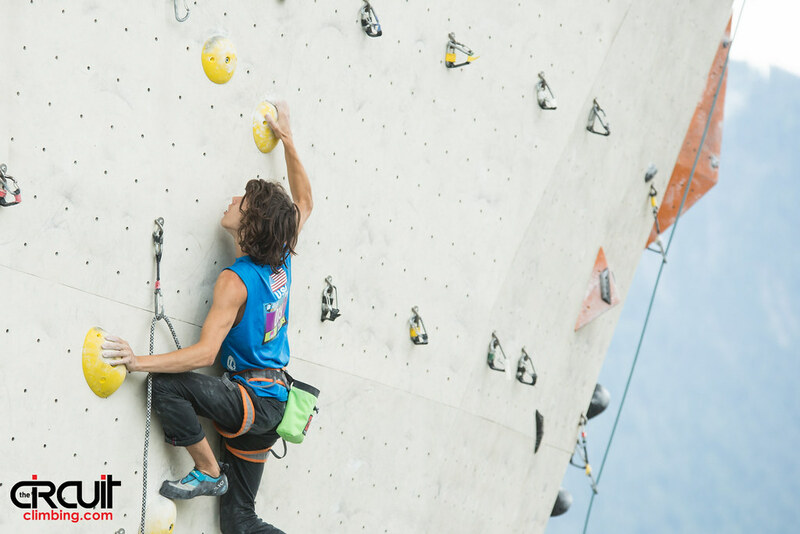 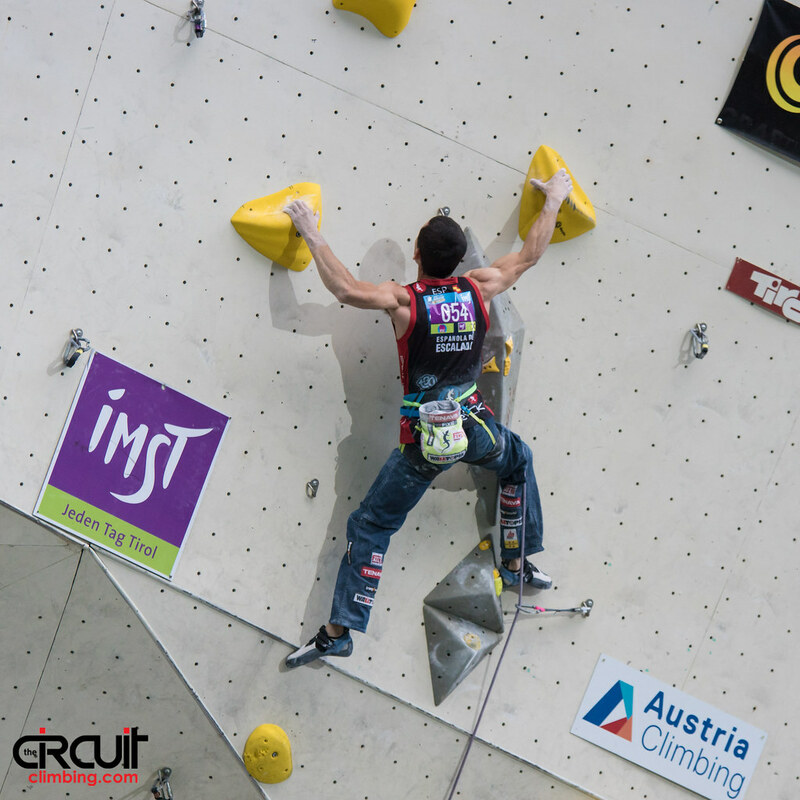 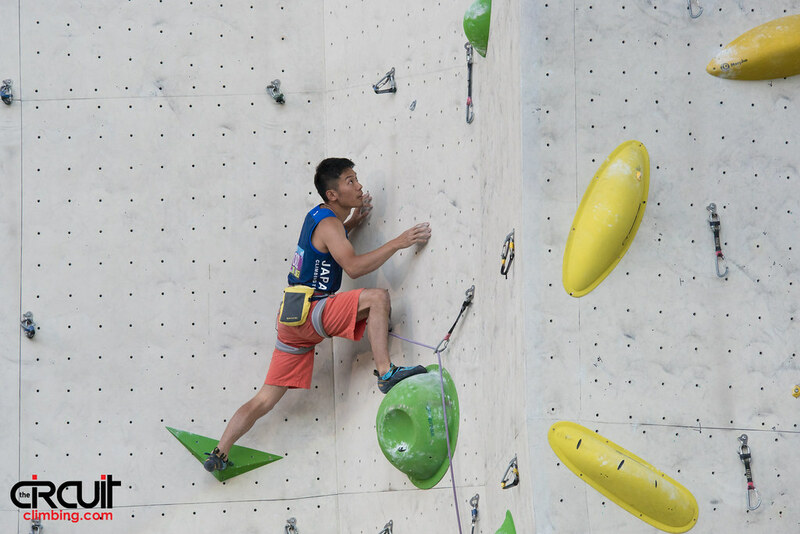 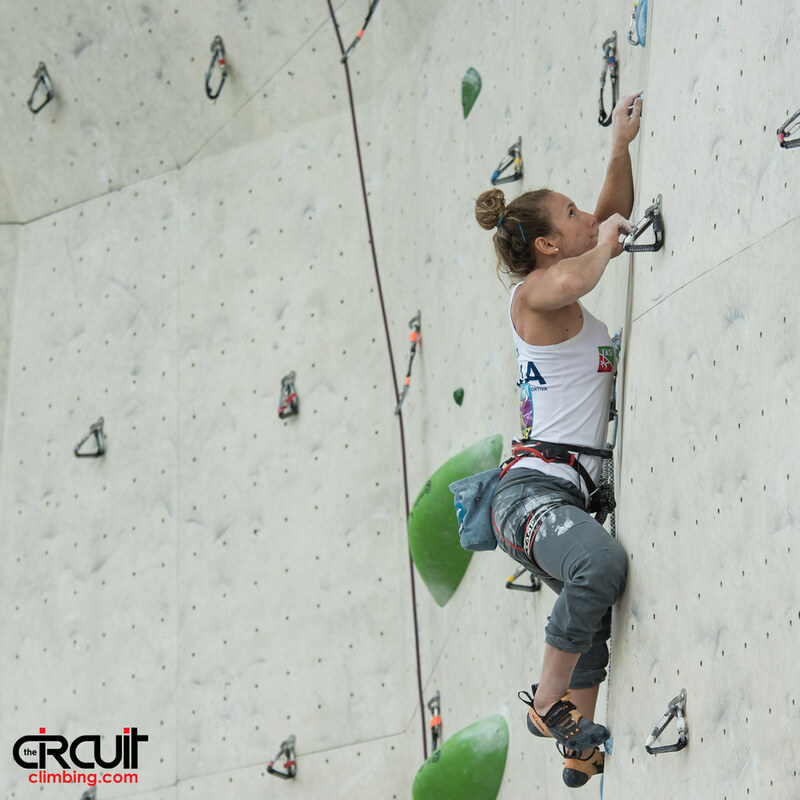 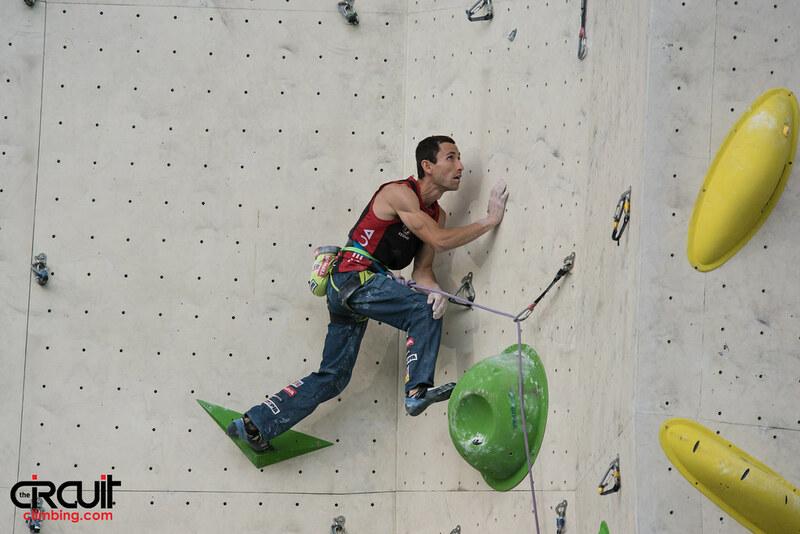 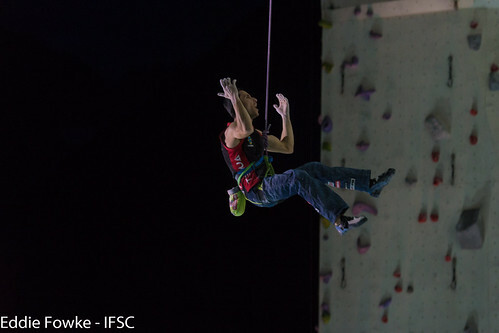 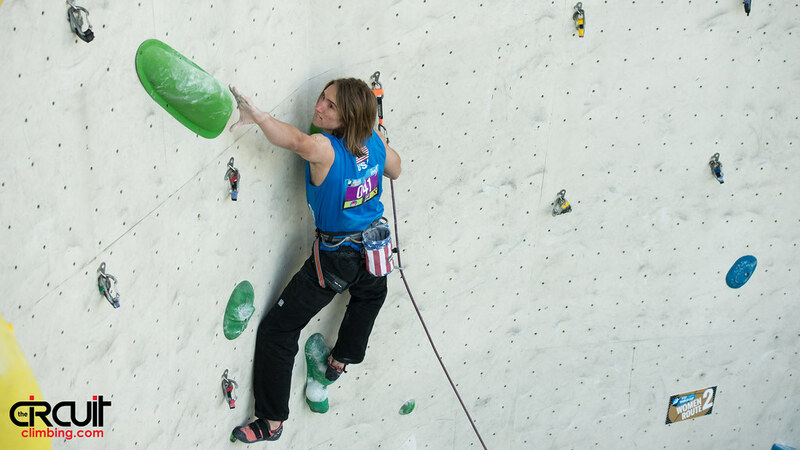 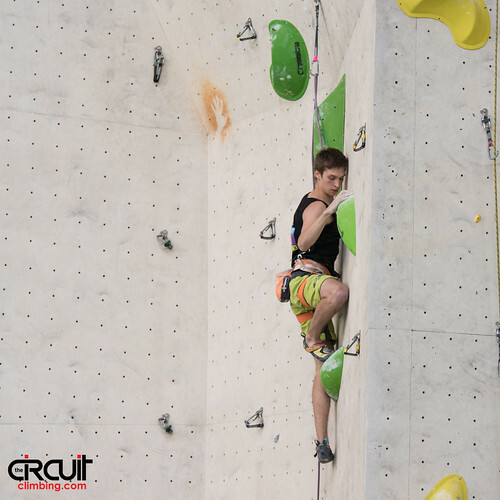 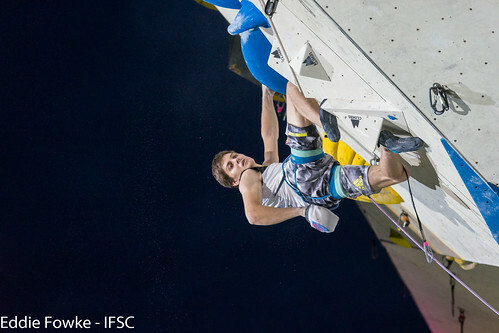 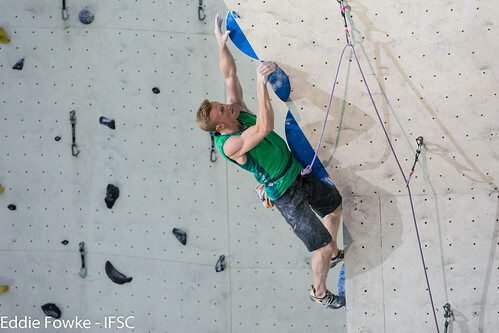 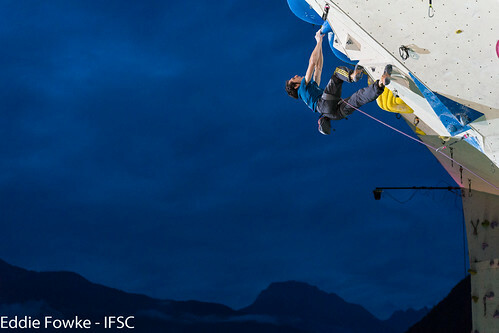 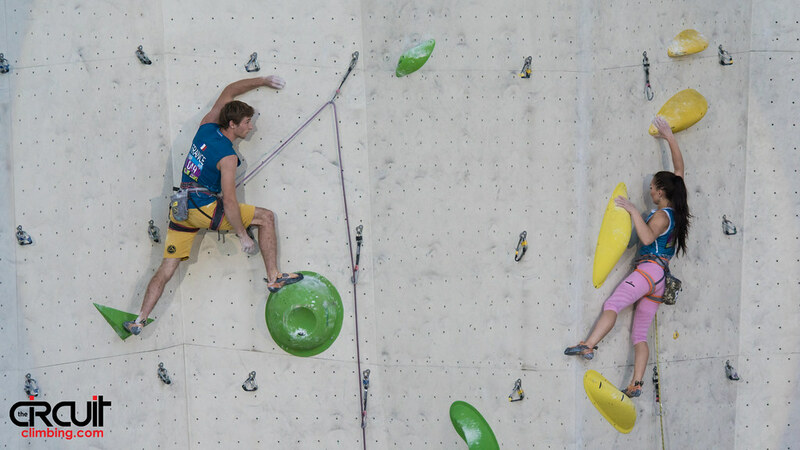 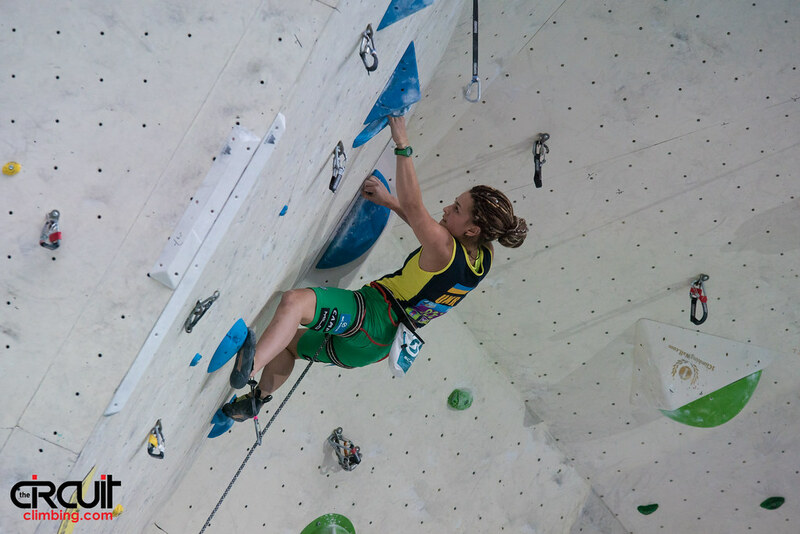 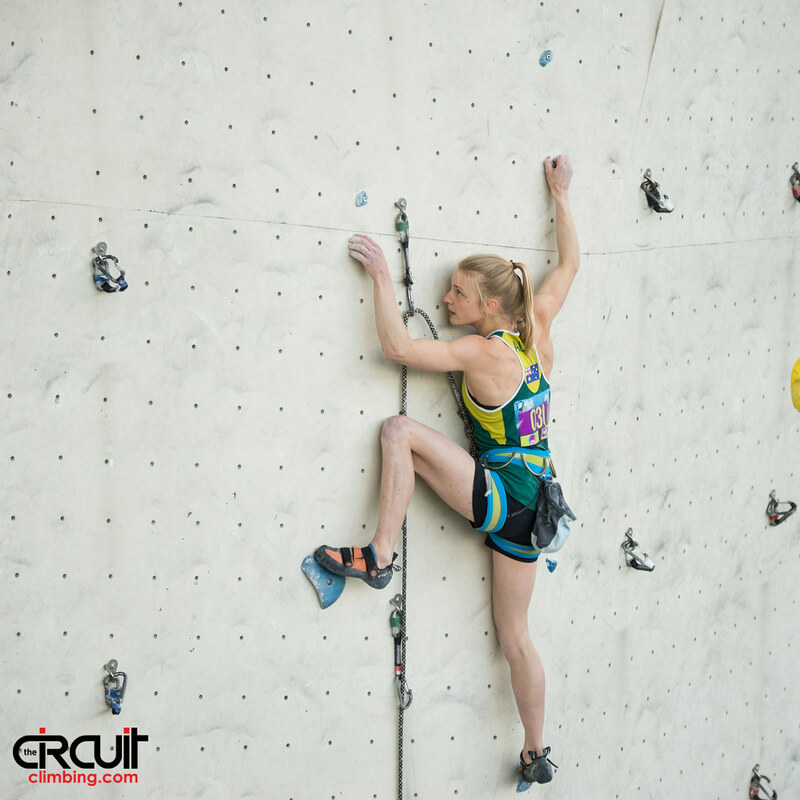 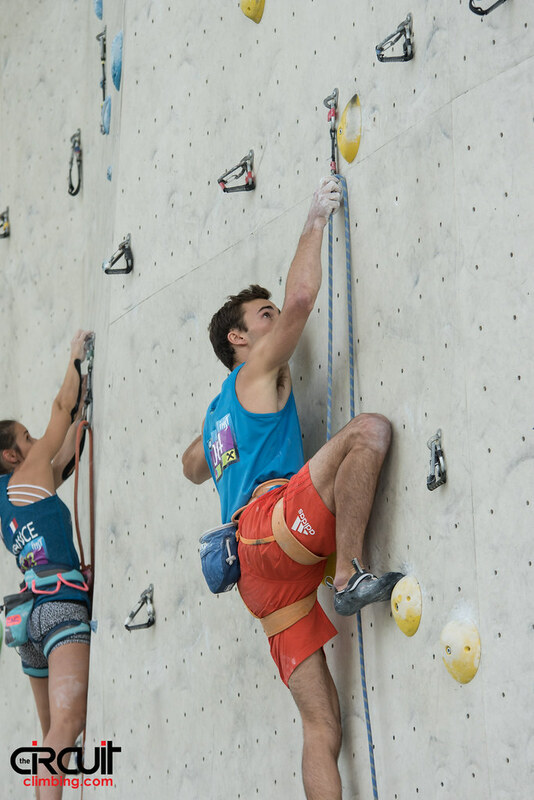 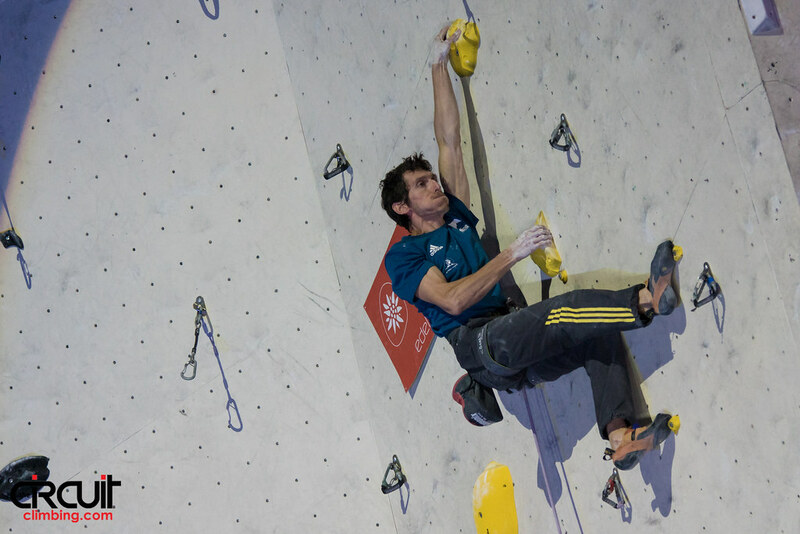 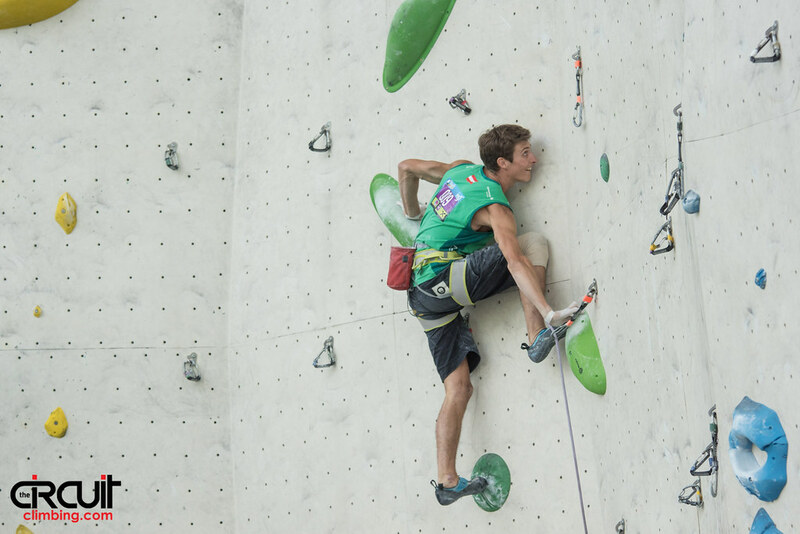 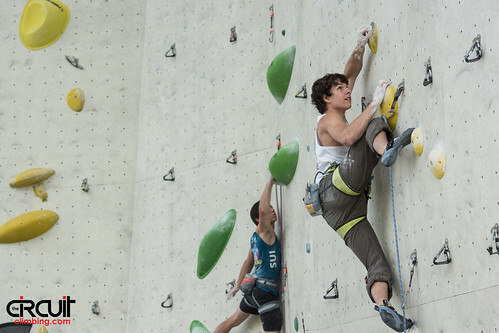 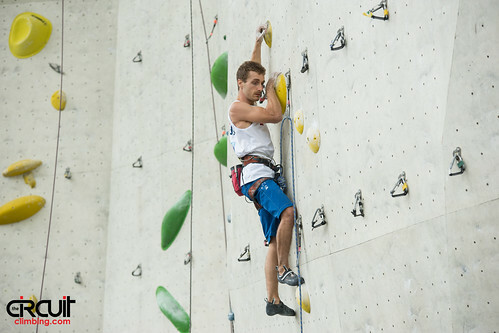 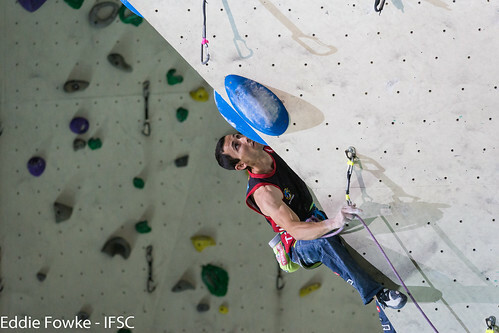 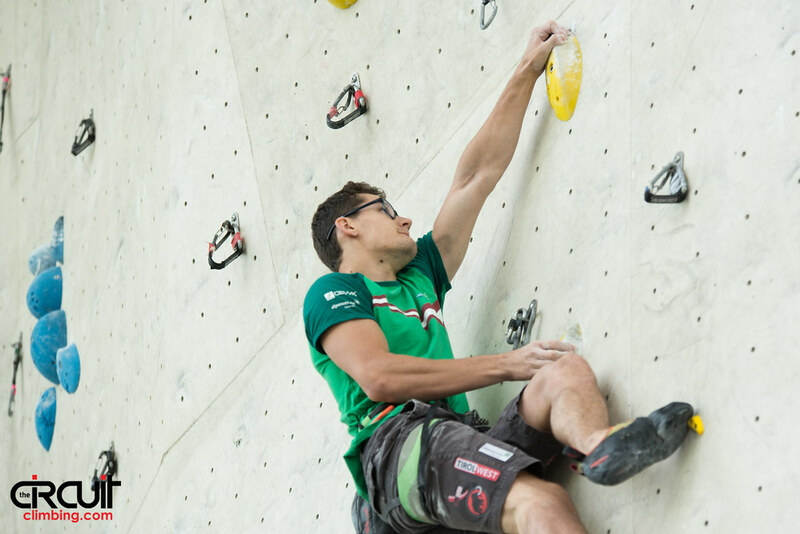 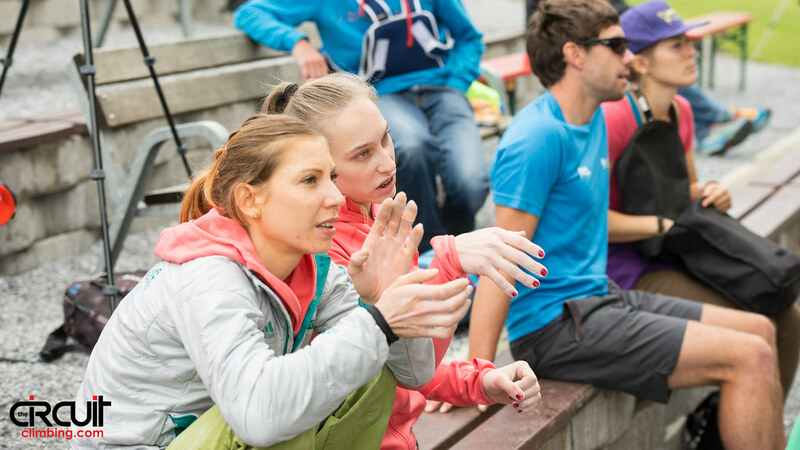 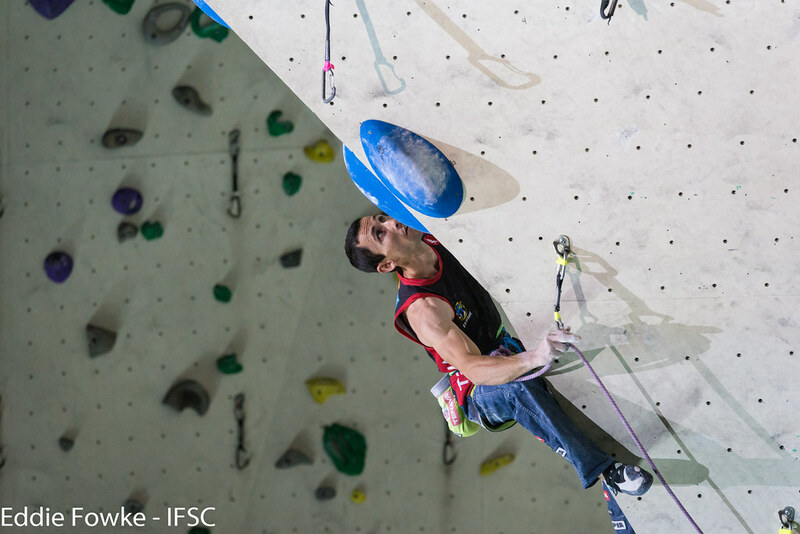 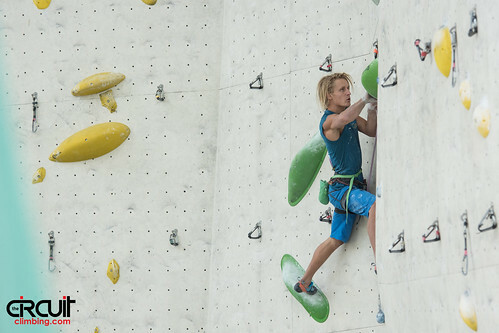 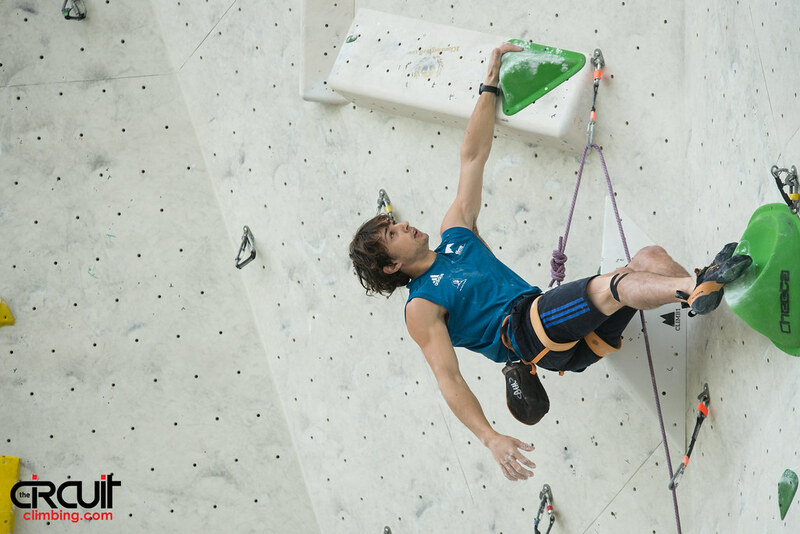 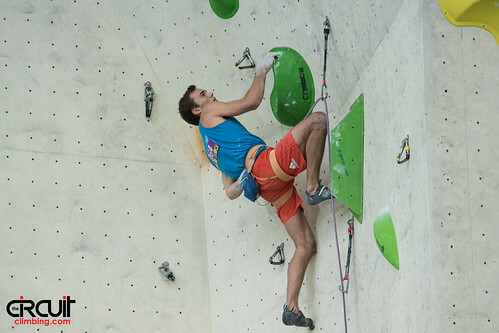 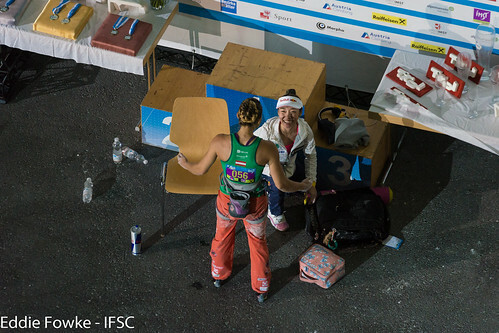 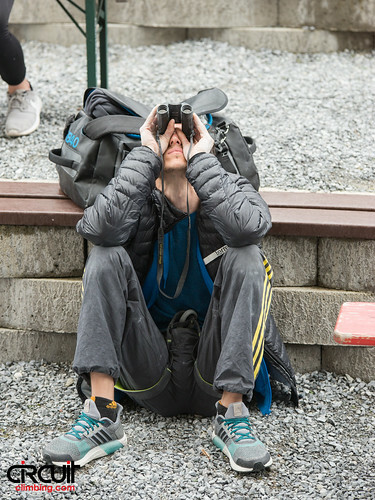 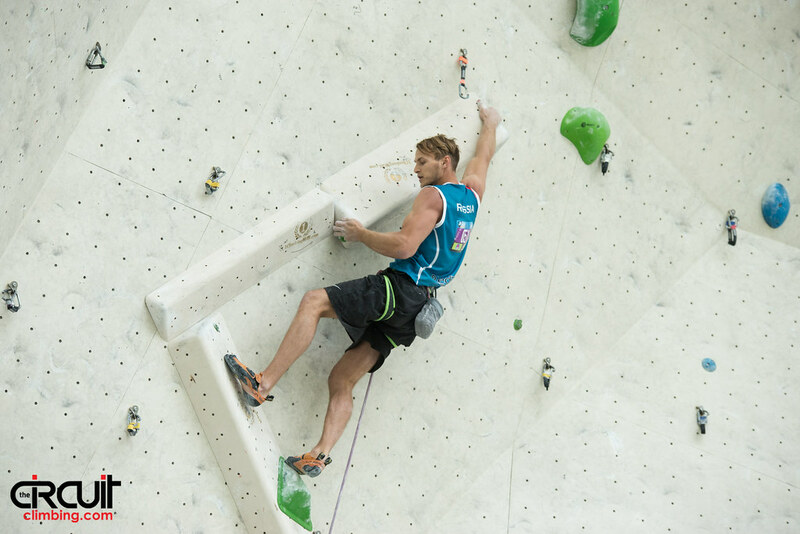 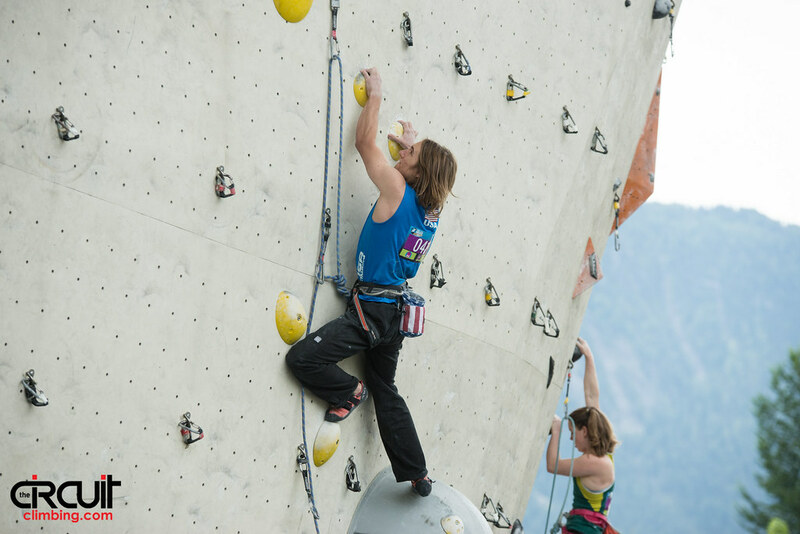 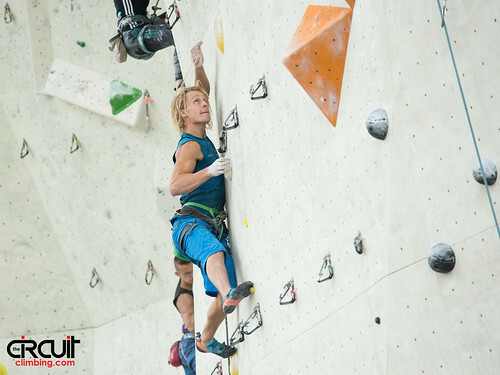 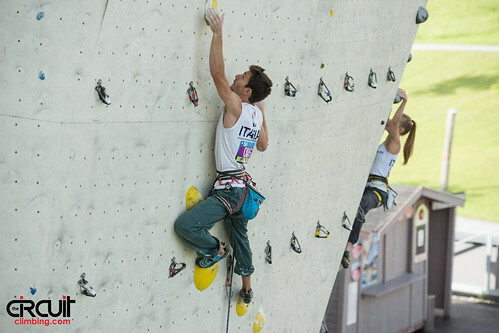 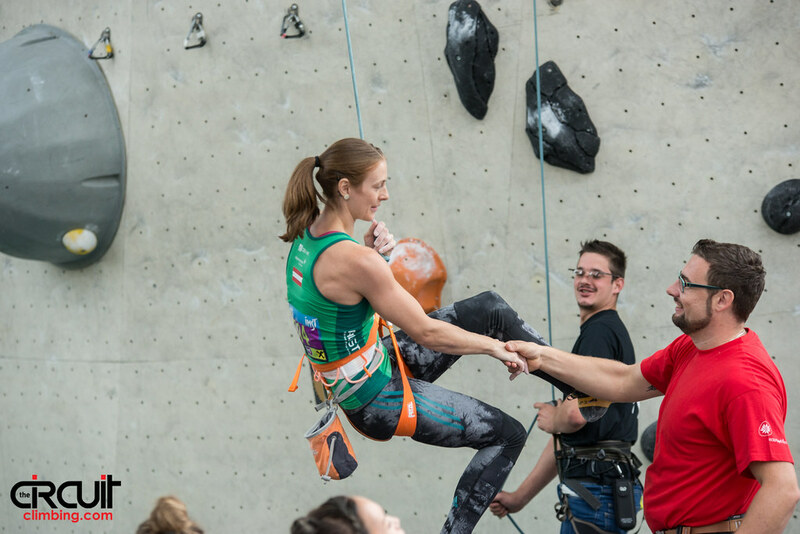 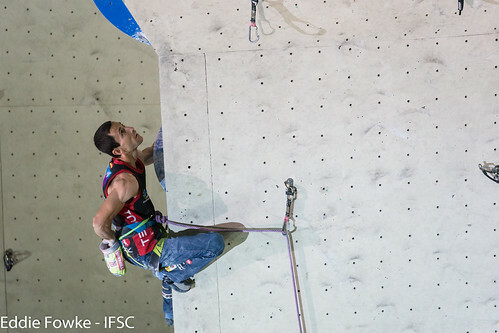 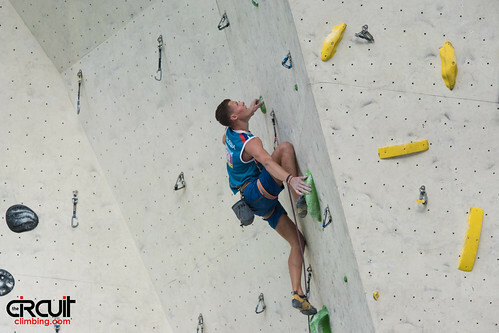 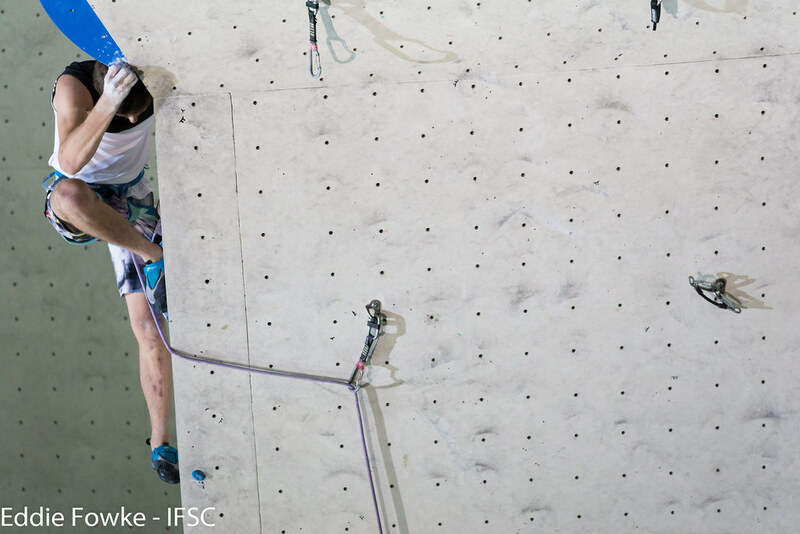 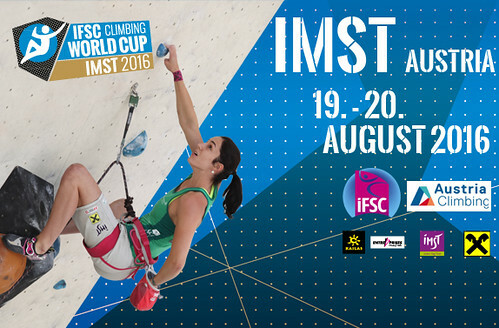 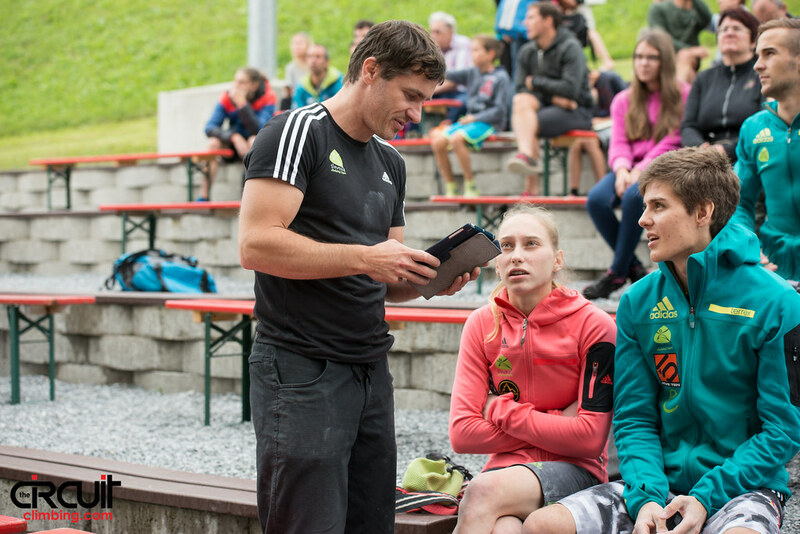 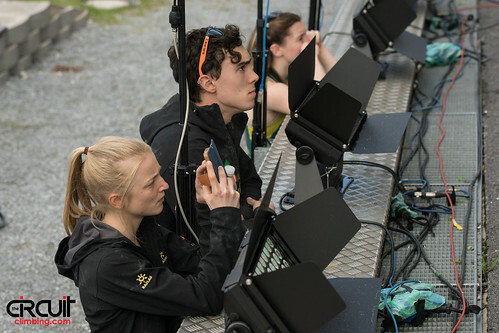 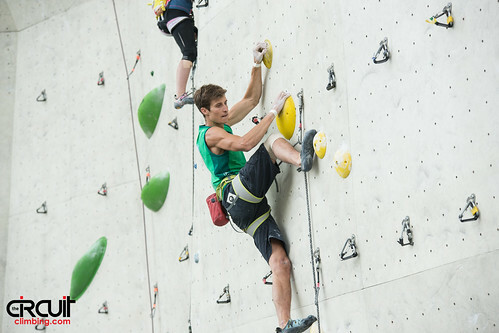 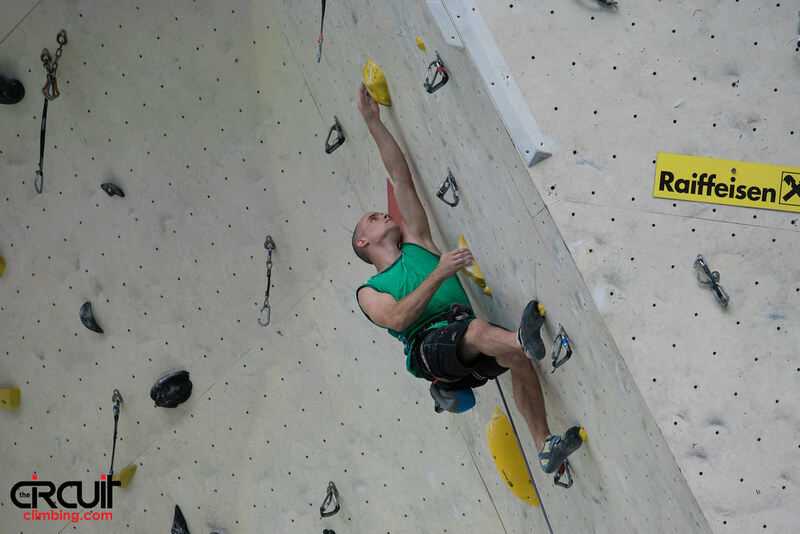 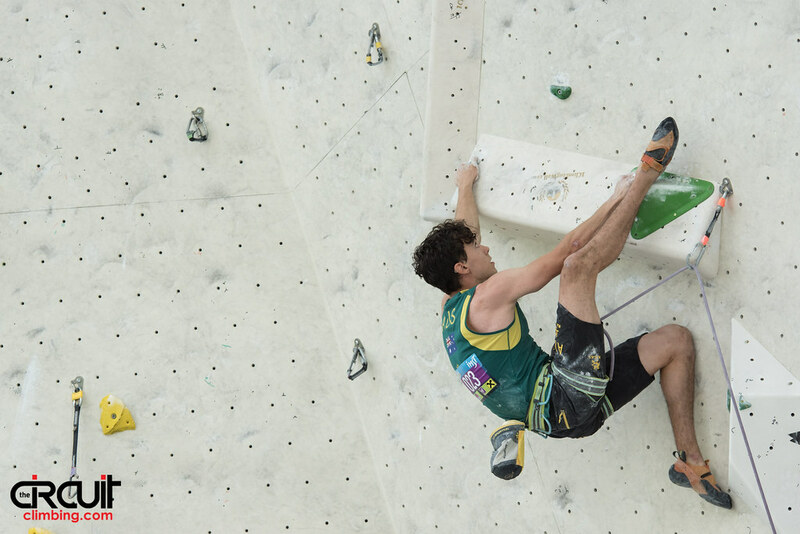 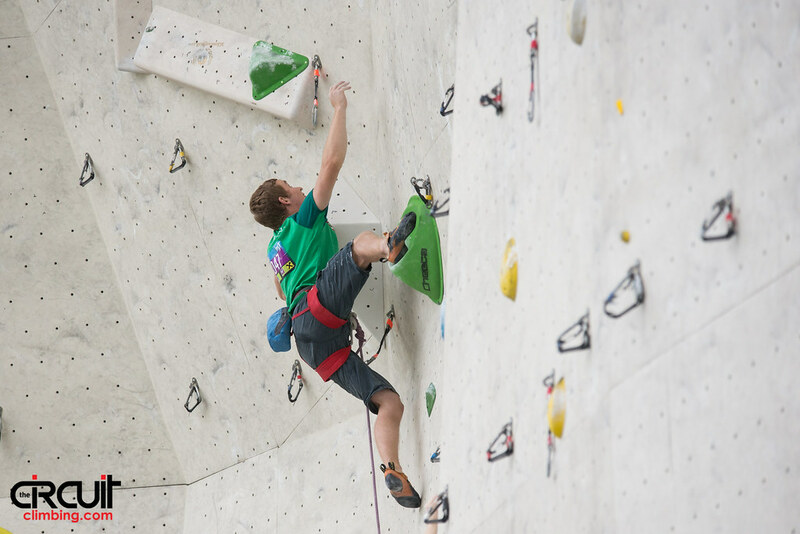 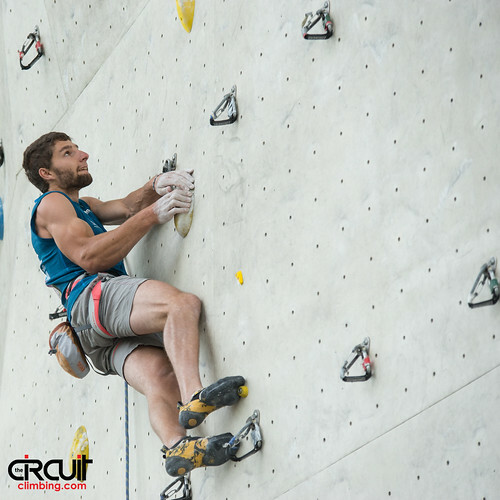 Domen Skofic continued the Gold rush for Slovenia and Magdalena Röck of Austria, after winning at Imst in 2014, was again the last Athlete in the leader's chair at the fourth IFSC Lead World Cup of 2016. 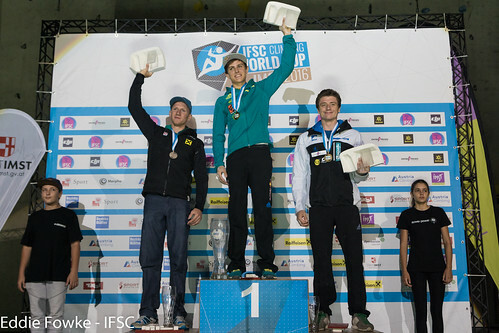 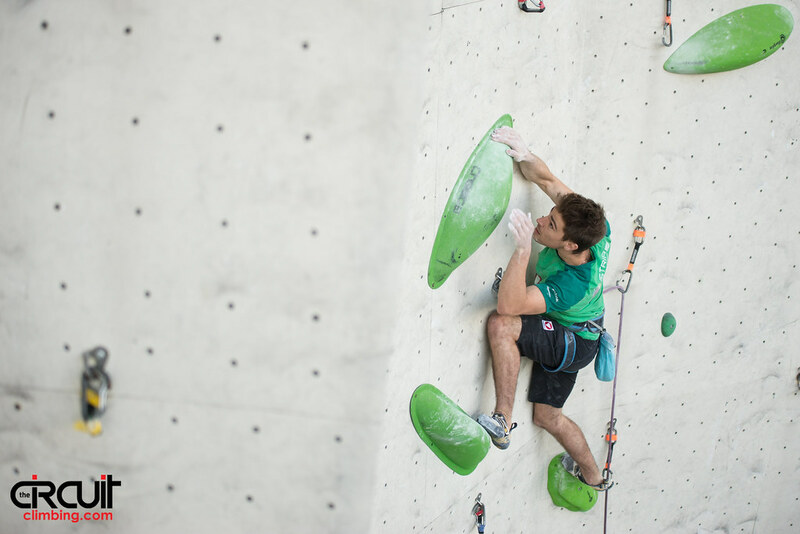 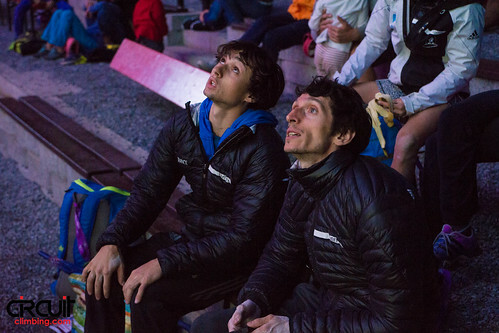 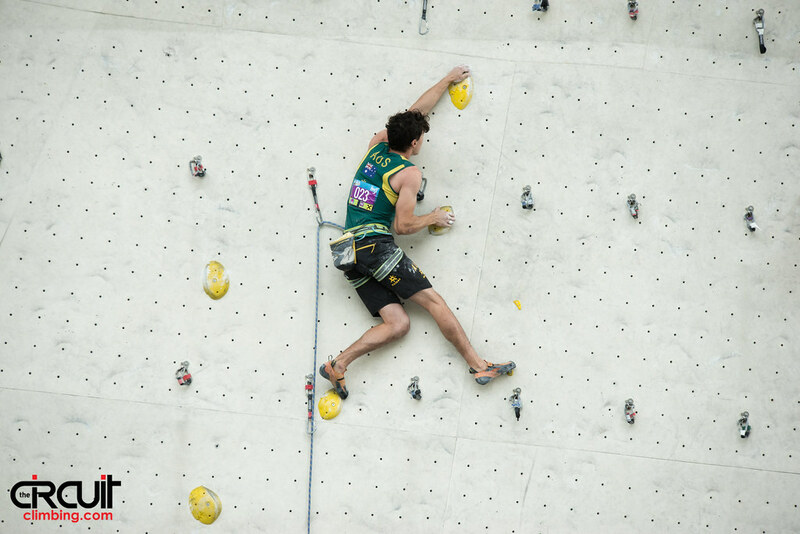 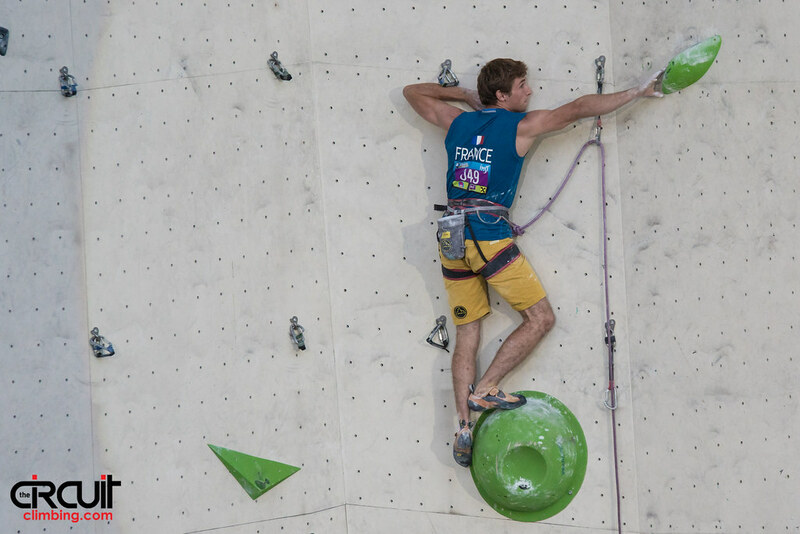 Slovenia has won at least one Gold at every IFSC Lead World Cup this year, and Imst was no different. 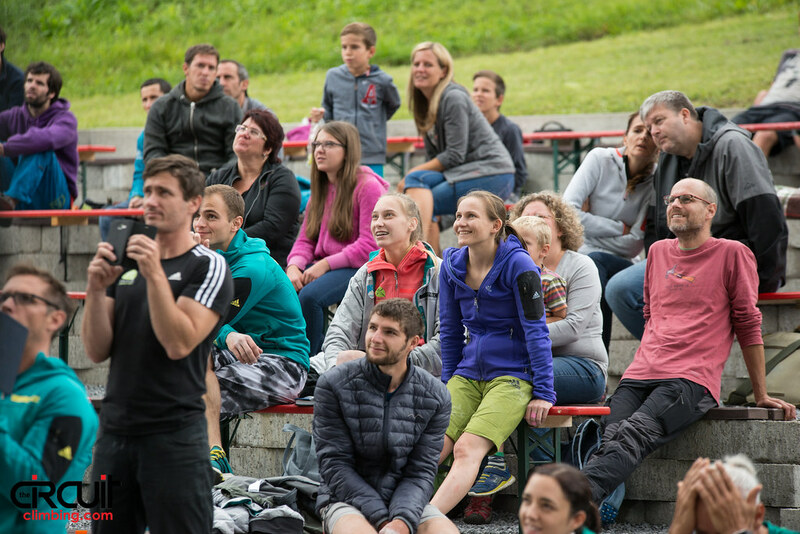 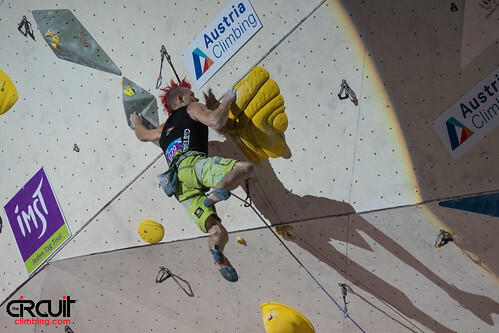 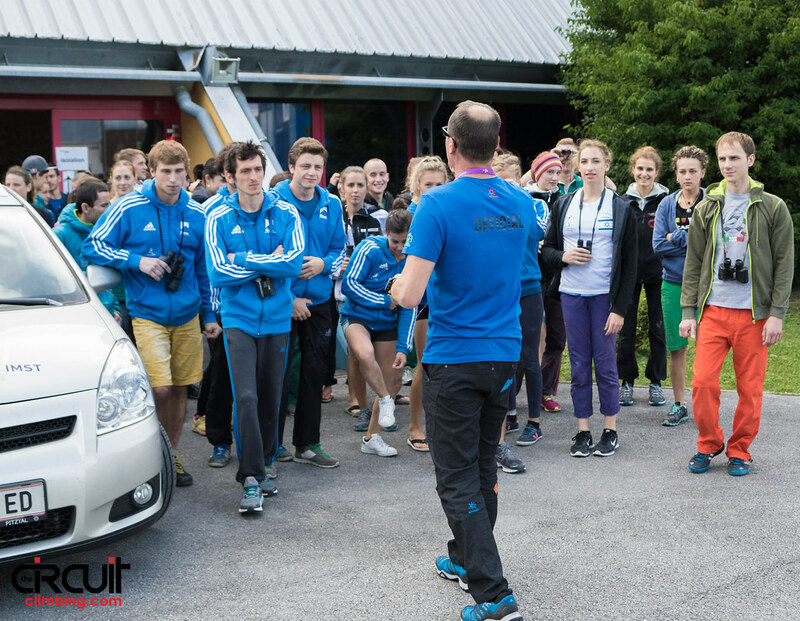 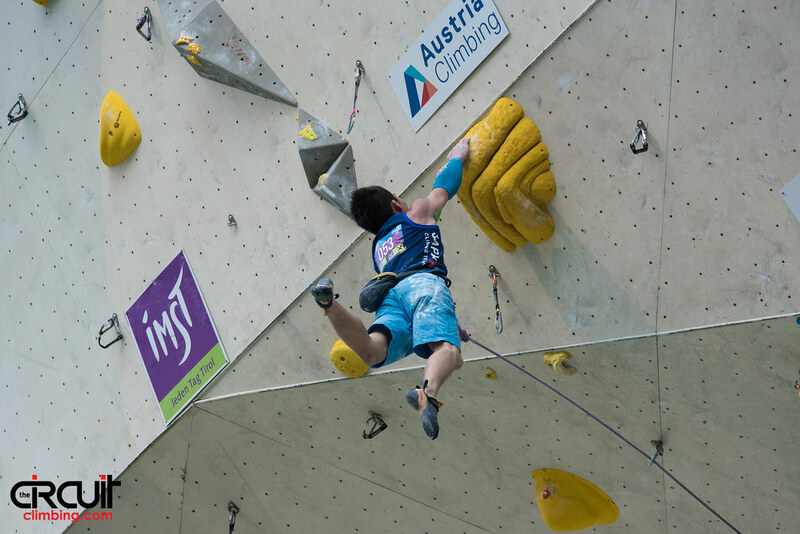 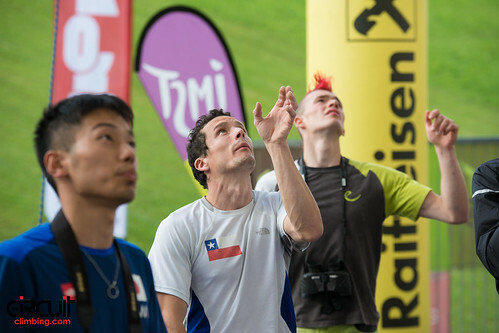 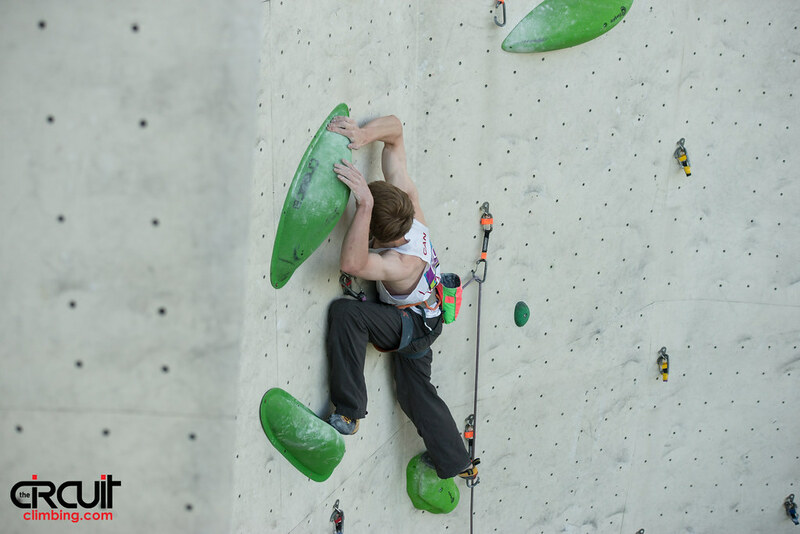 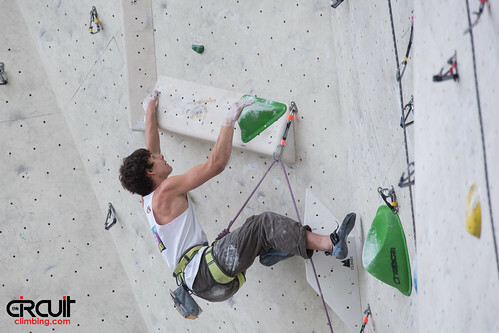 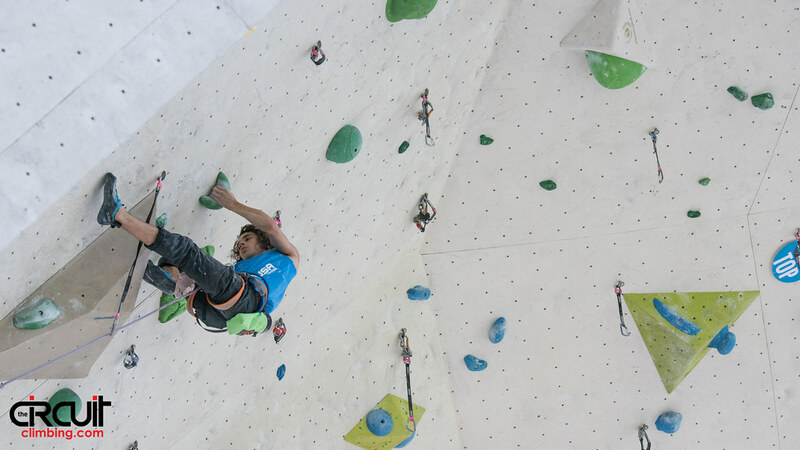 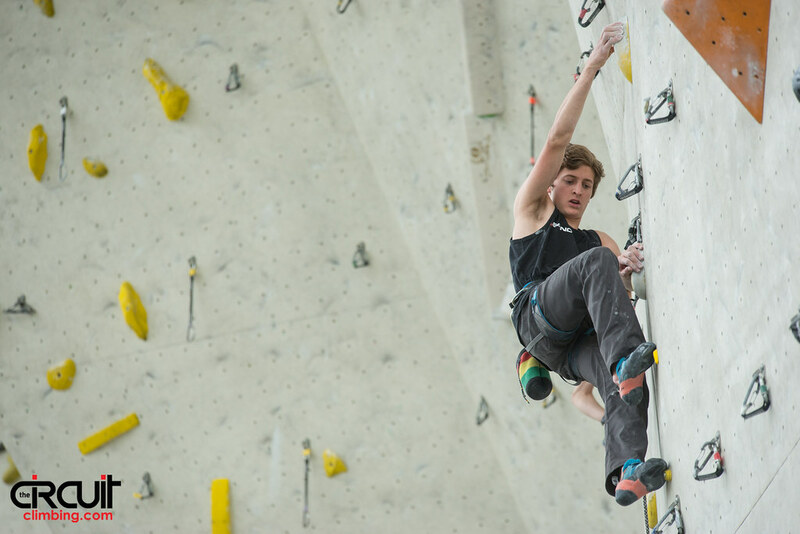 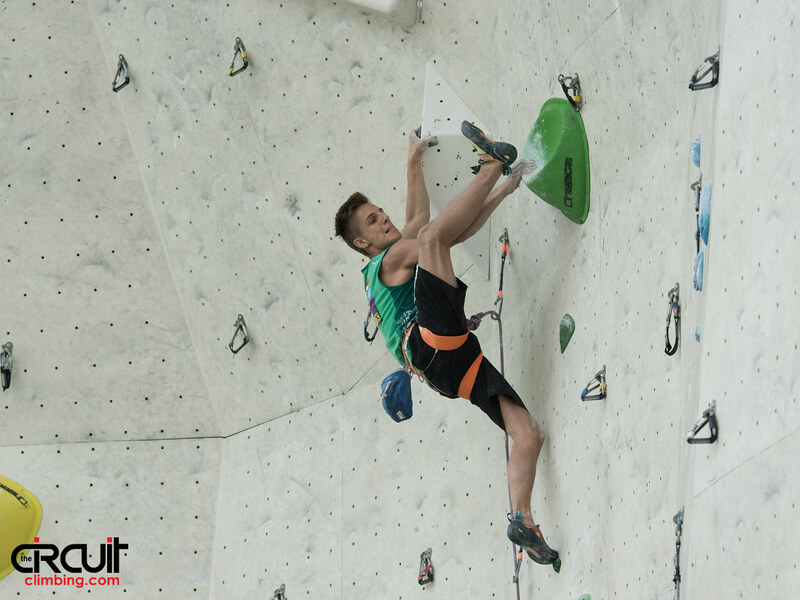 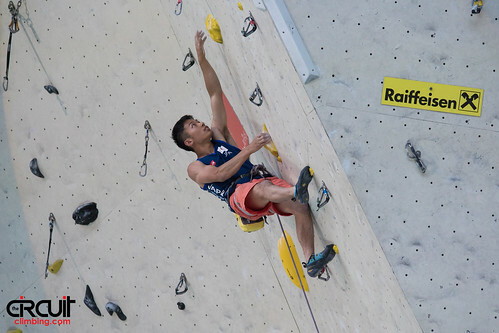 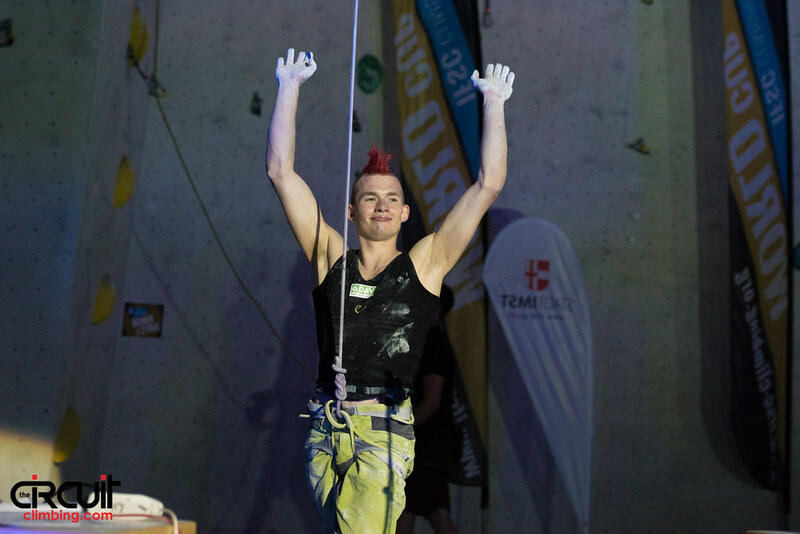 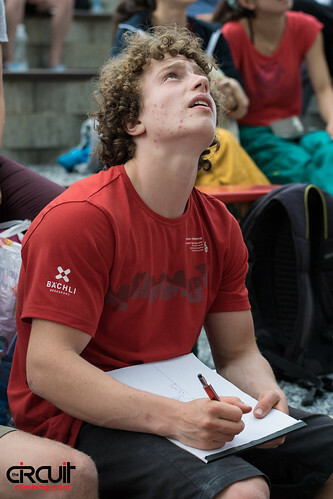 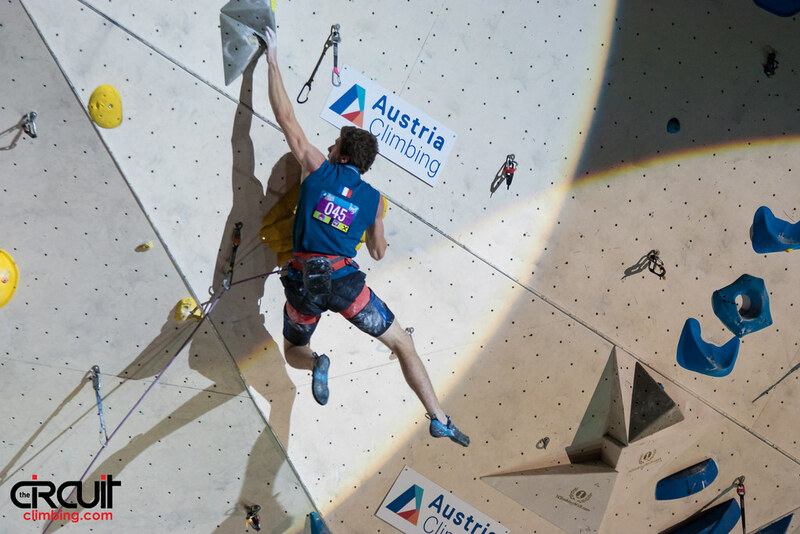 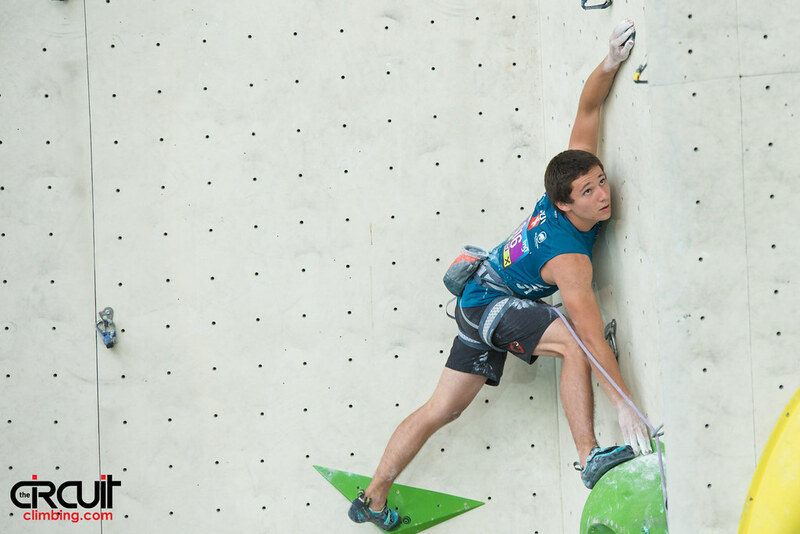 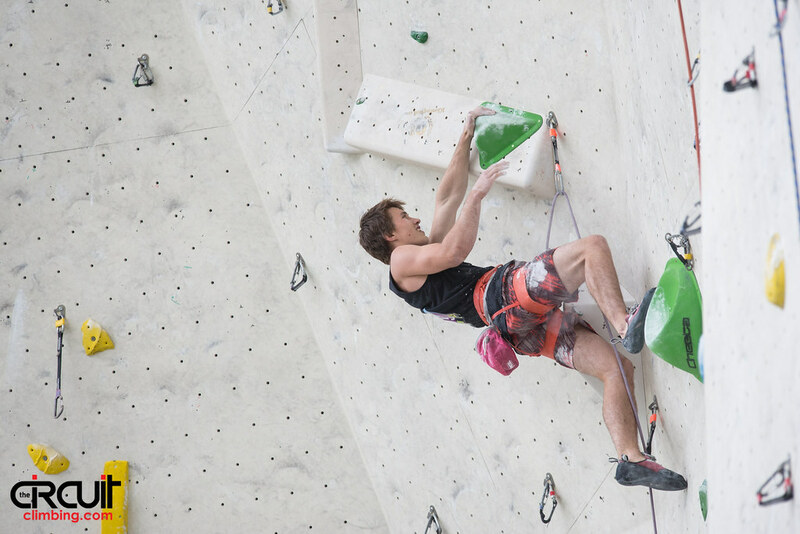 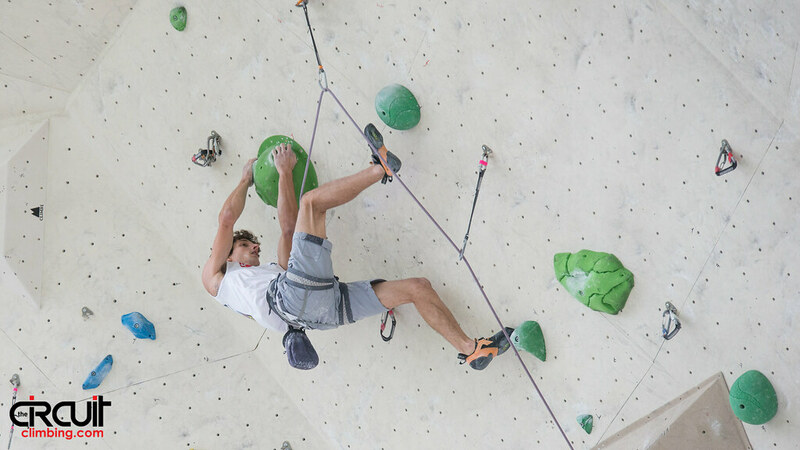 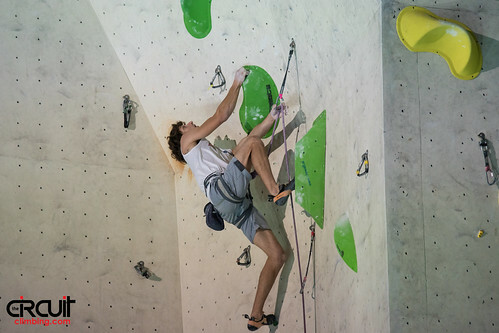 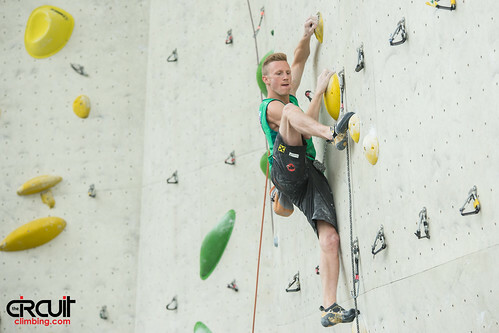 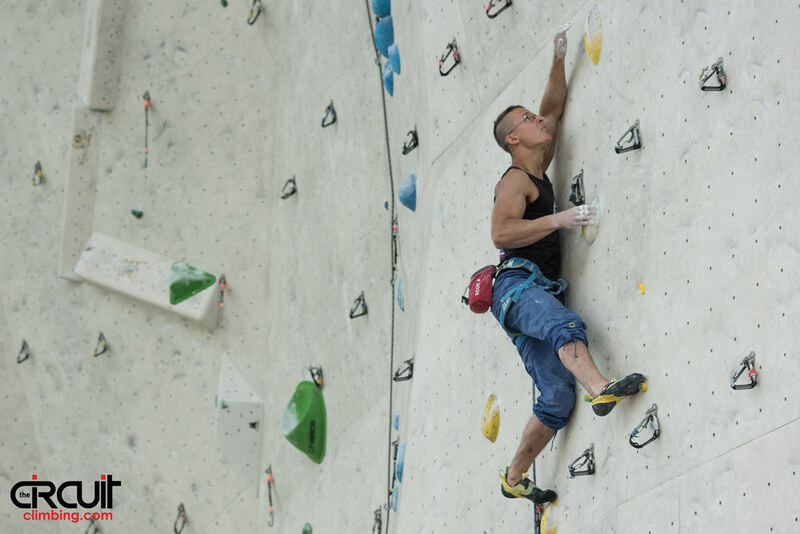 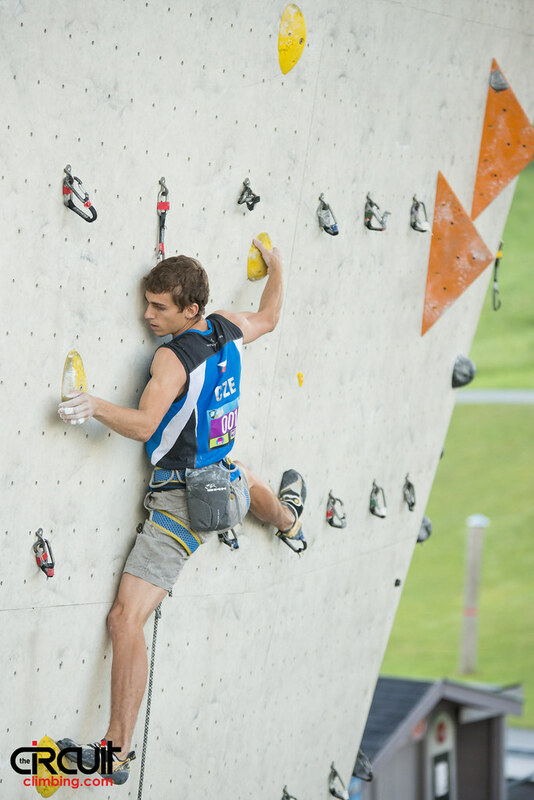 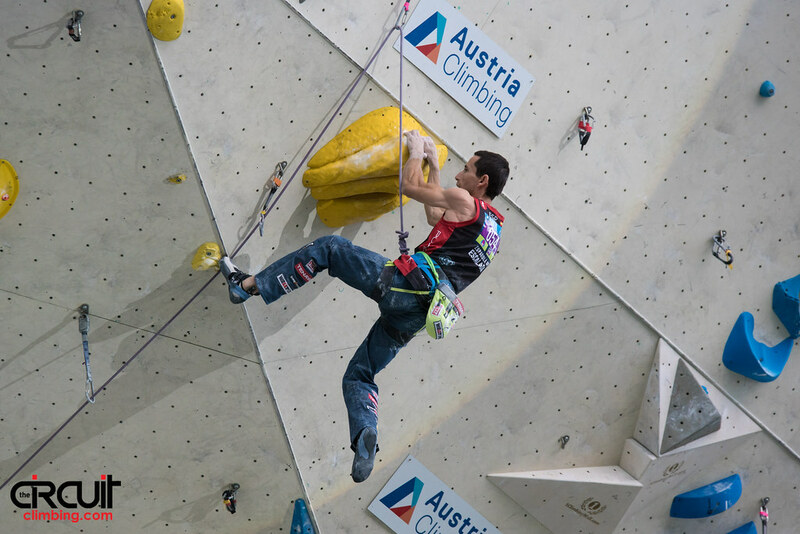 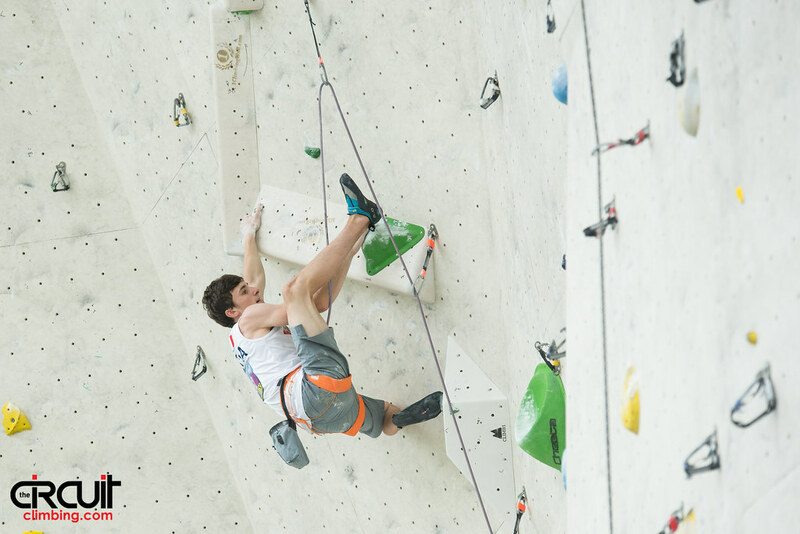 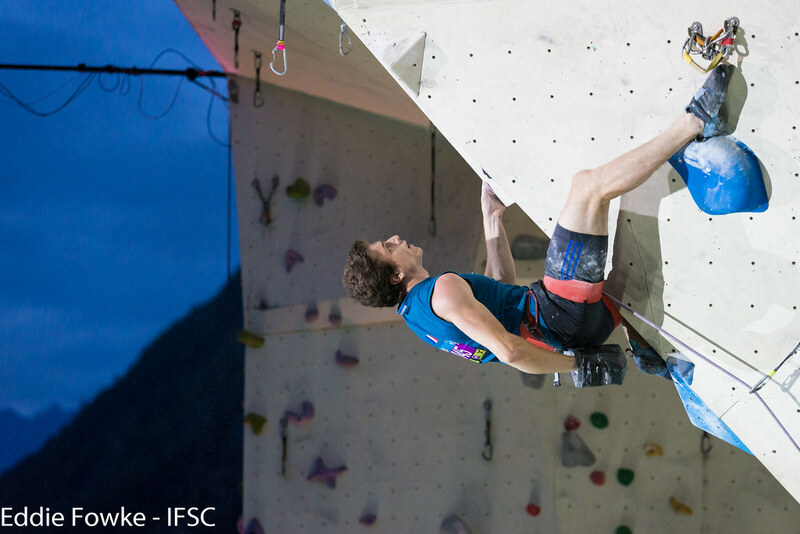 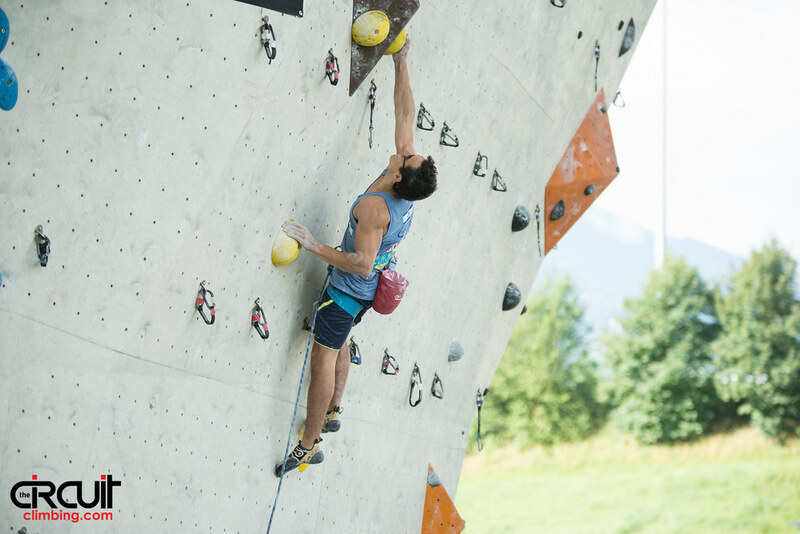 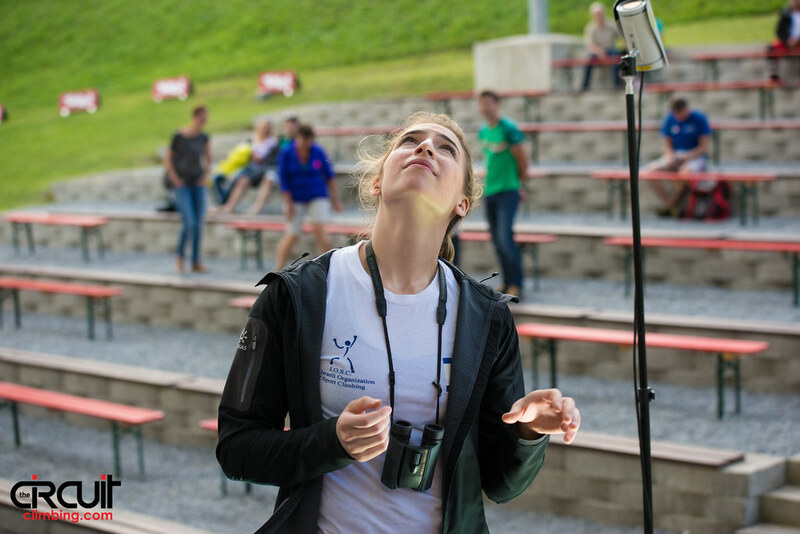 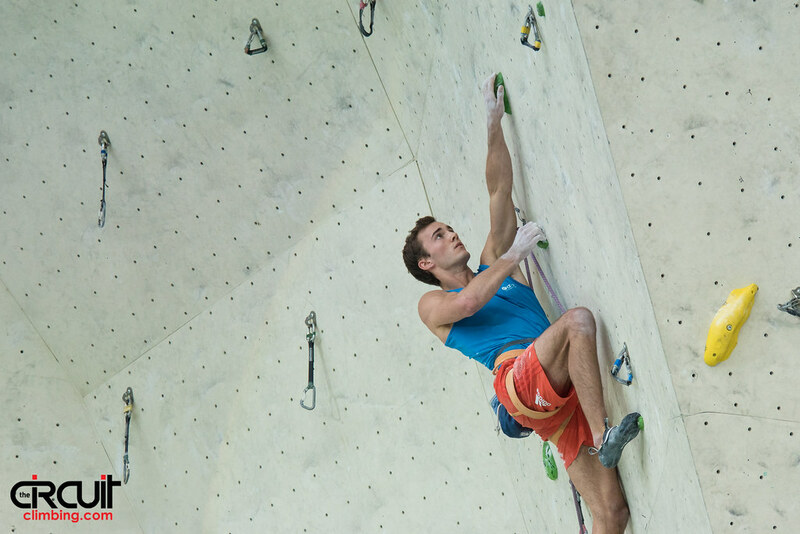 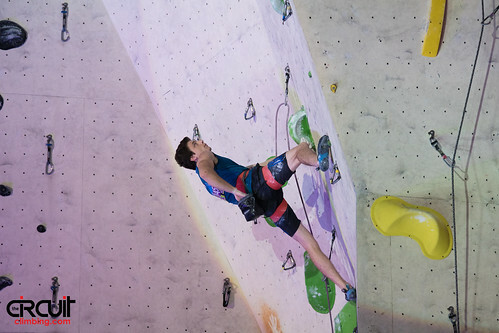 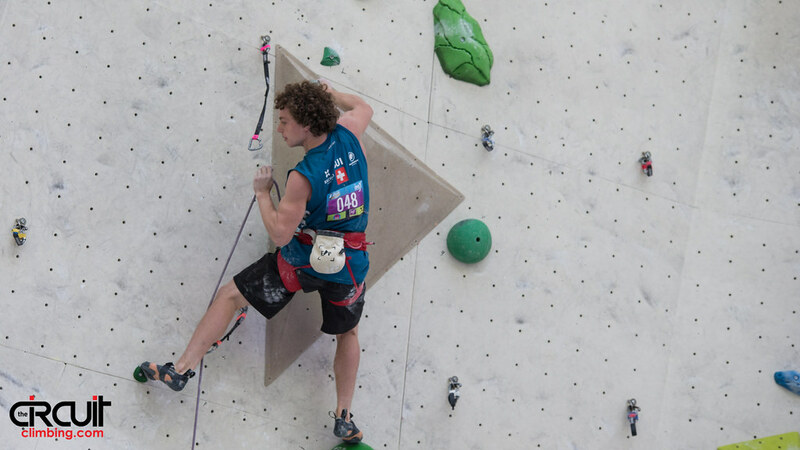 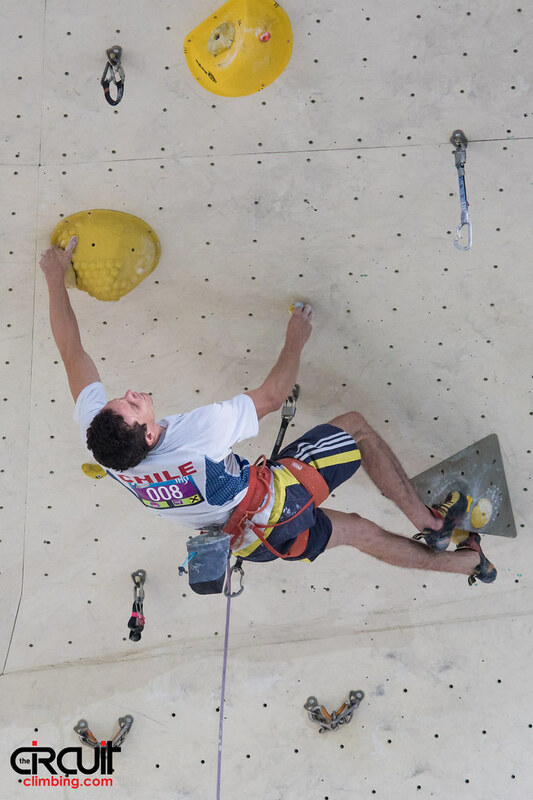 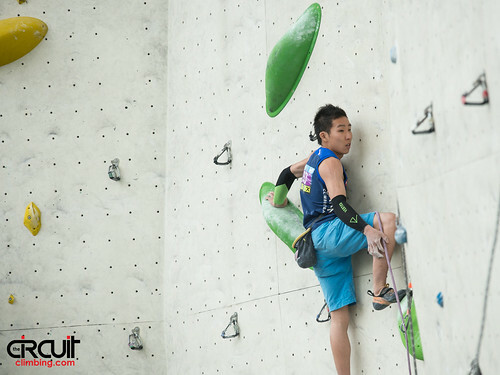 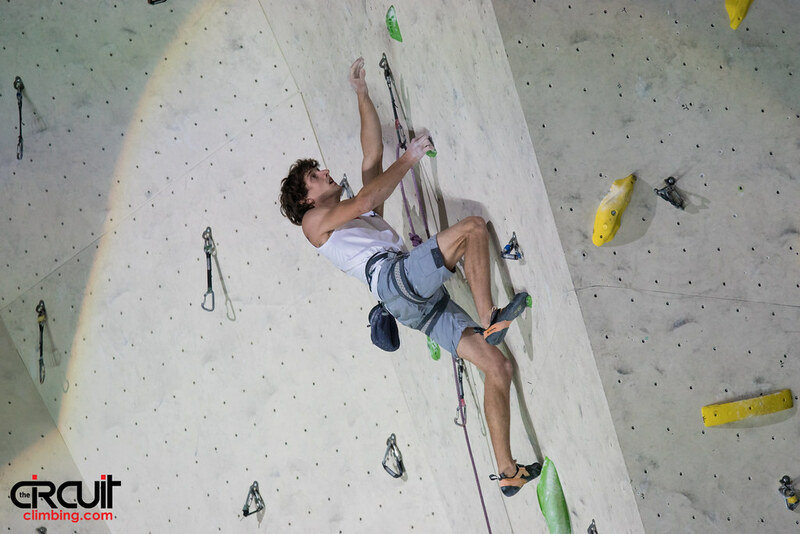 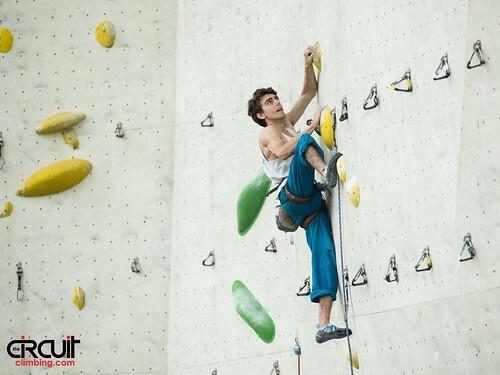 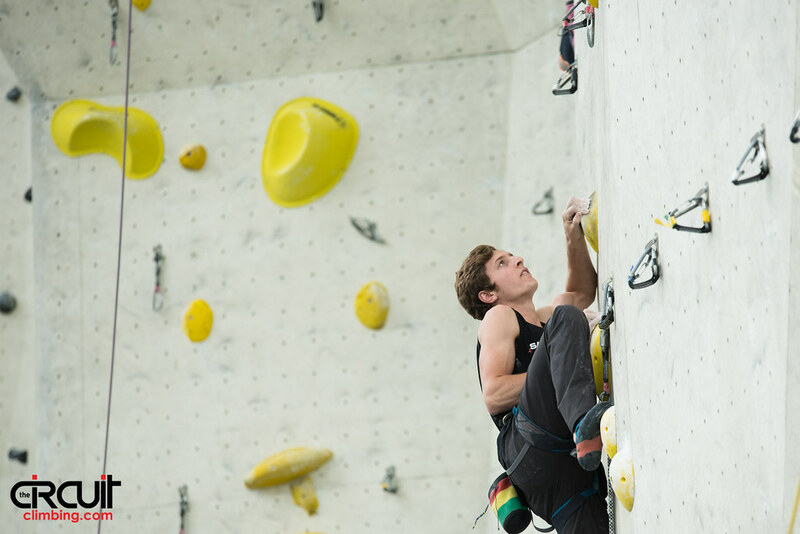 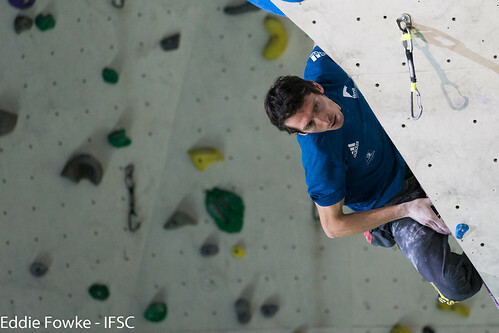 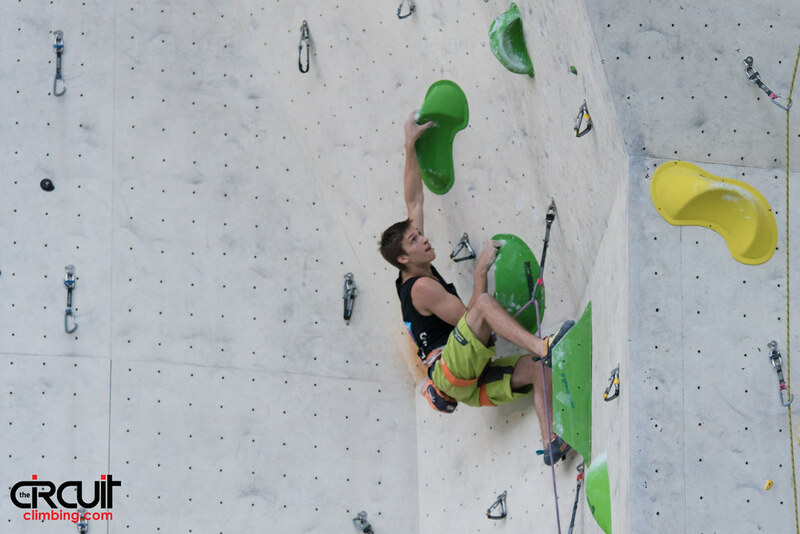 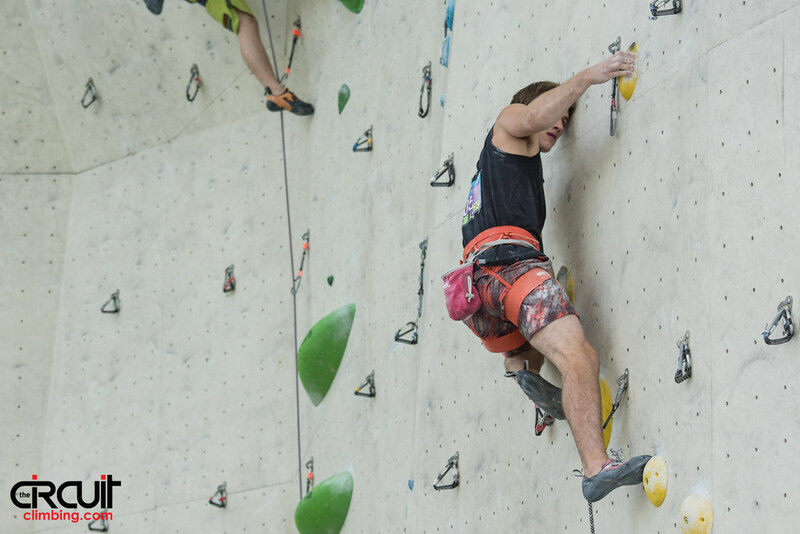 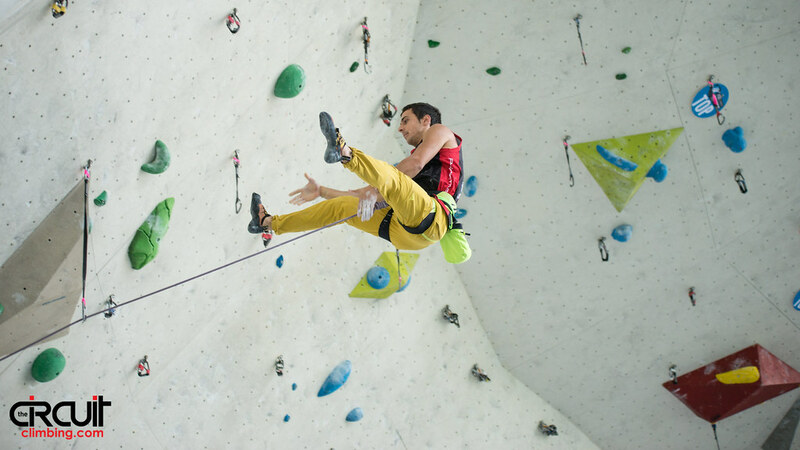 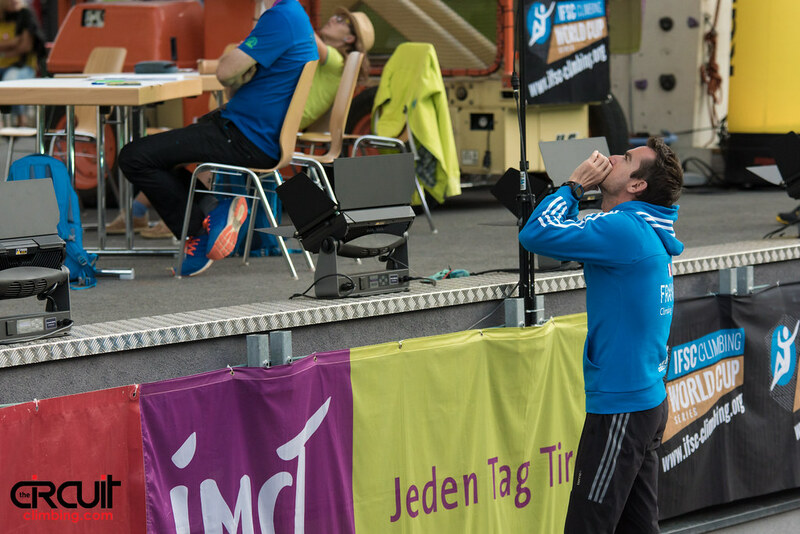 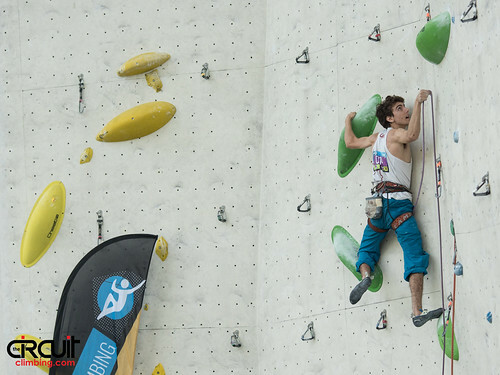 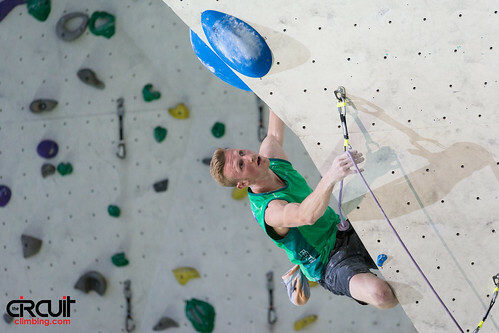 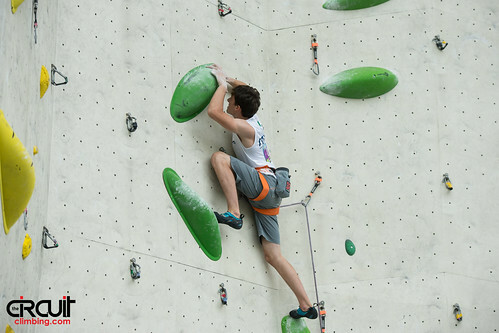 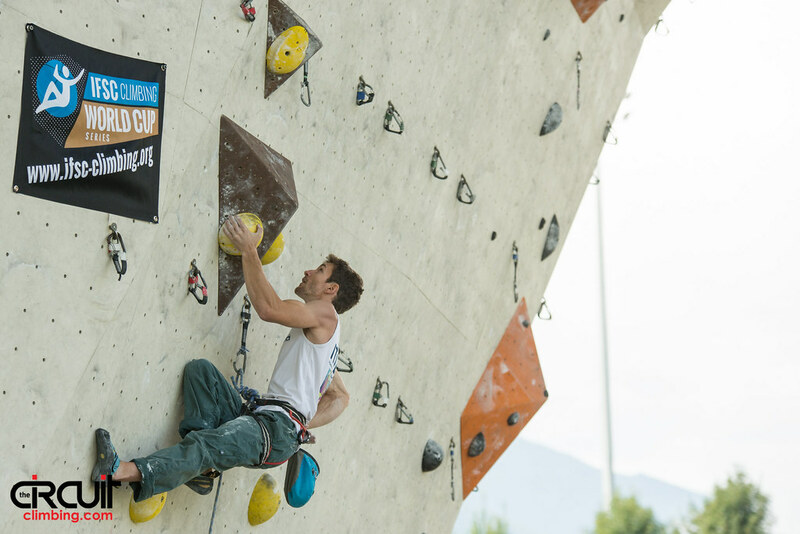 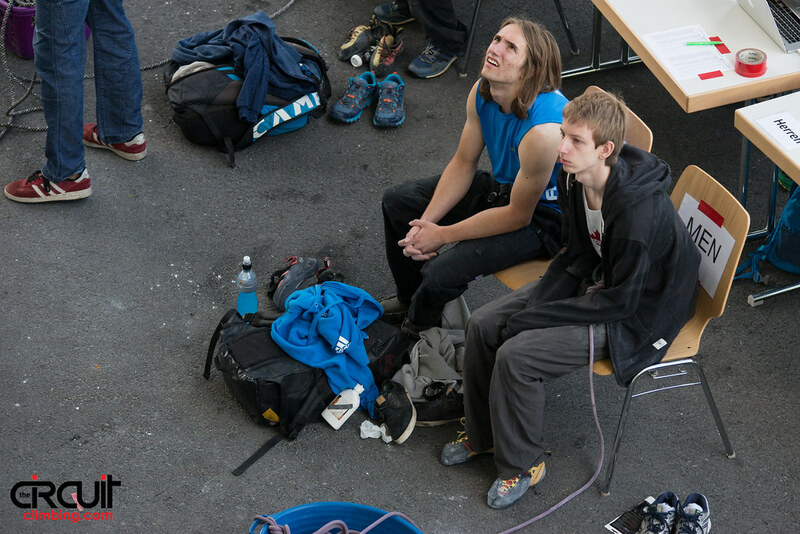 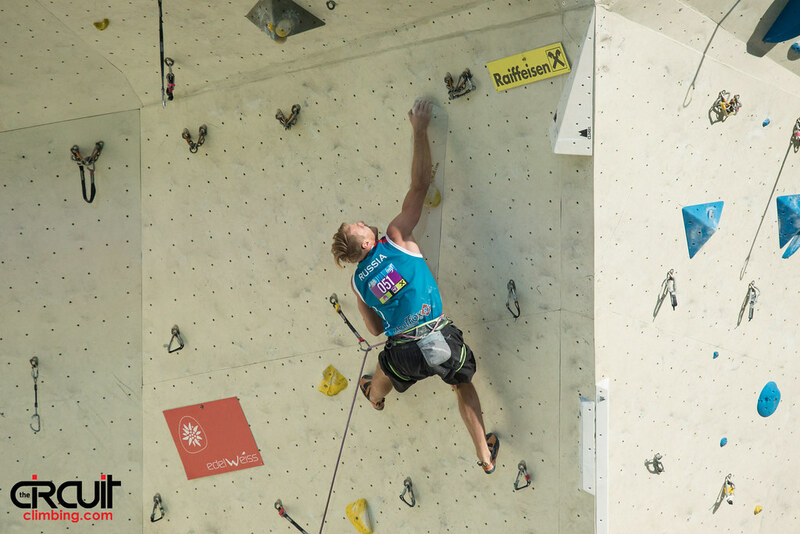 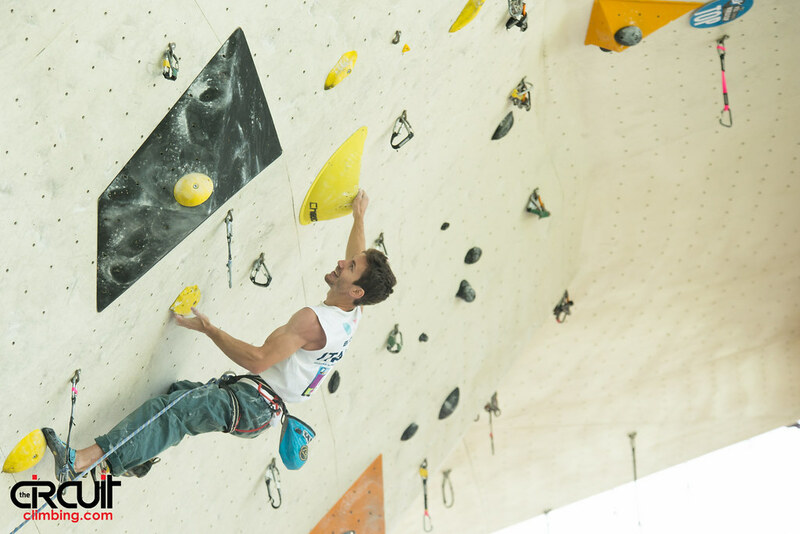 The seasoned Jakob Schubert energized the crowd in Imst with a whopping 53+, but Skofic tied the Austrian competitor and claimed his third Gold of the season with a countback to Semi-Finals. 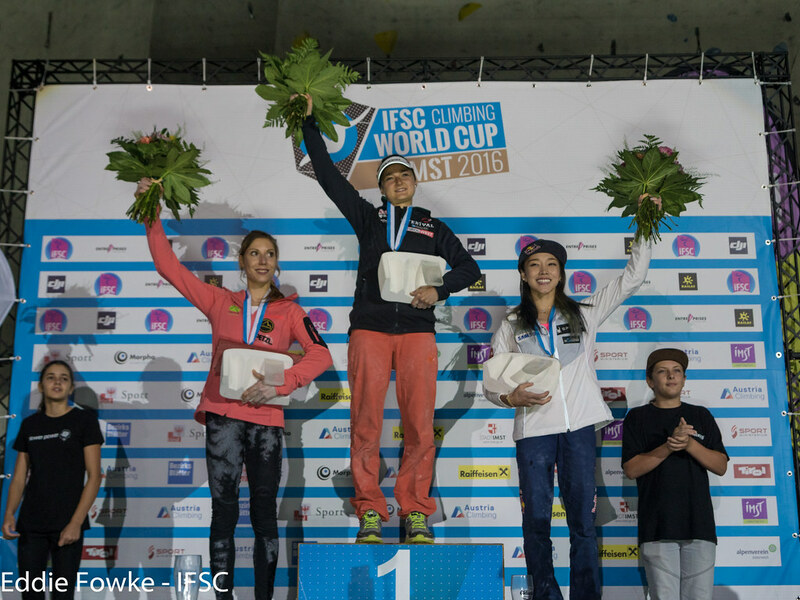 Gautier Supper of France rounded out the podium. 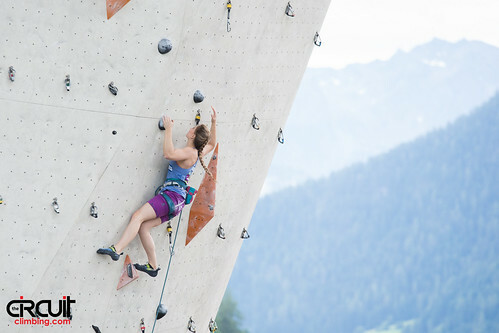 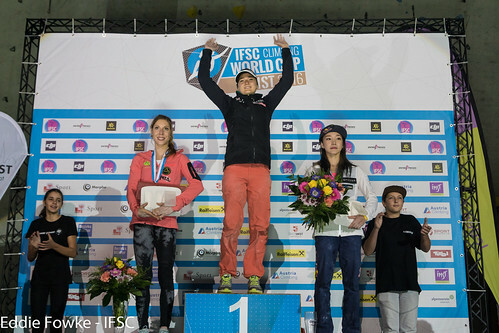 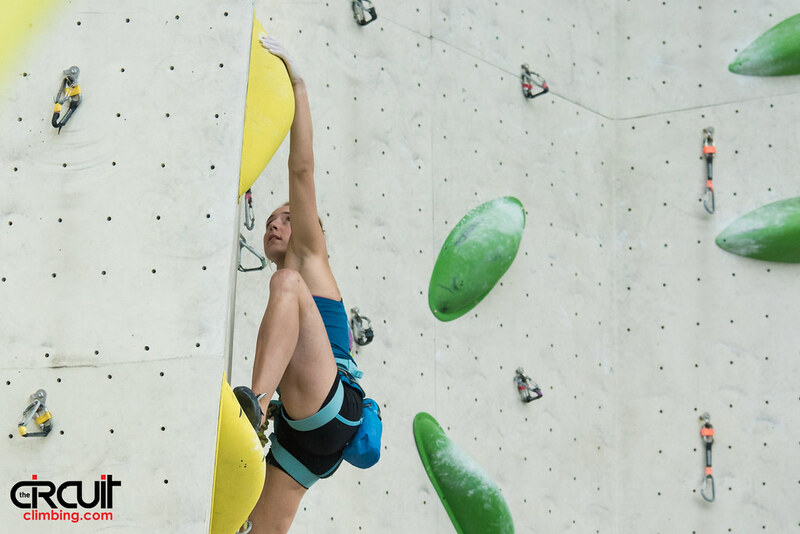 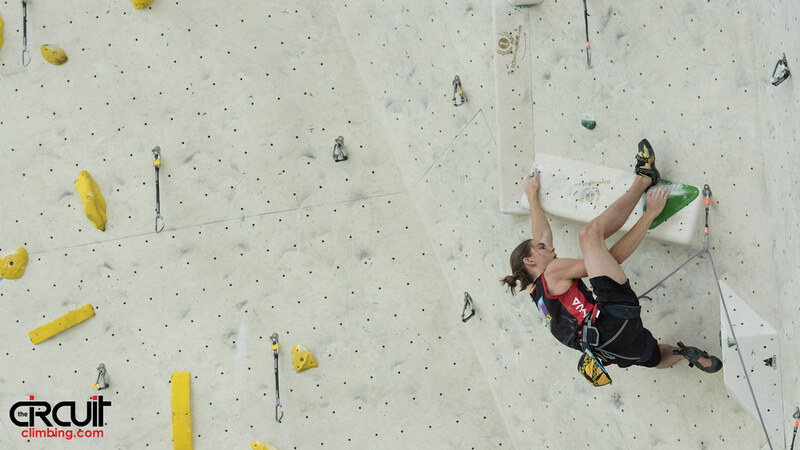 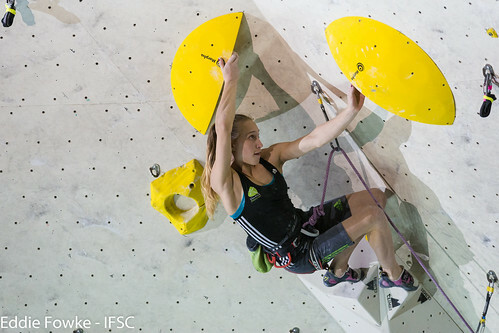 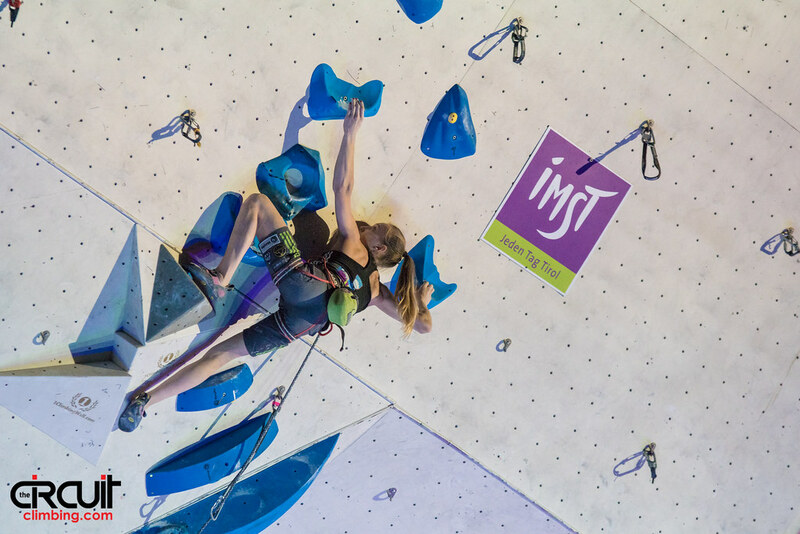 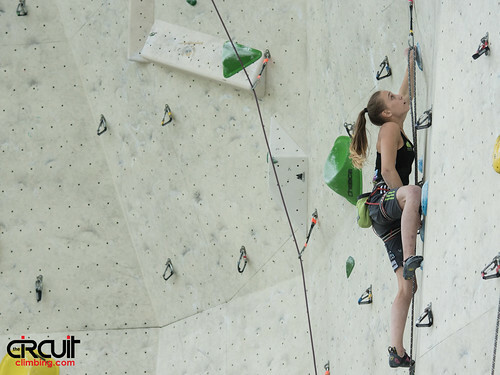 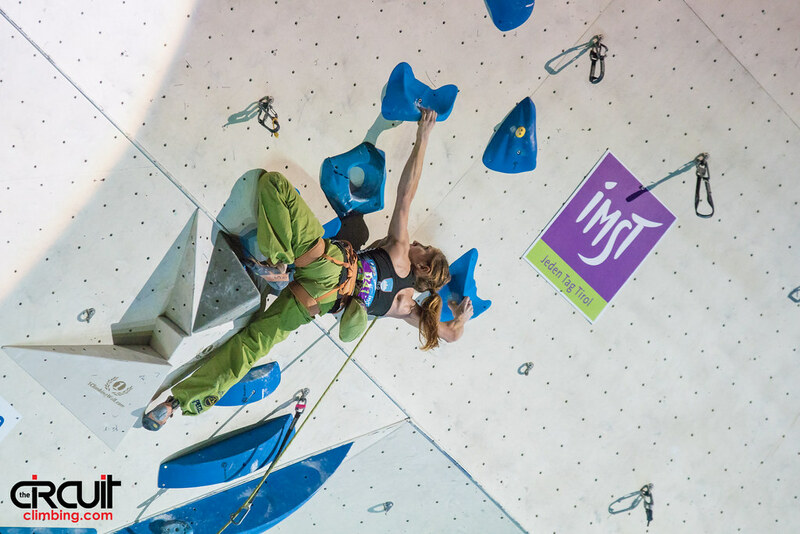 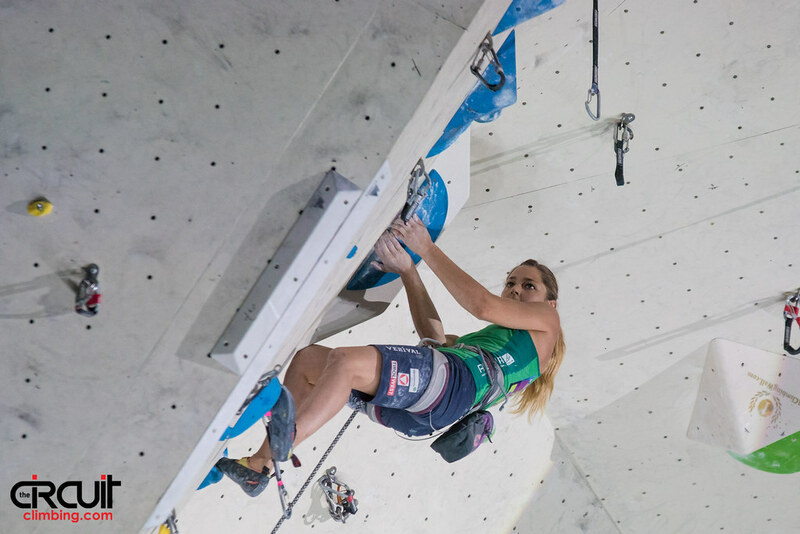 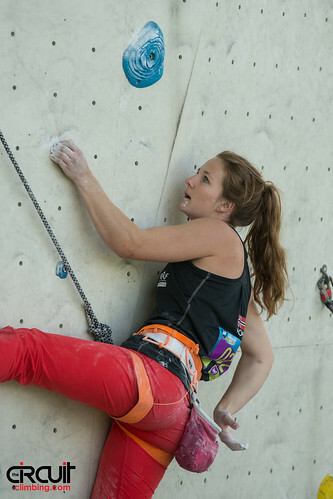 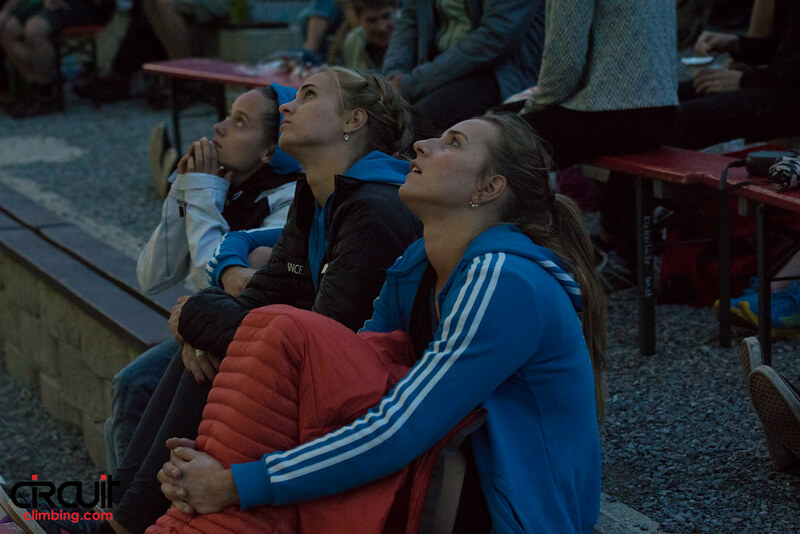 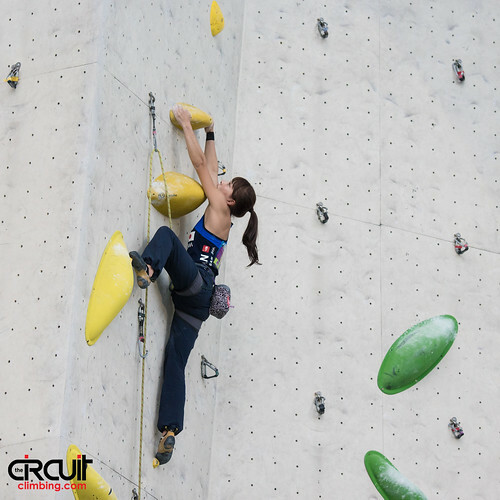 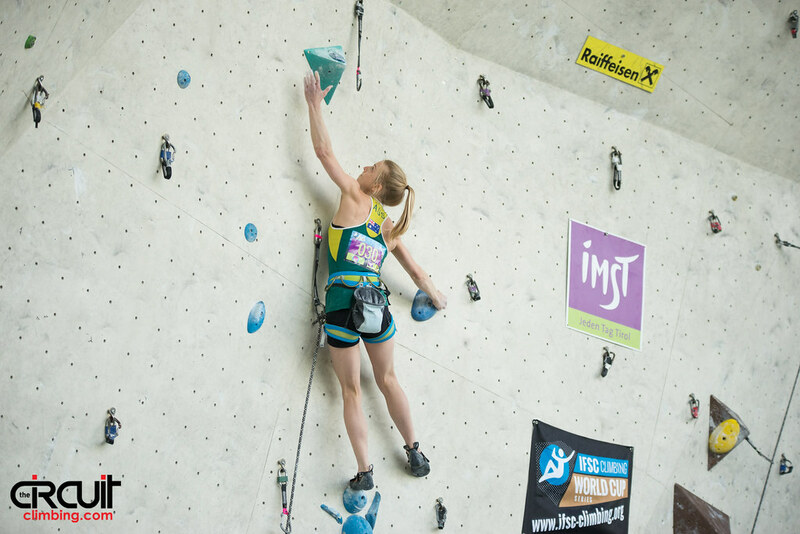 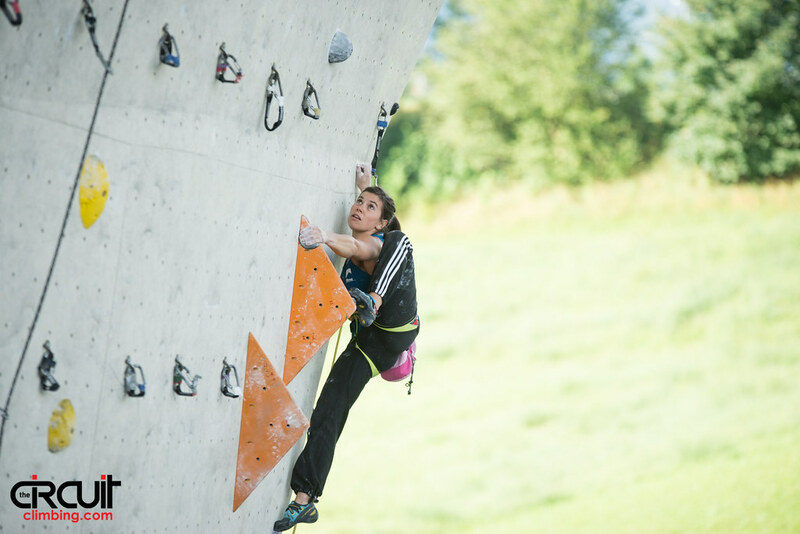 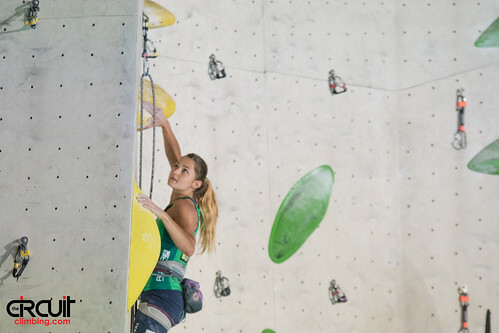 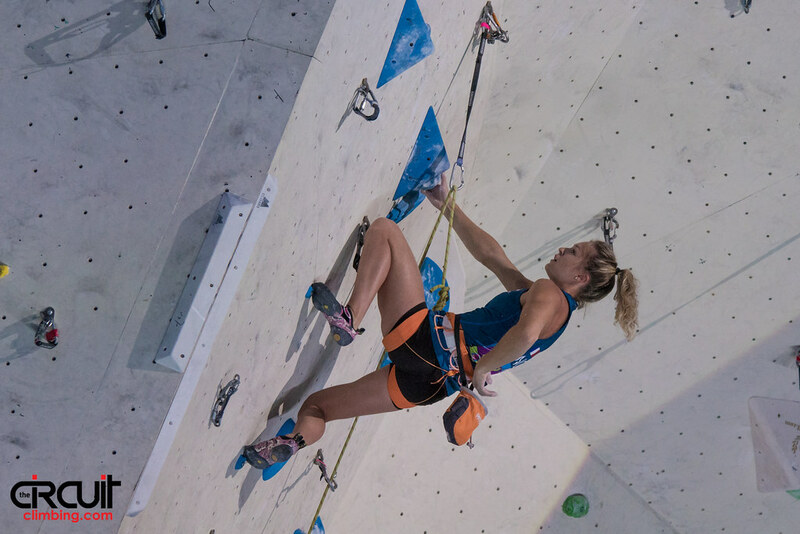 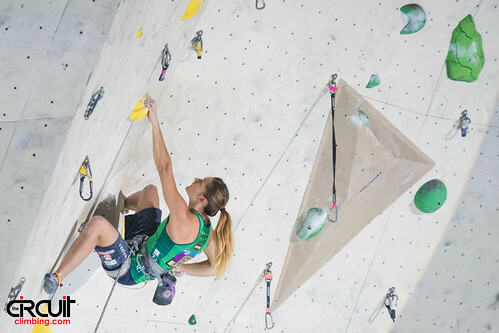 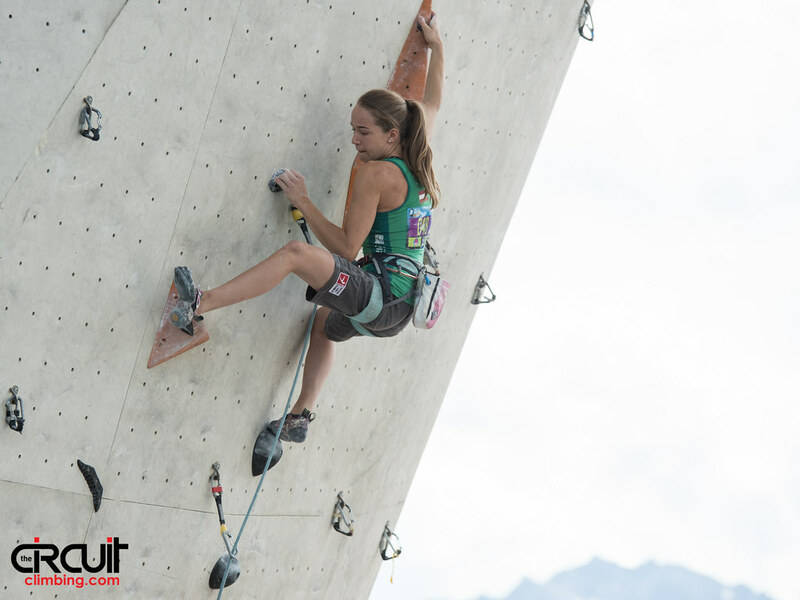 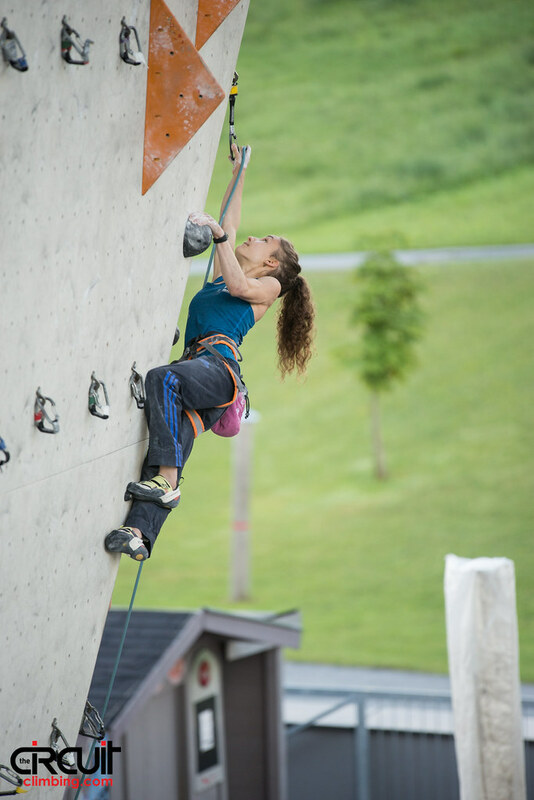 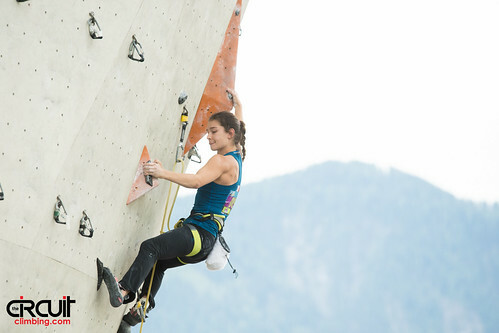 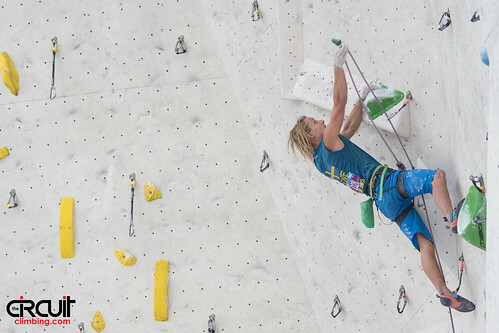 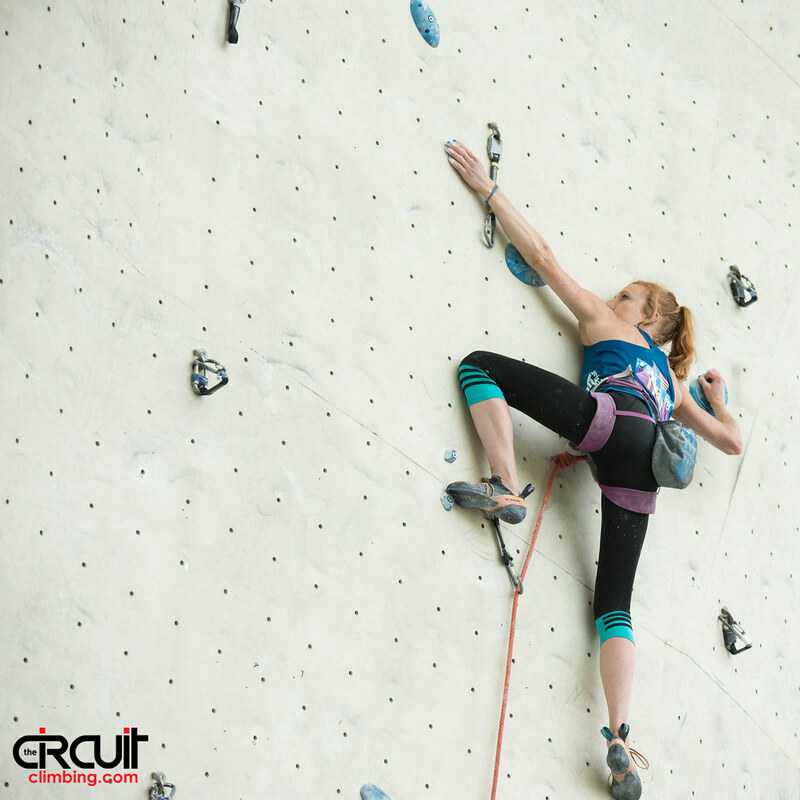 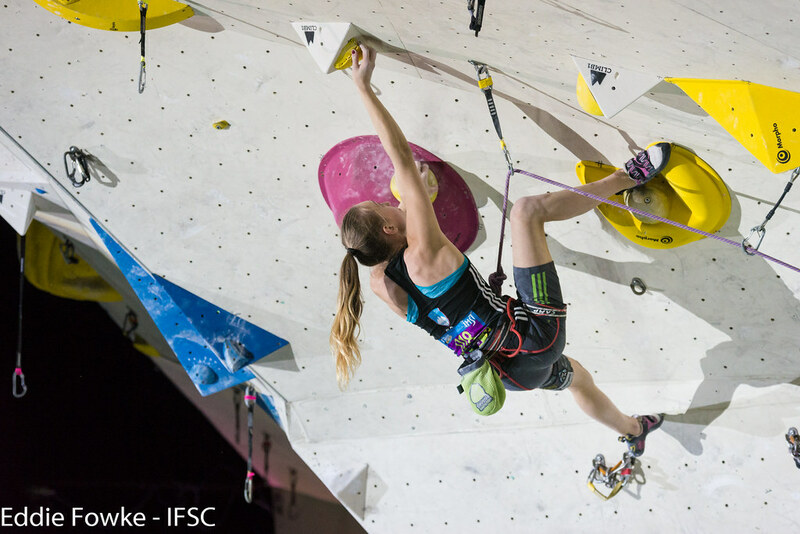 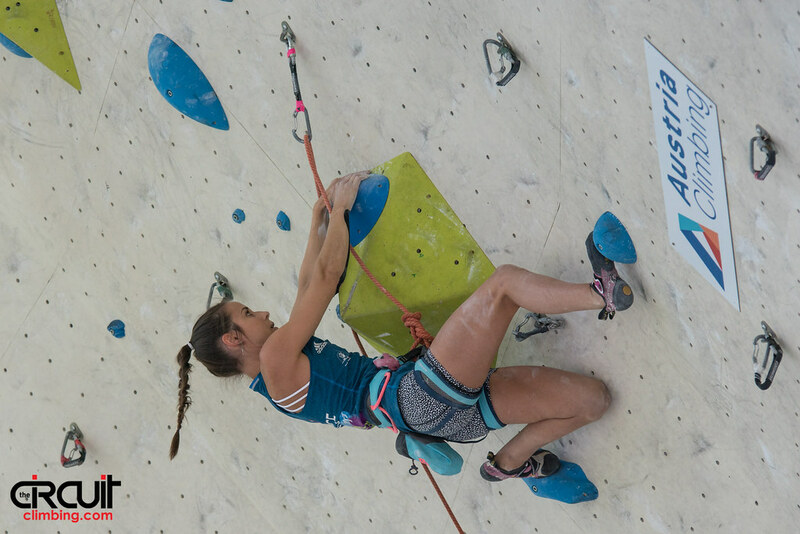 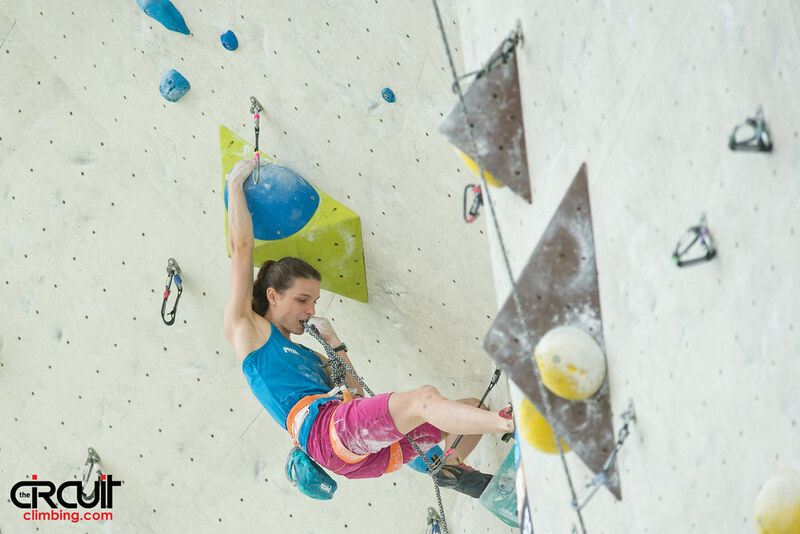 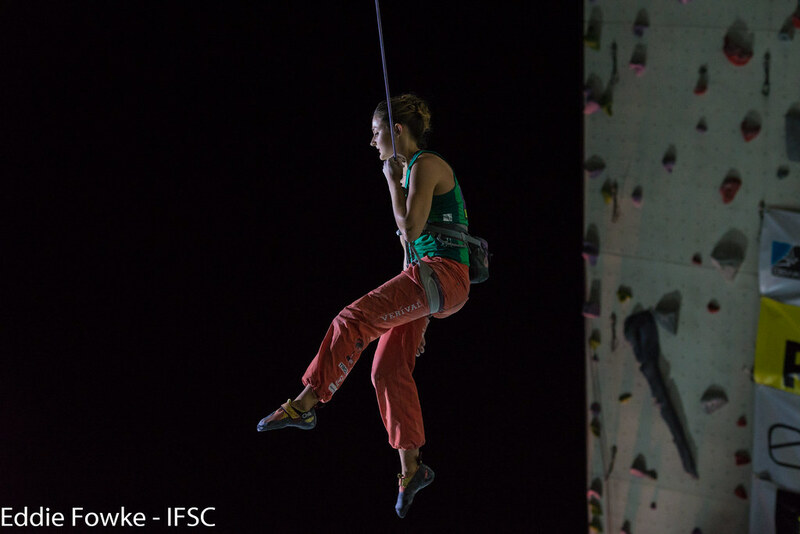 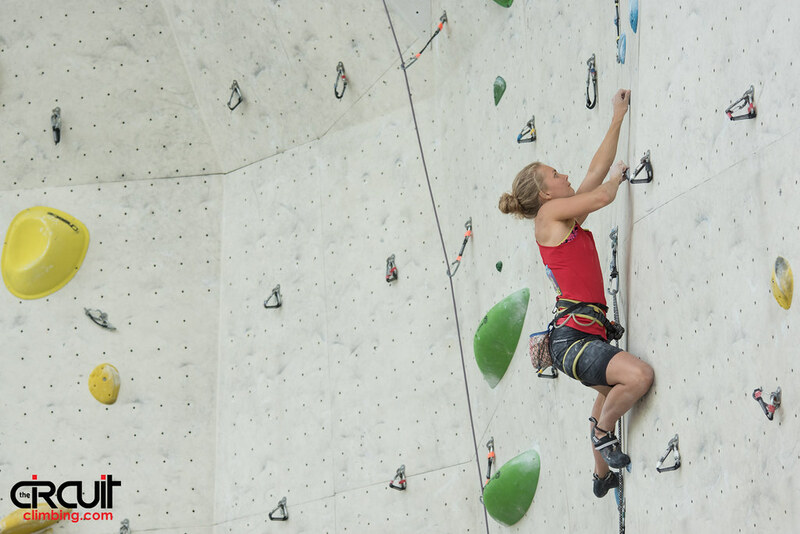 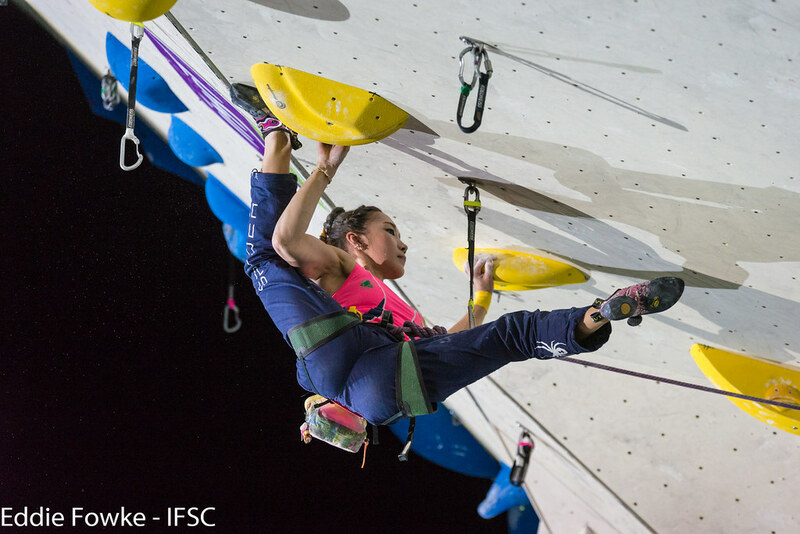 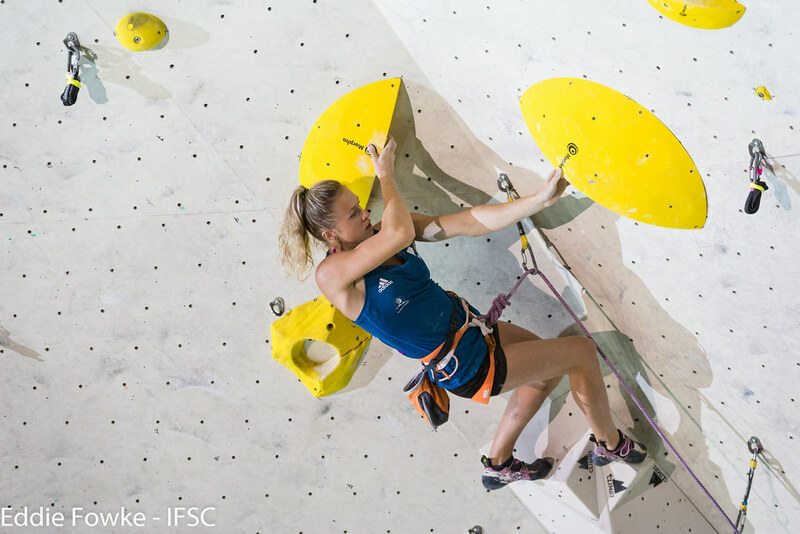 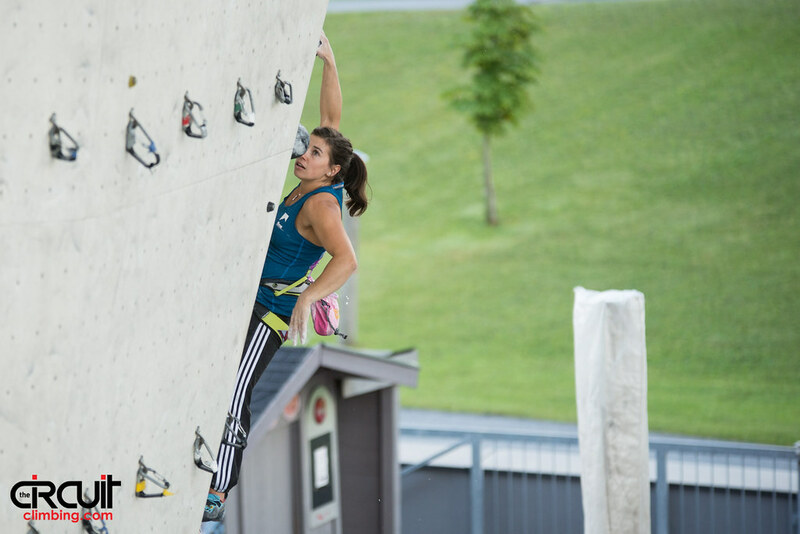 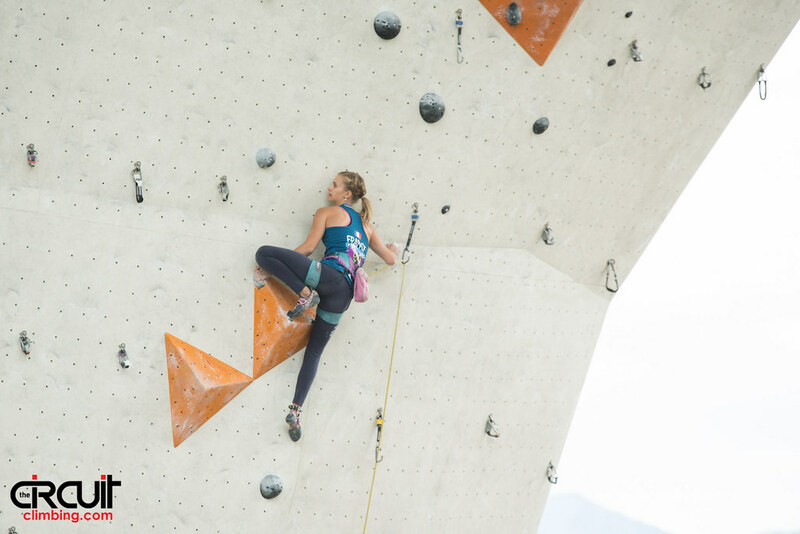 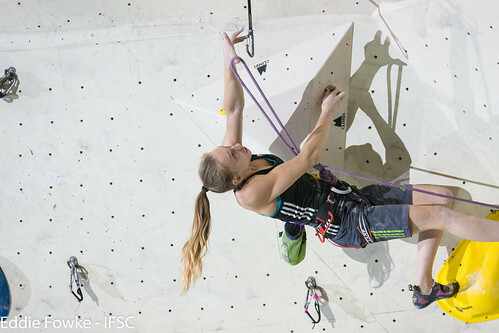 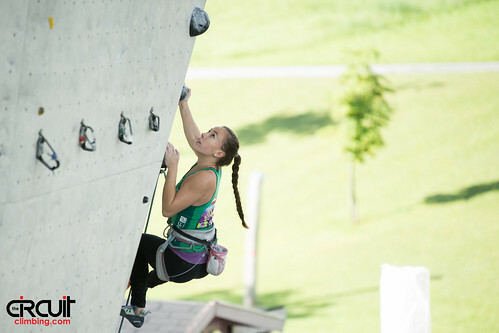 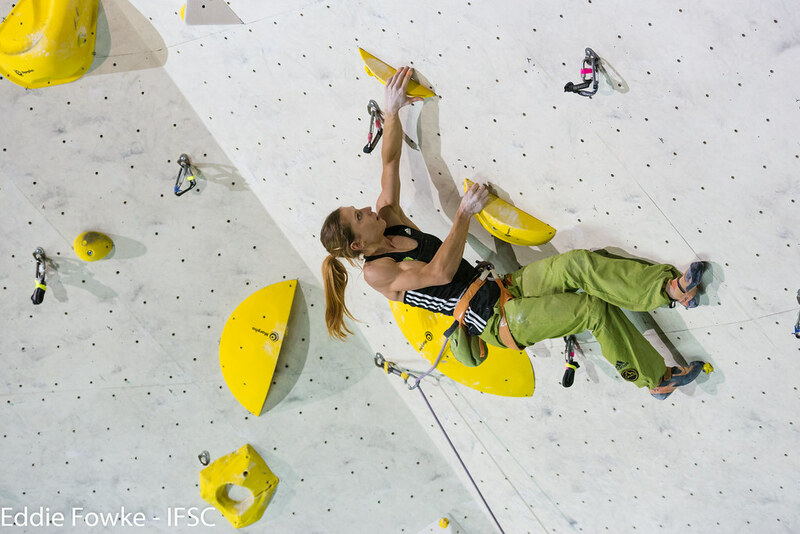 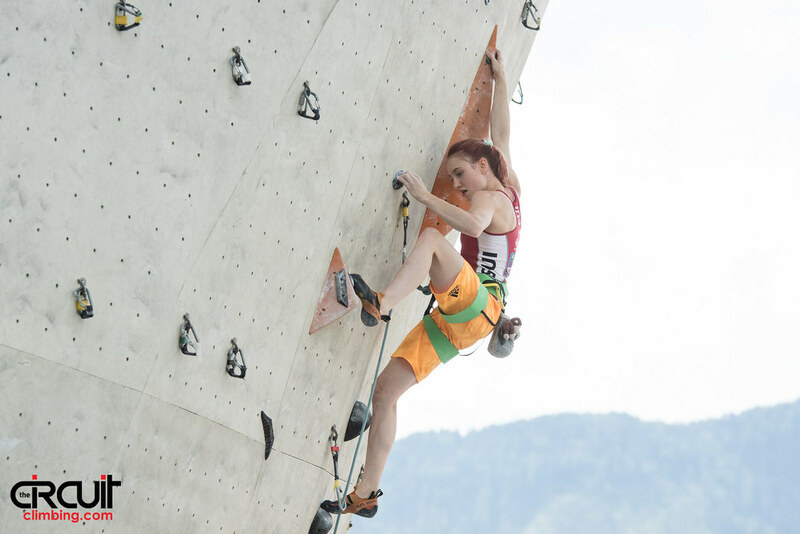 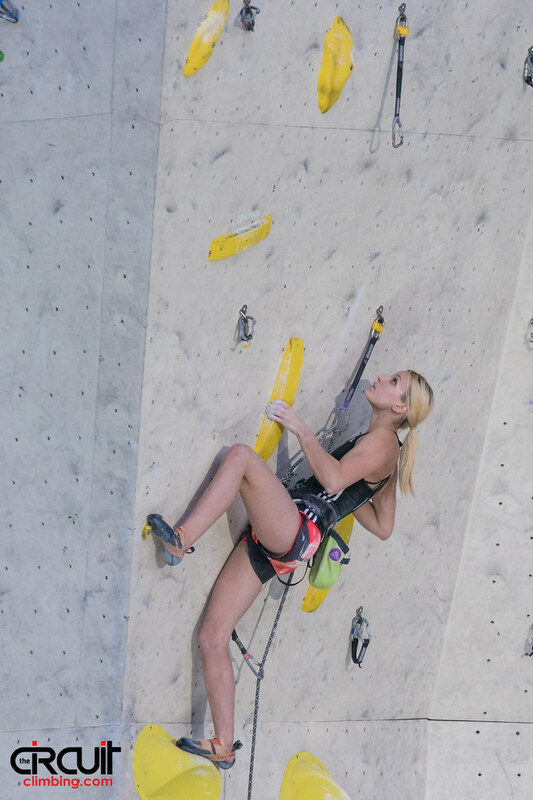 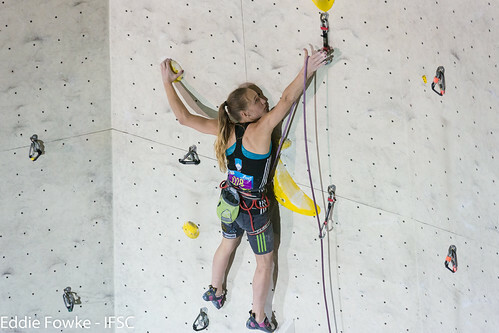 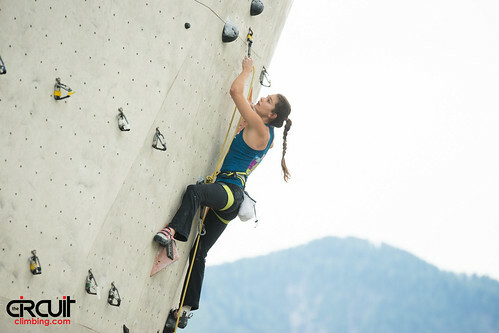 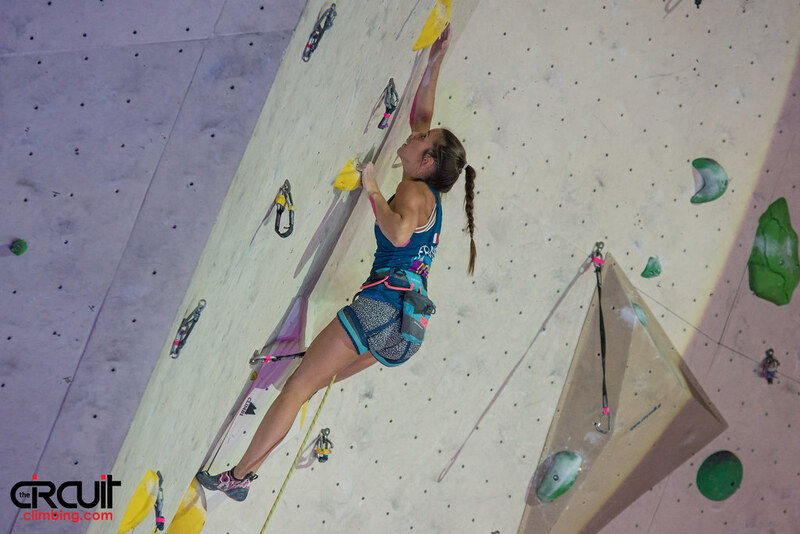 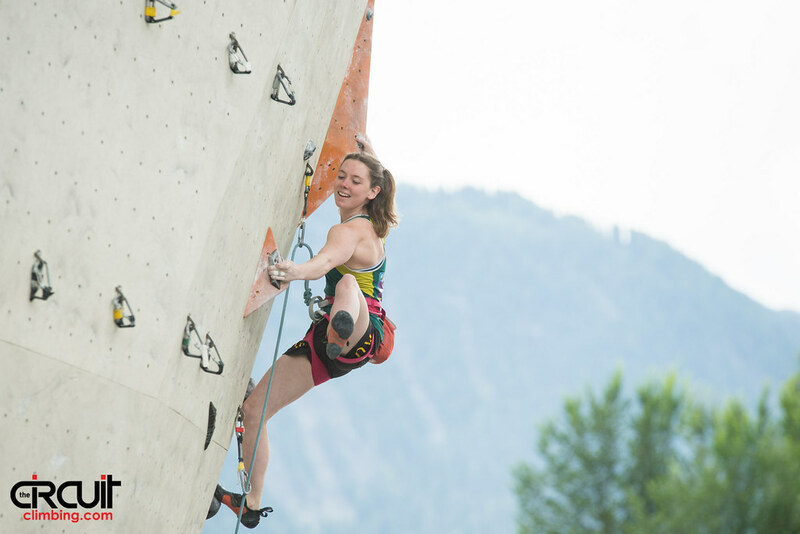 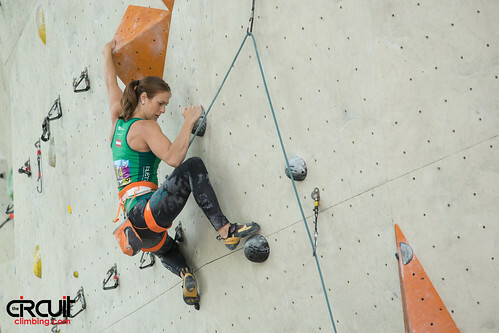 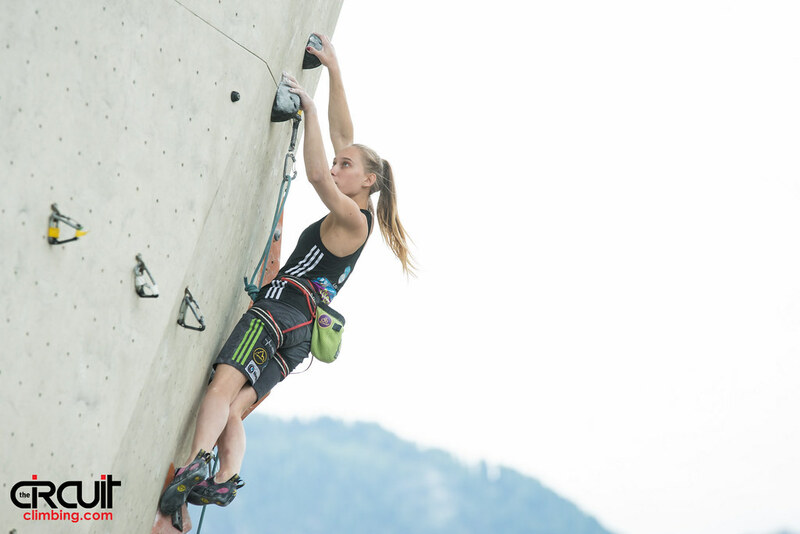 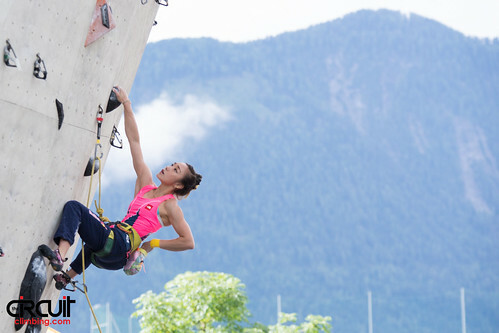 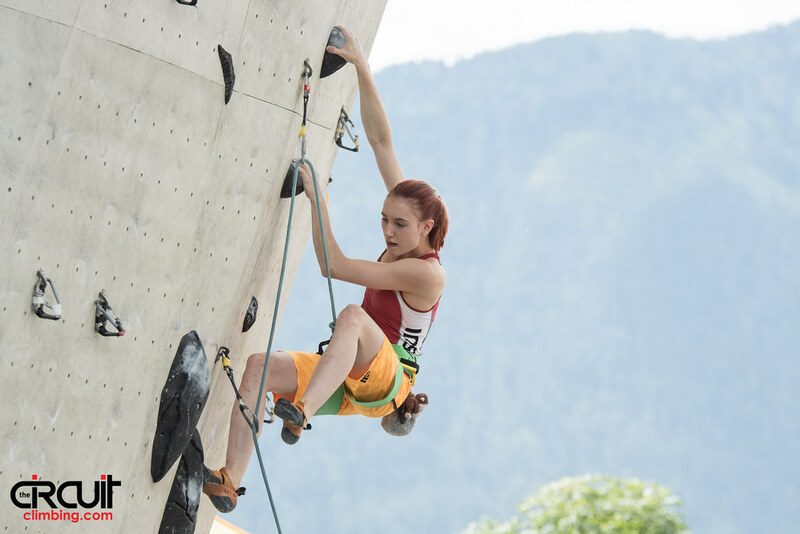 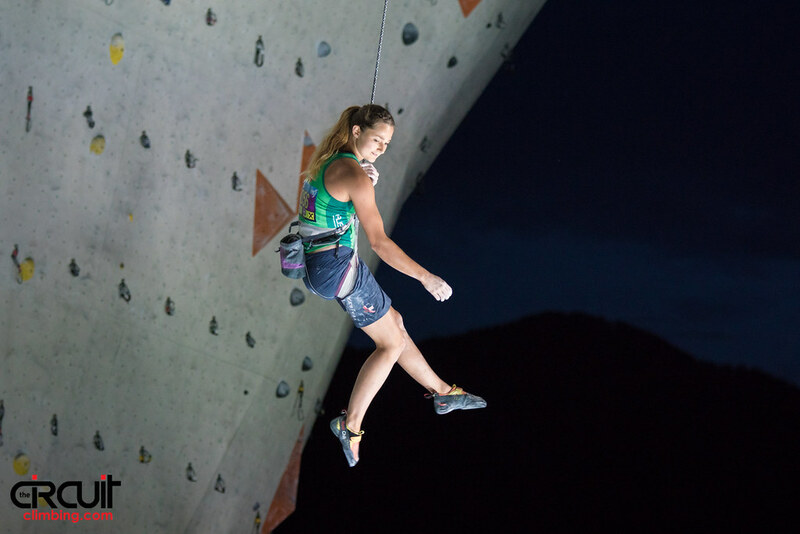 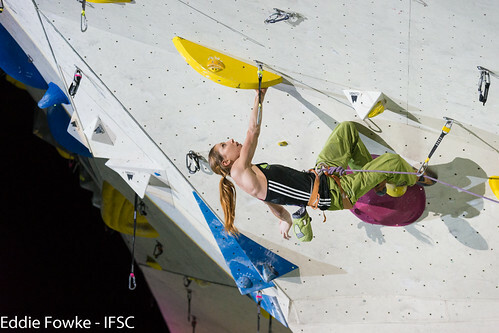 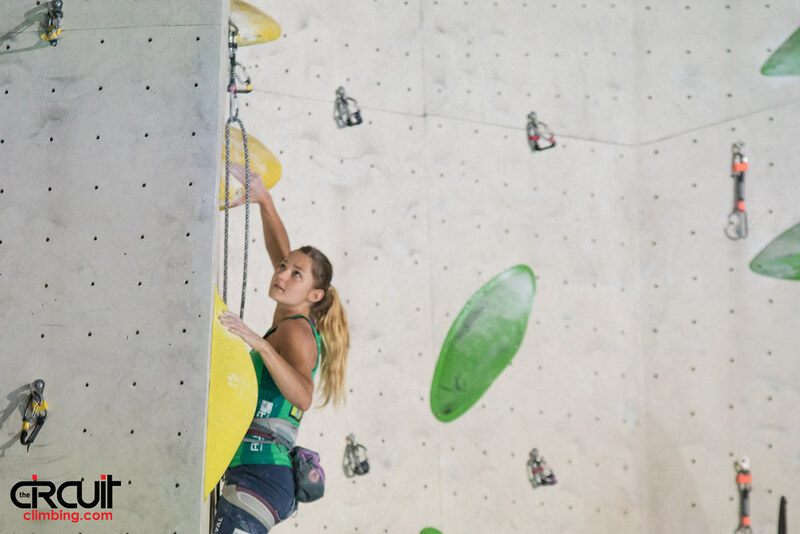 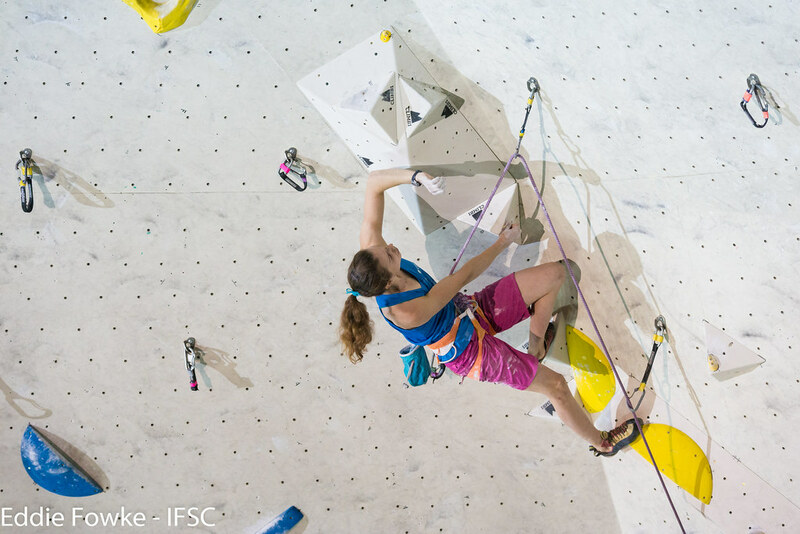 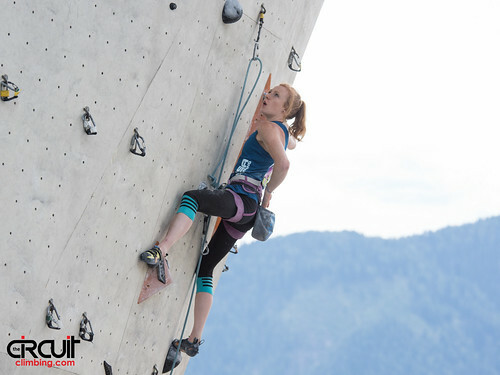 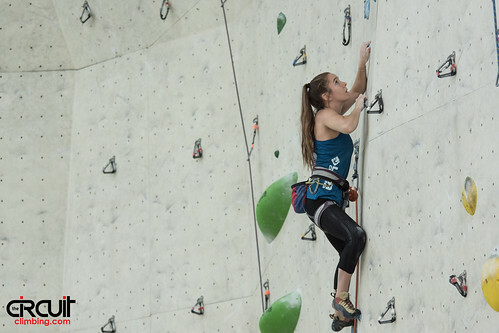 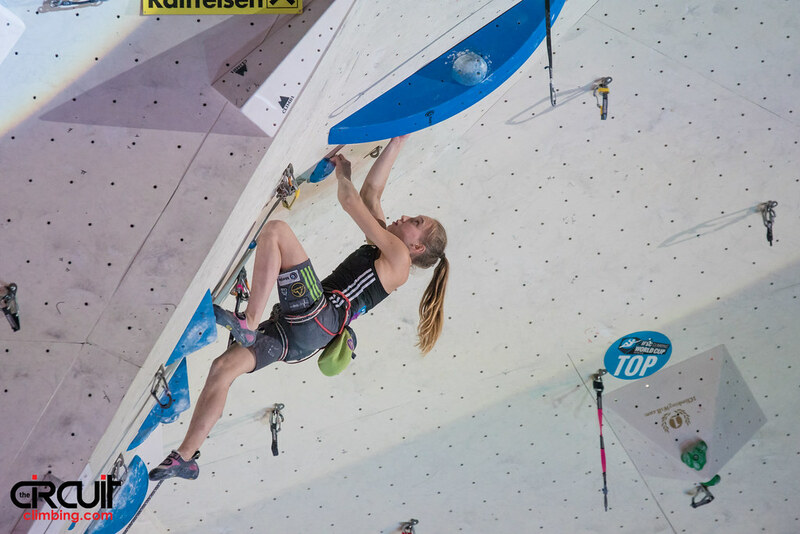 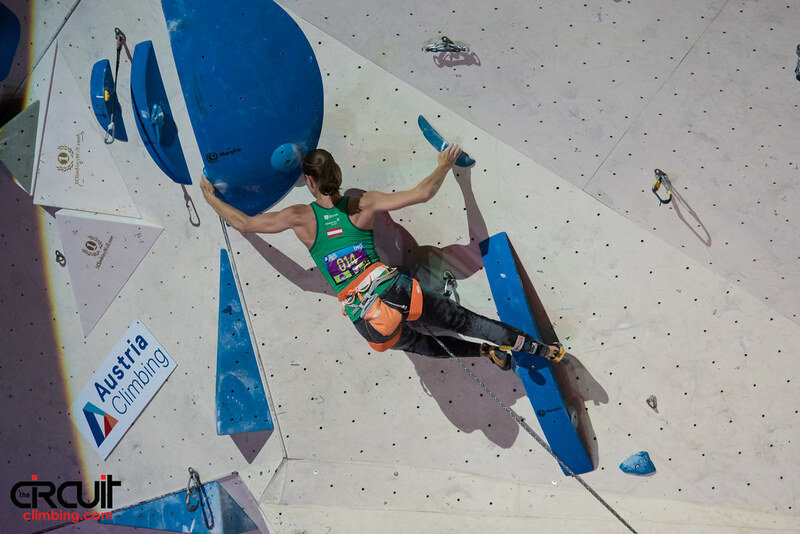 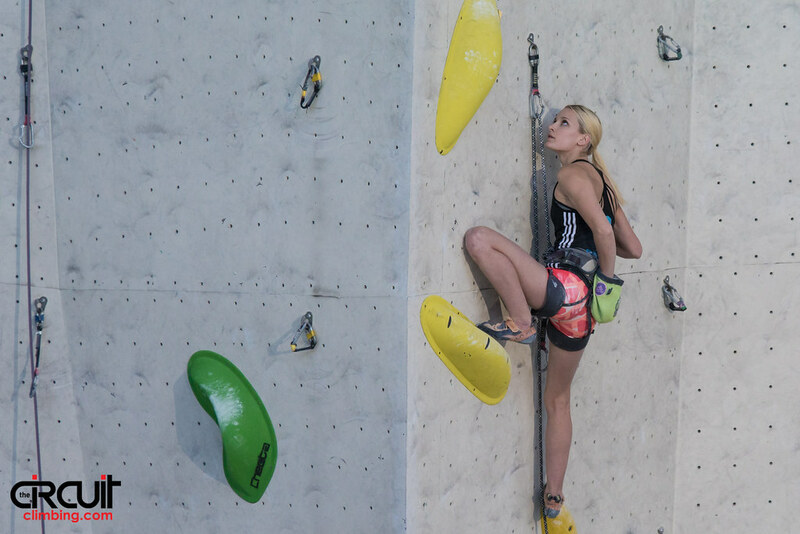 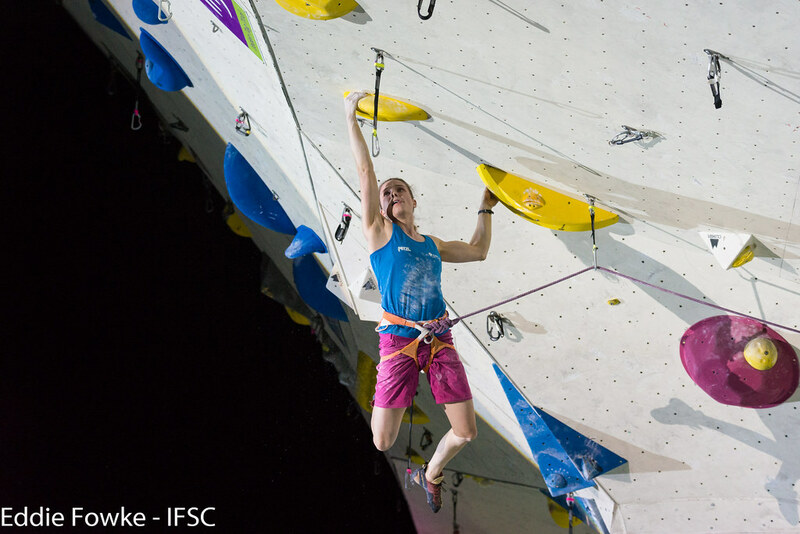 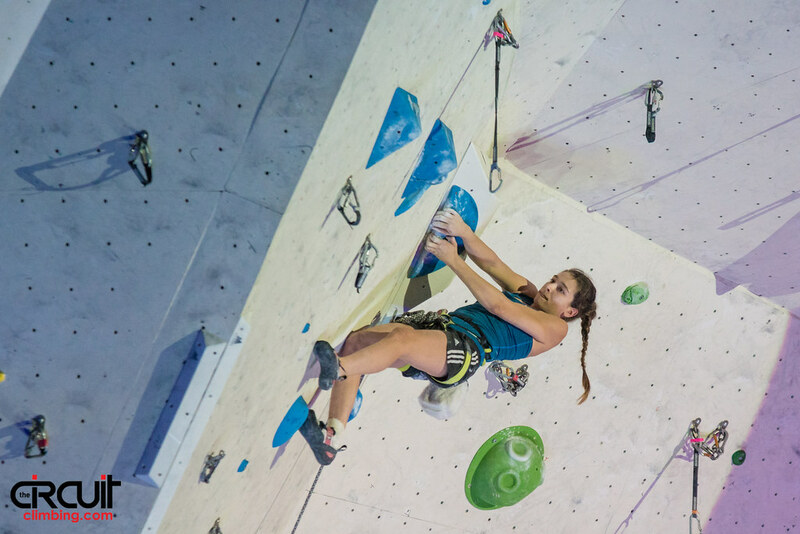 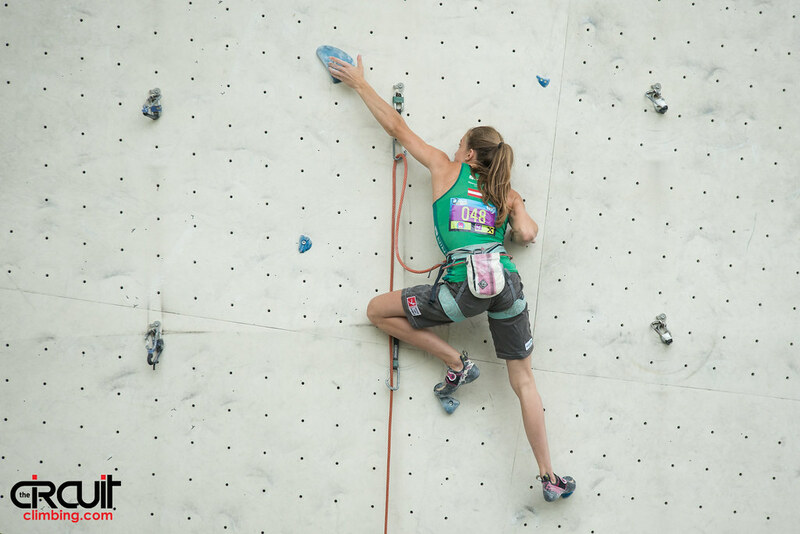 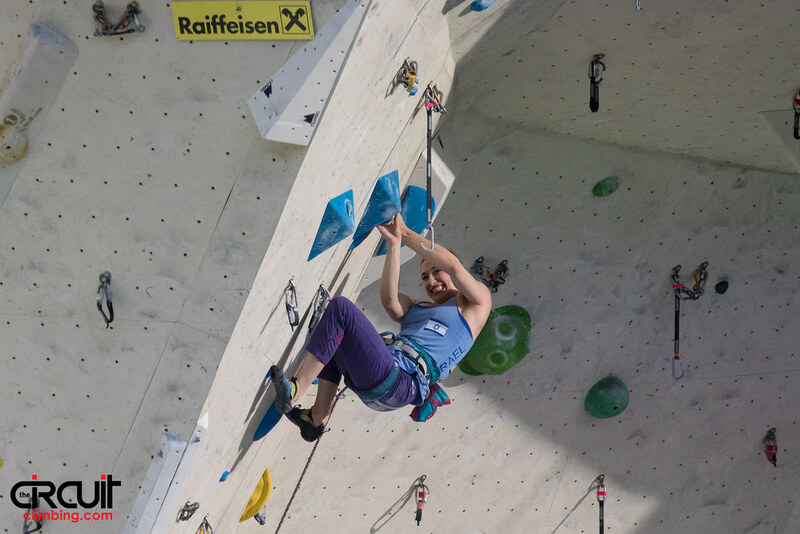 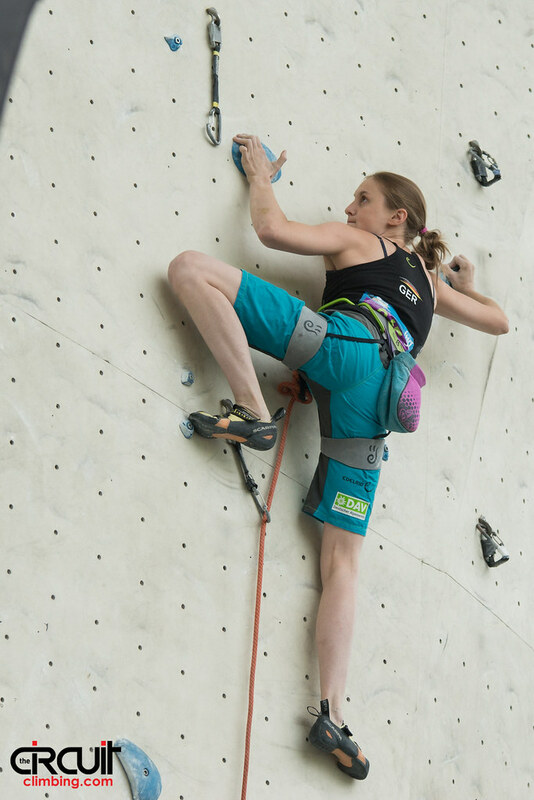 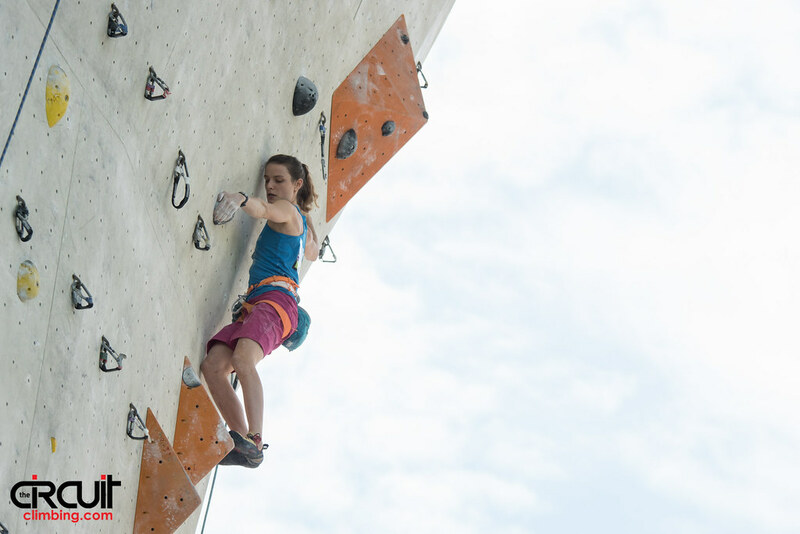 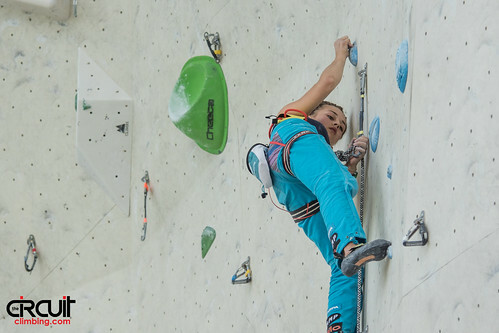 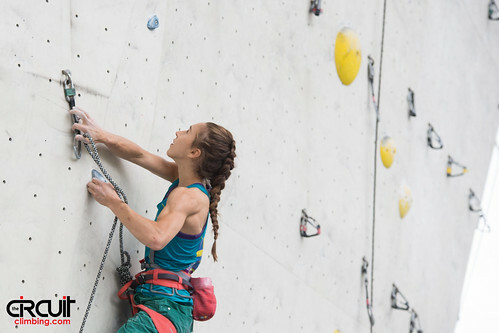 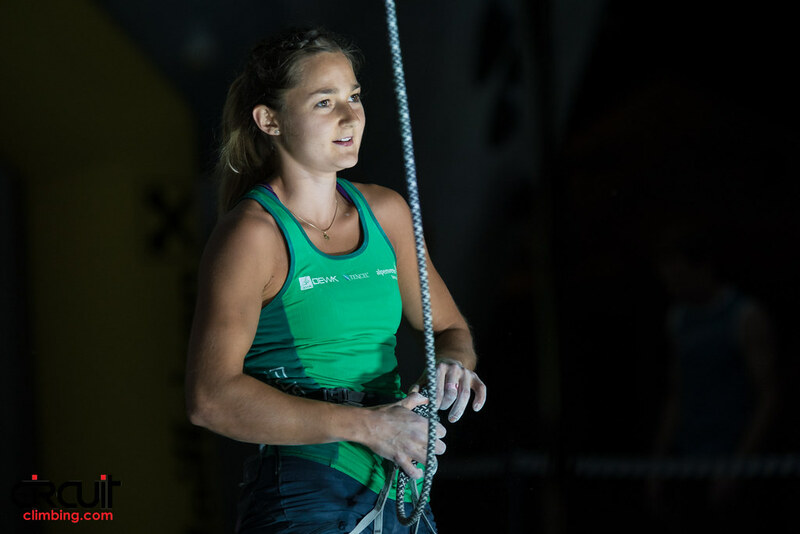 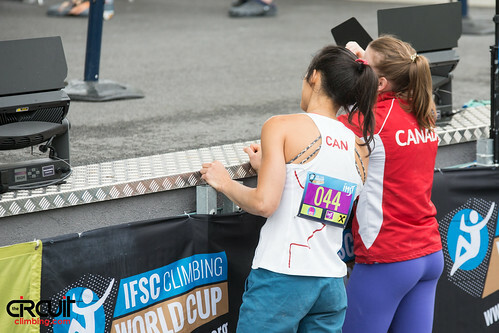 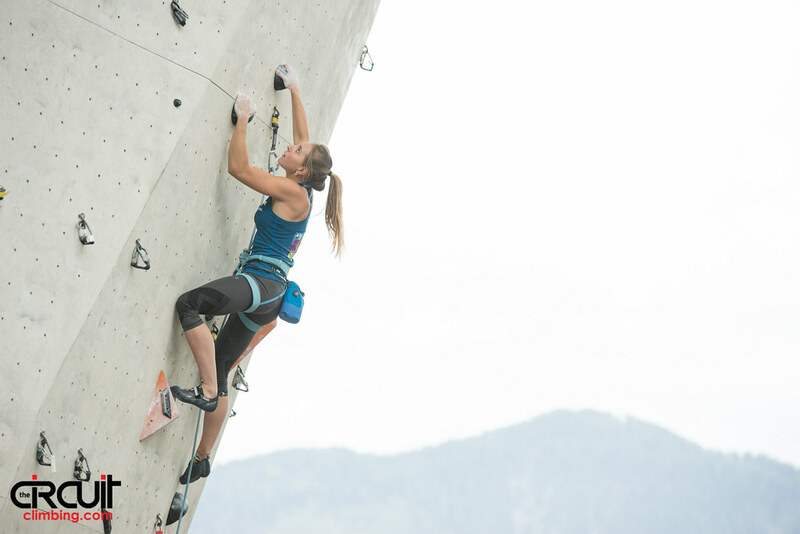 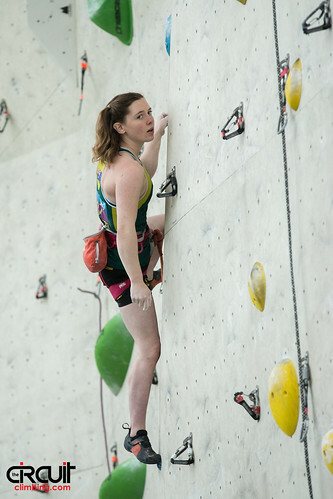 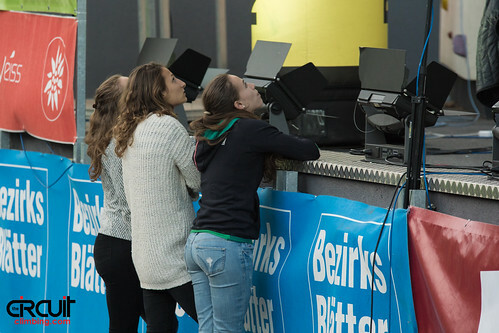 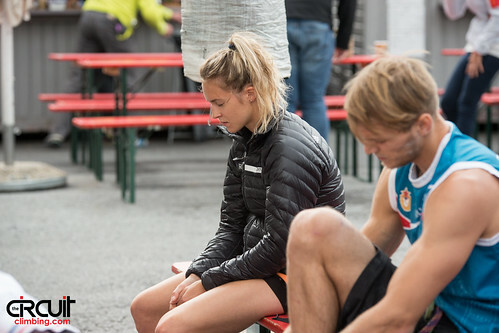 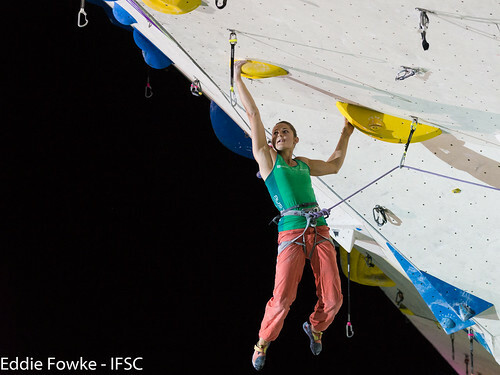 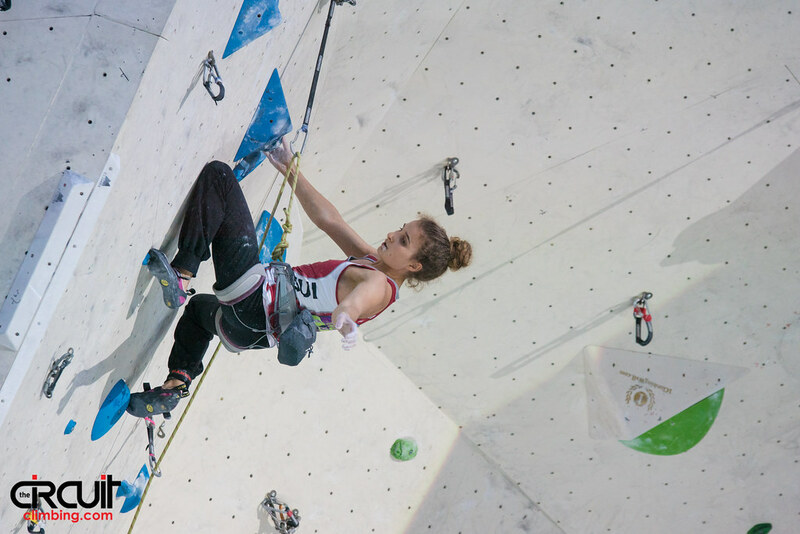 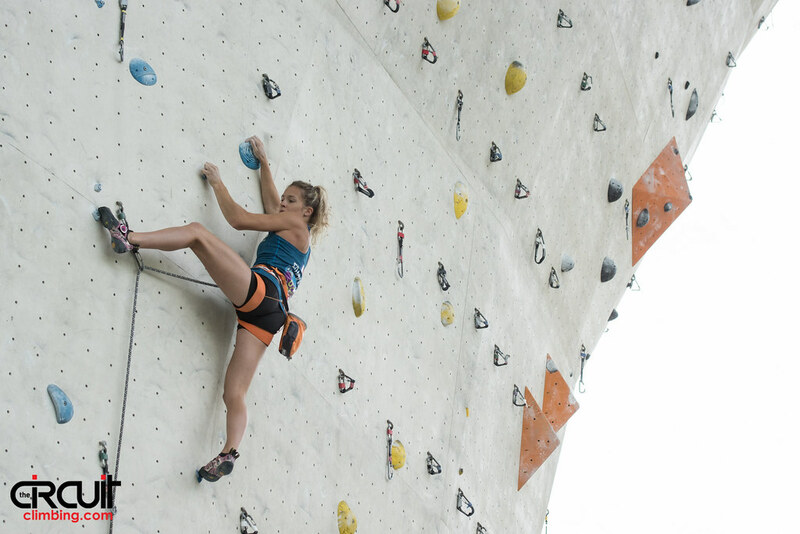 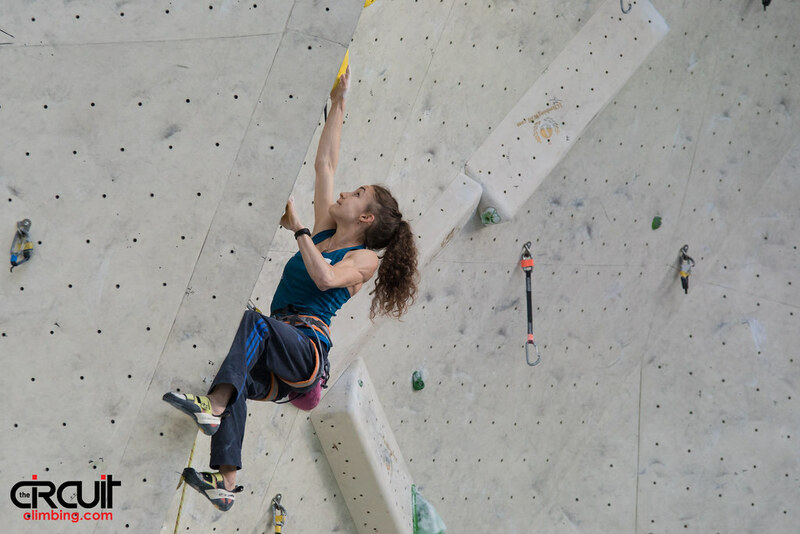 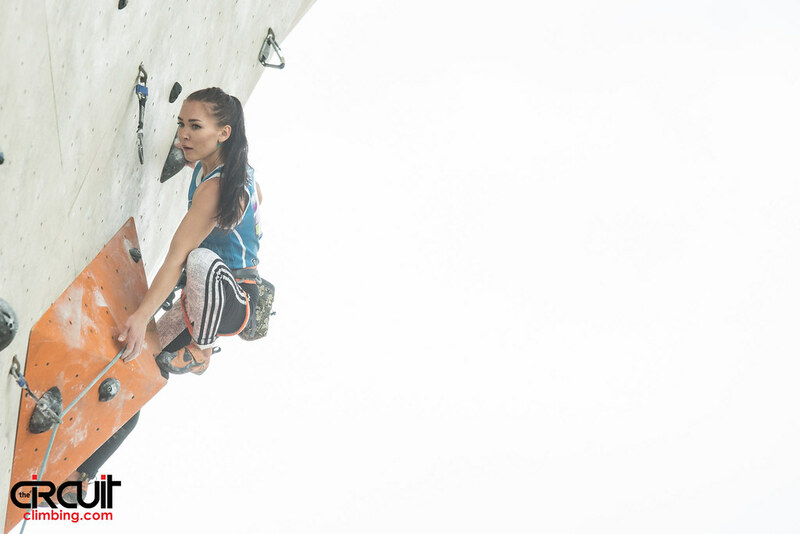 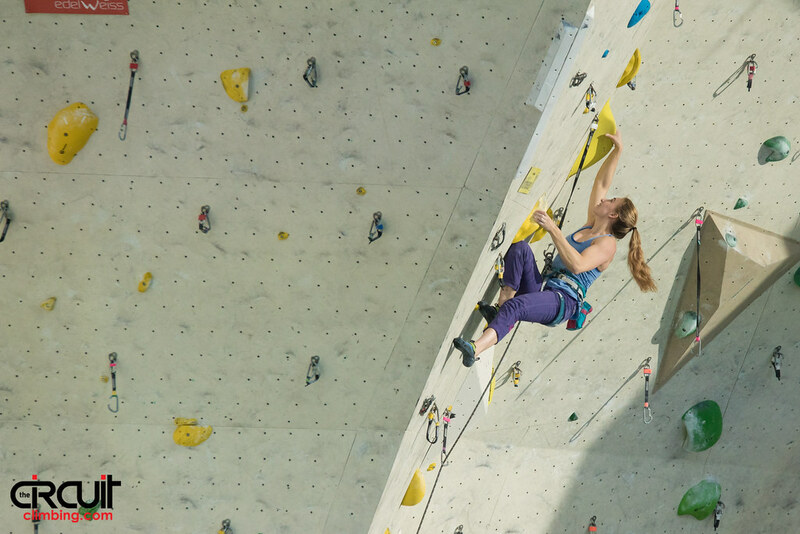 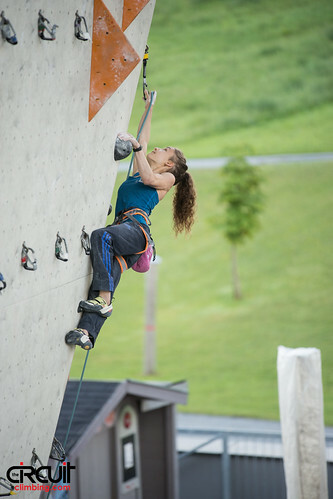 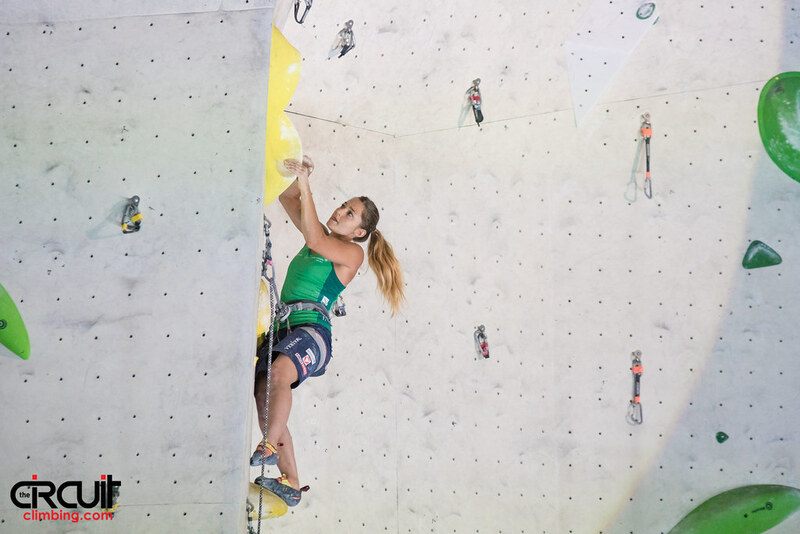 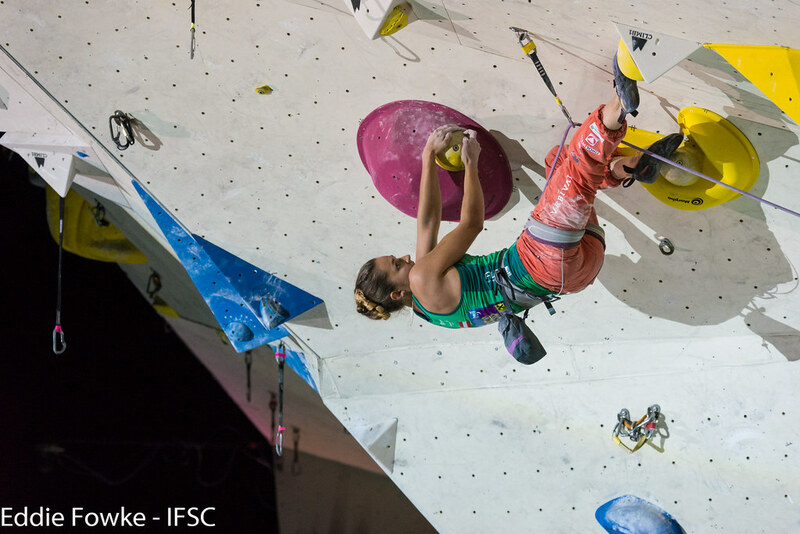 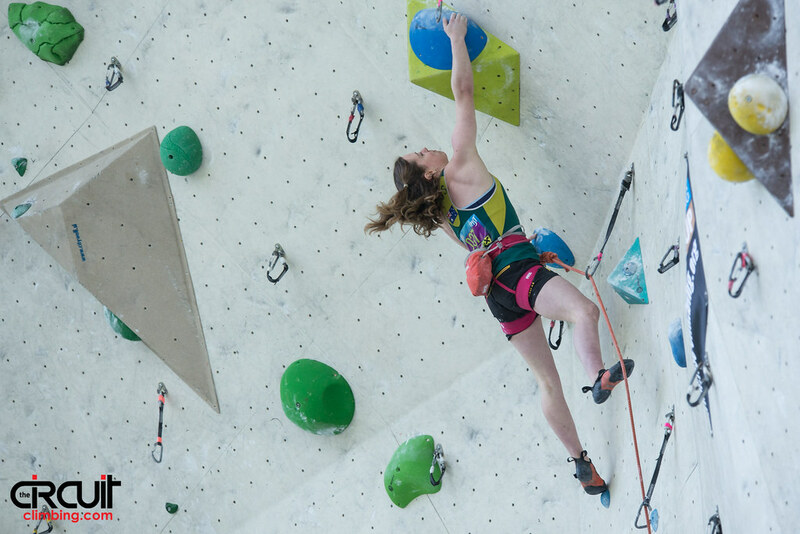 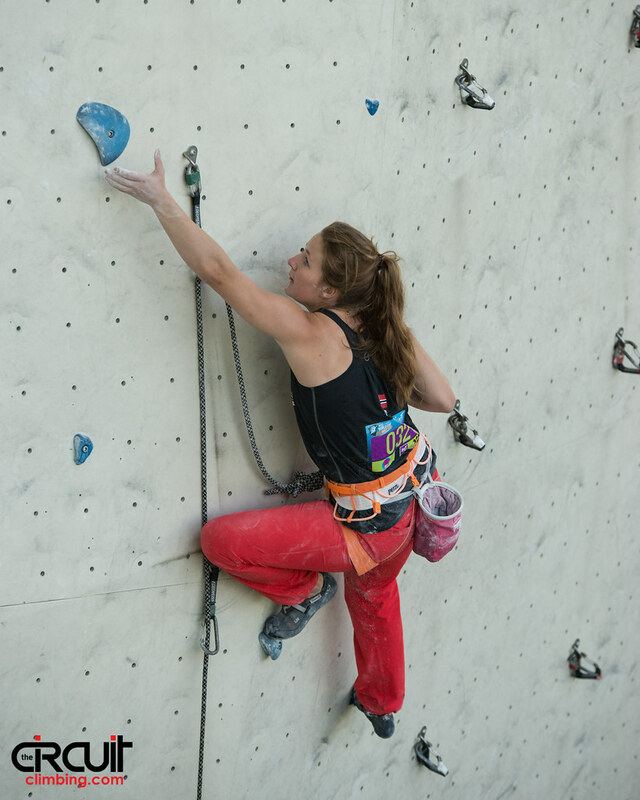 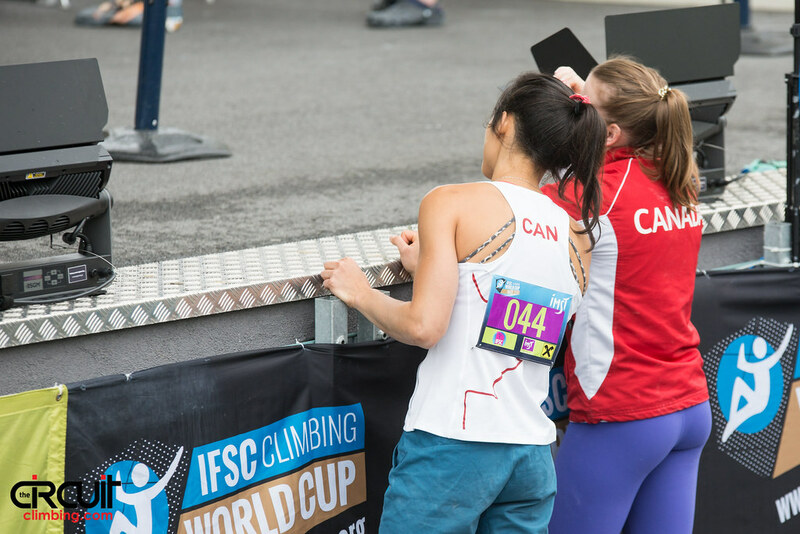 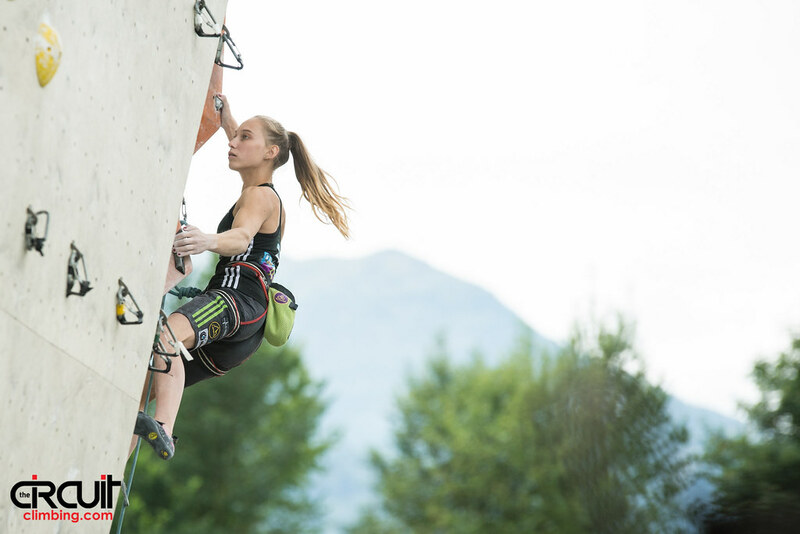 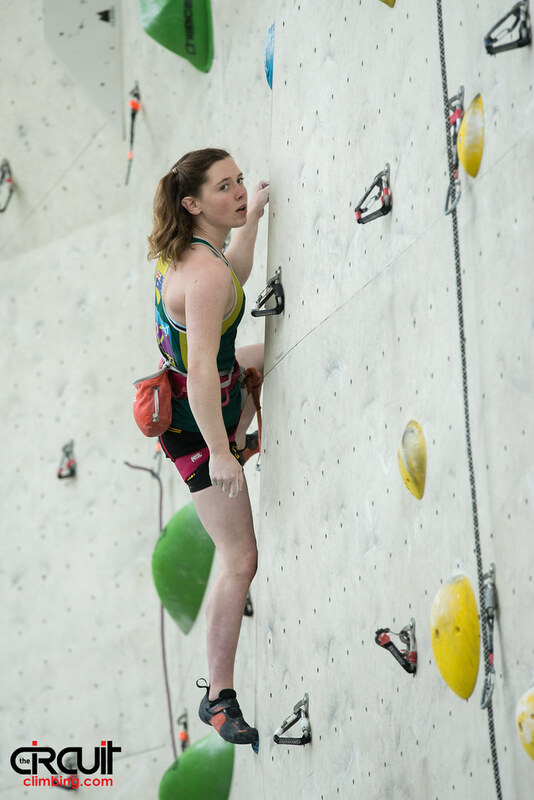 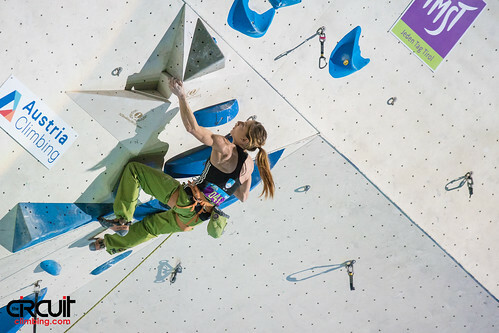 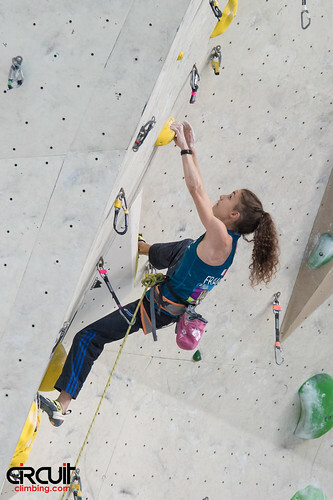 For the Women, seventeen-year-old Janja Garnbret ended her winning streak at three and missed out on the first IFSC Lead World Cup podium of her young career. She finished in fifth place. Nearly a quarter of the Women in Semi-Finals were French, but in the end veterans Mina Markovic of Slovenia and Jain Kim of Korea joined Röck on the podium for second and third place, respectively. 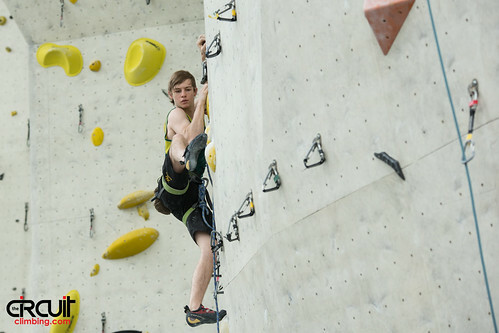 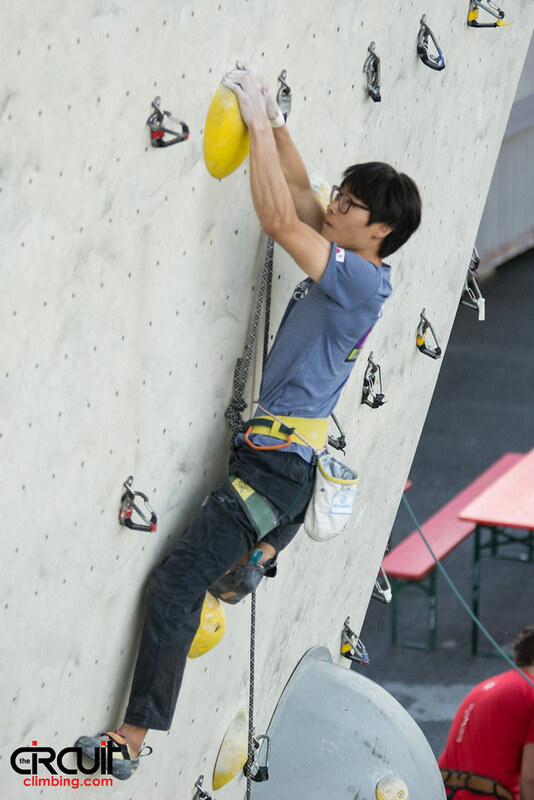 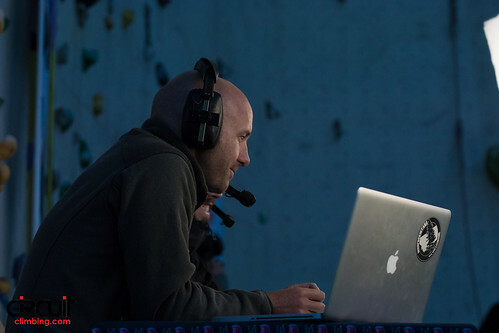 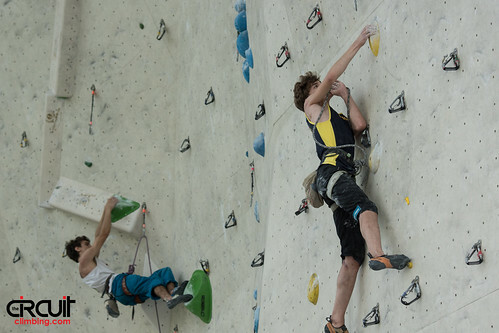 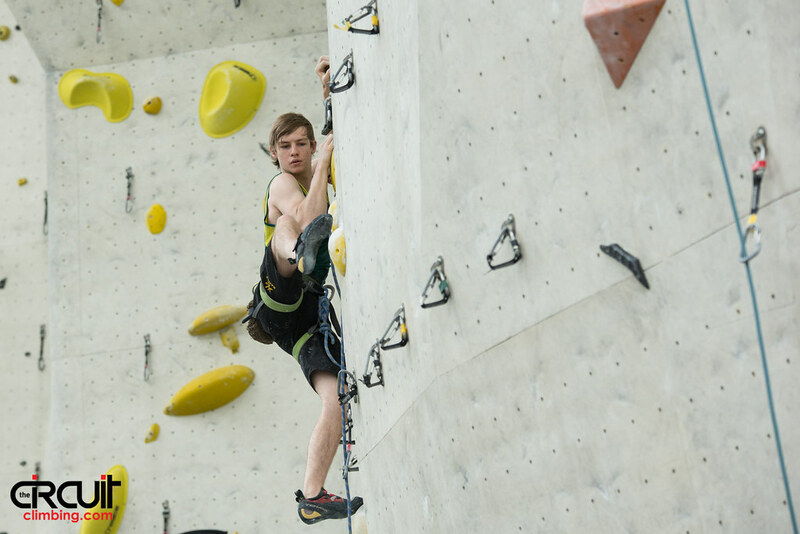 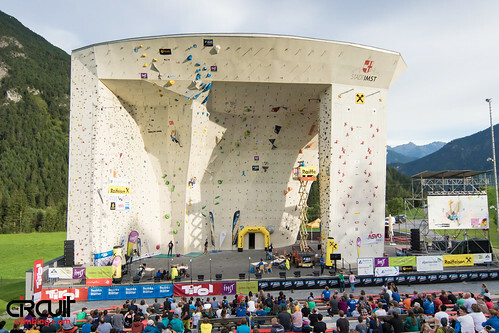 Time proved to be a factor on the roughly 22-meter wall in Imst. Fourth-place finisher Anak Verhoeven has yet to bring home Gold to Belgium, and she came tantalizingly close Saturday night. 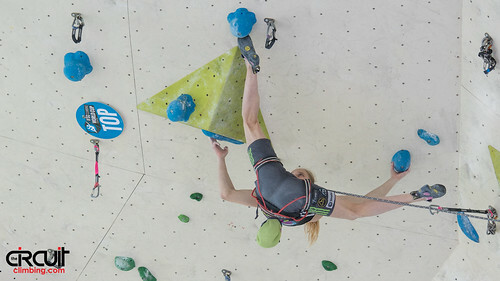 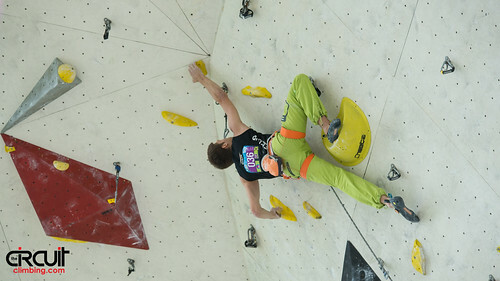 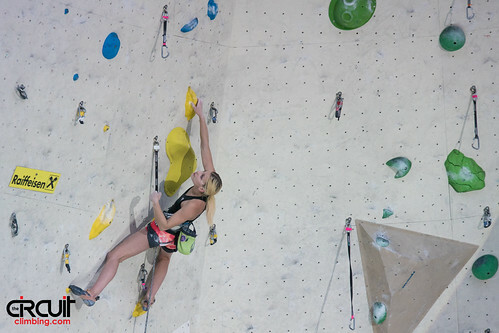 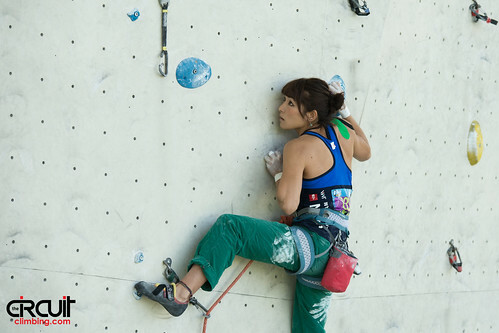 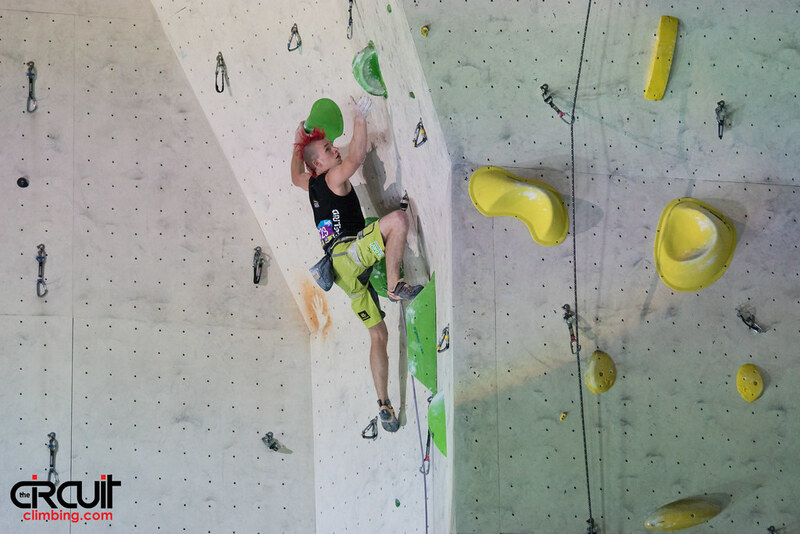 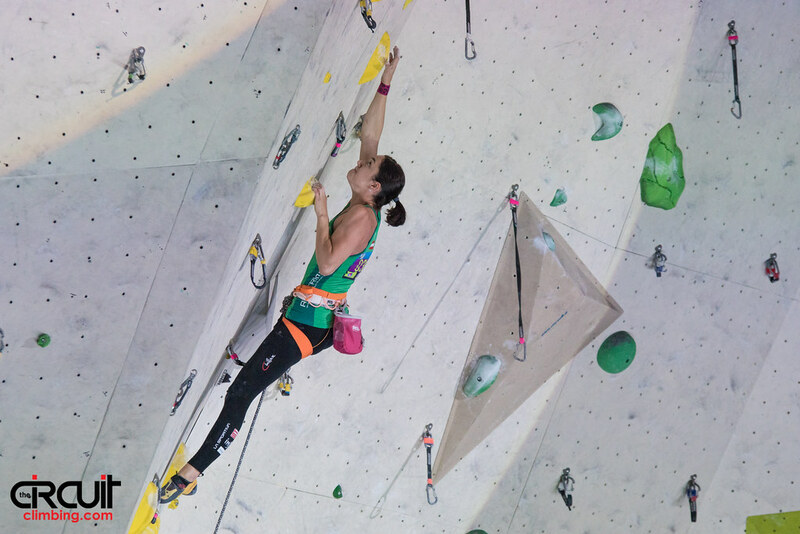 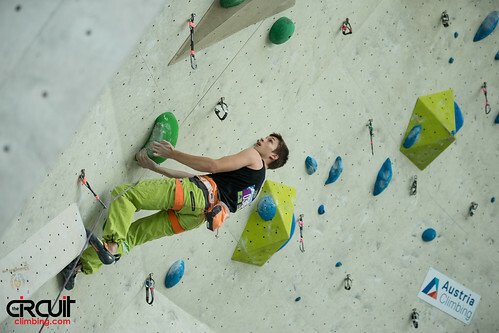 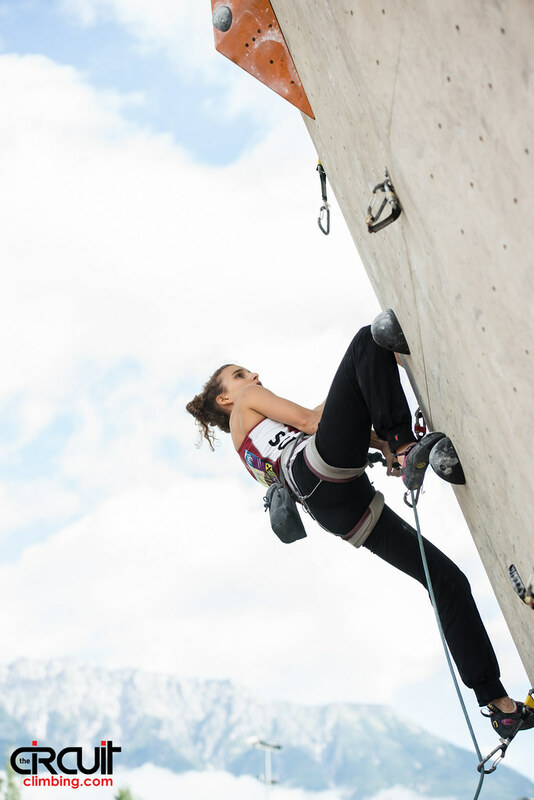 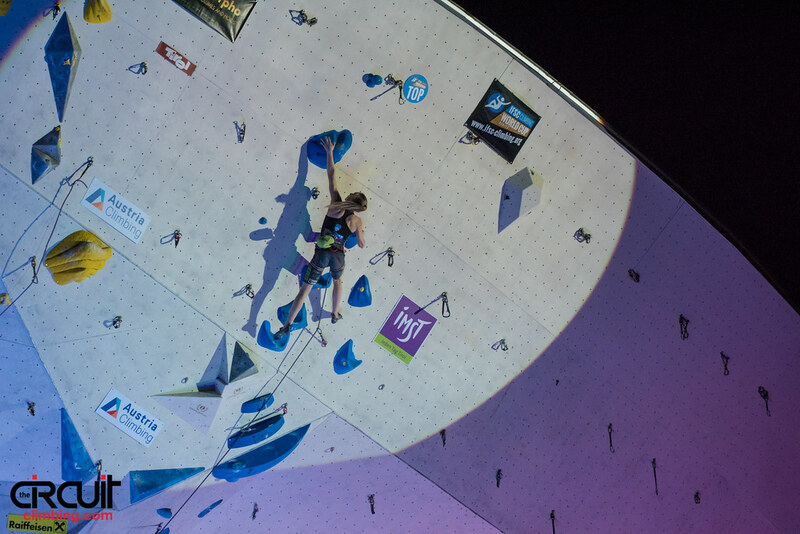 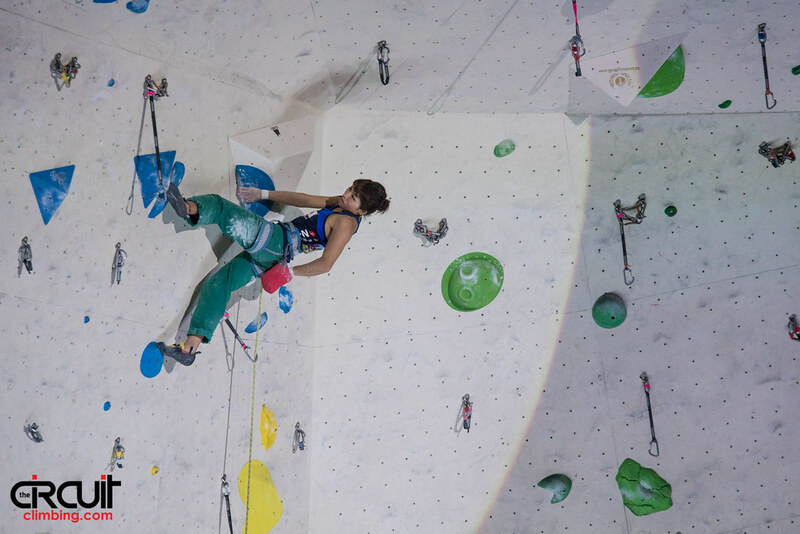 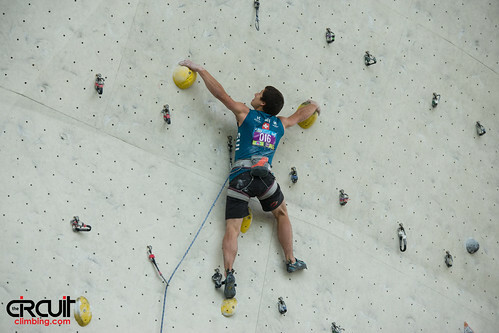 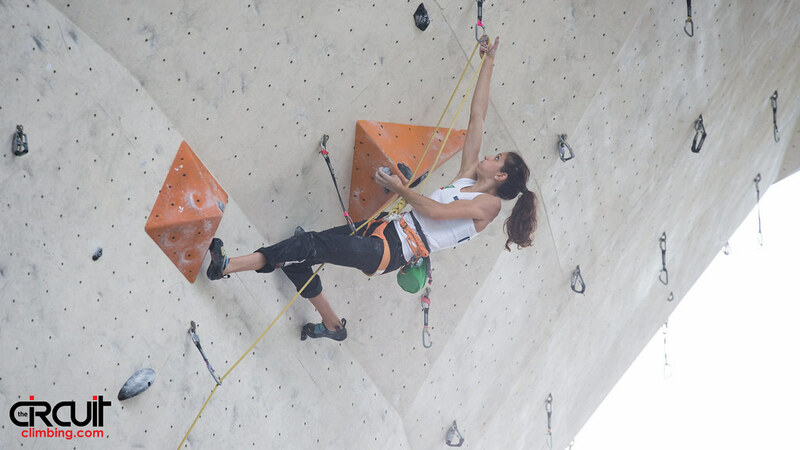 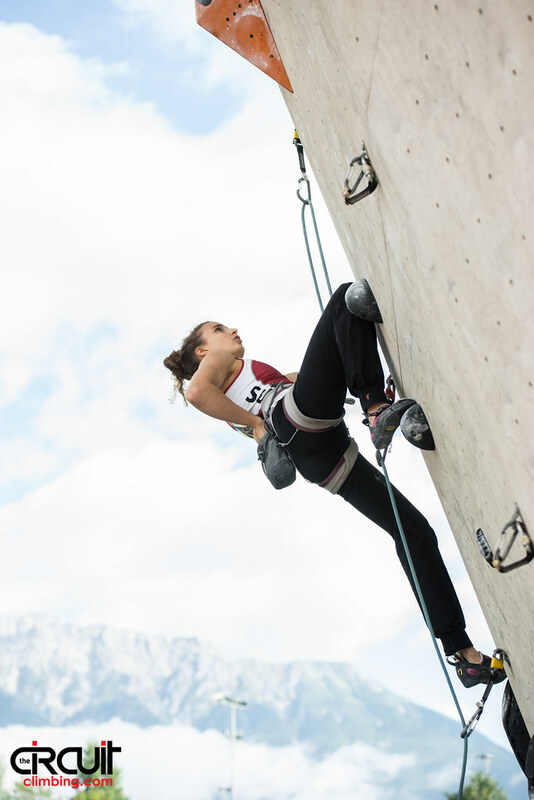 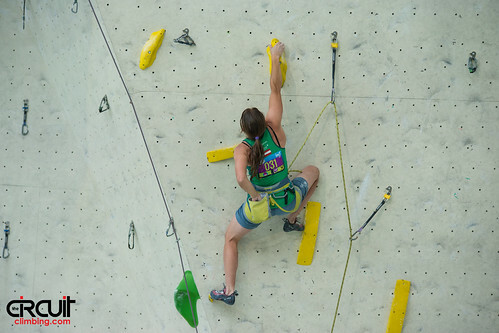 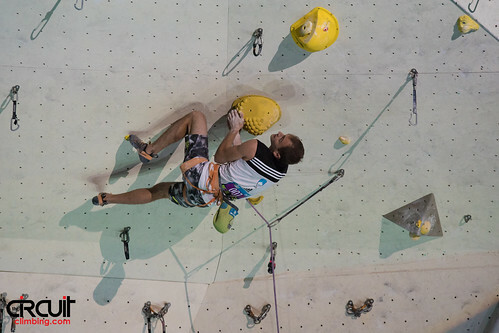 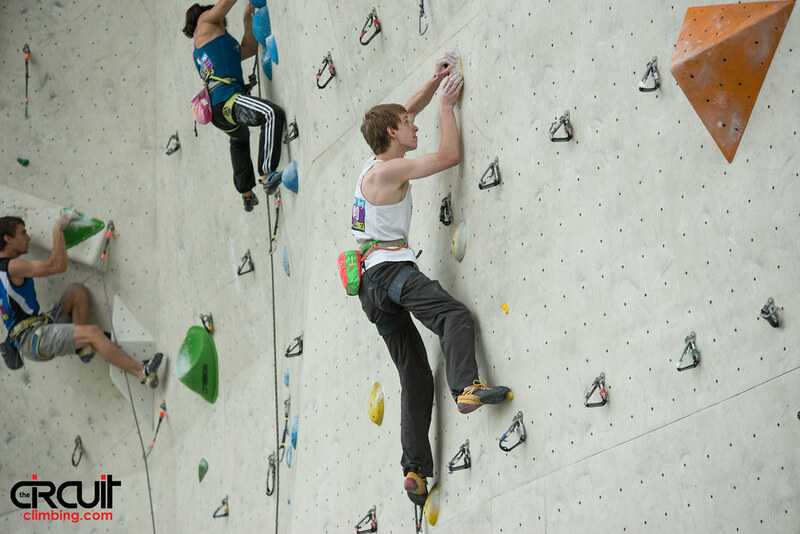 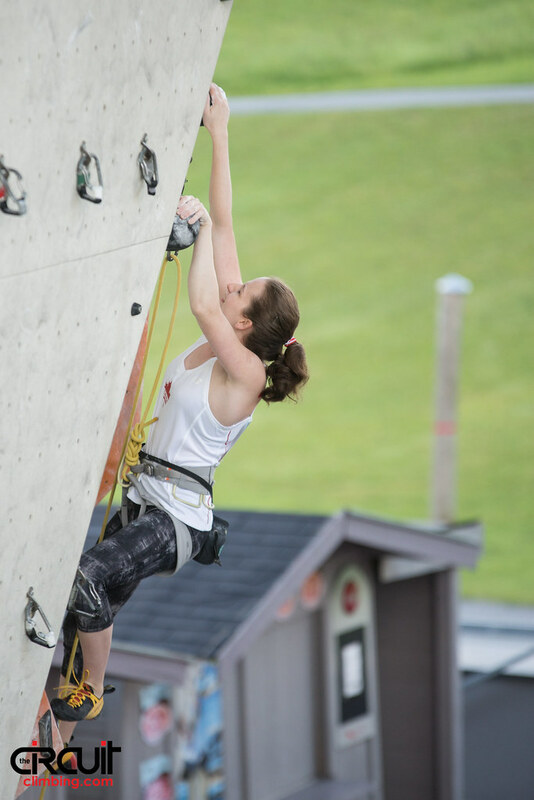 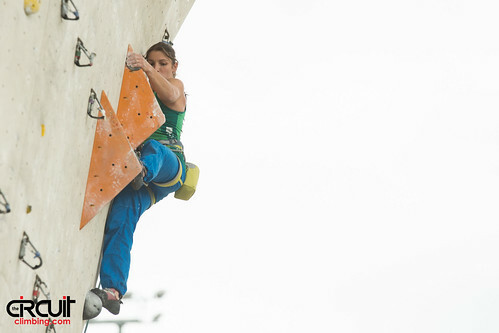 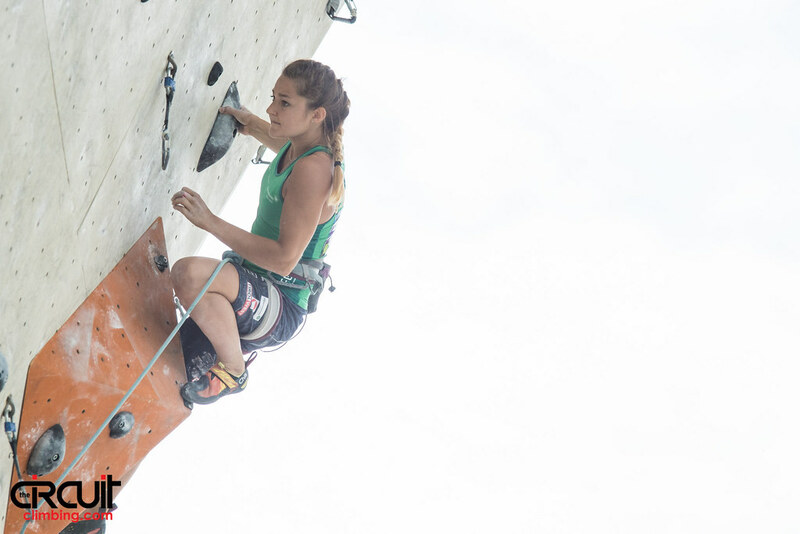 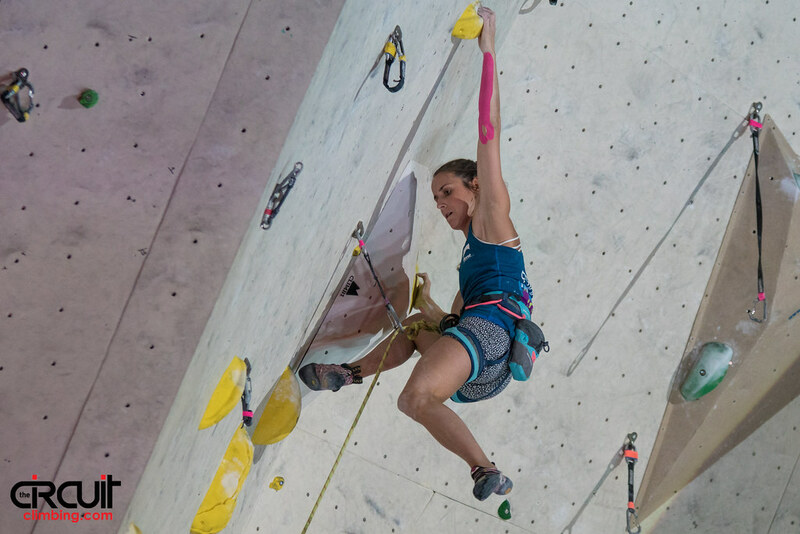 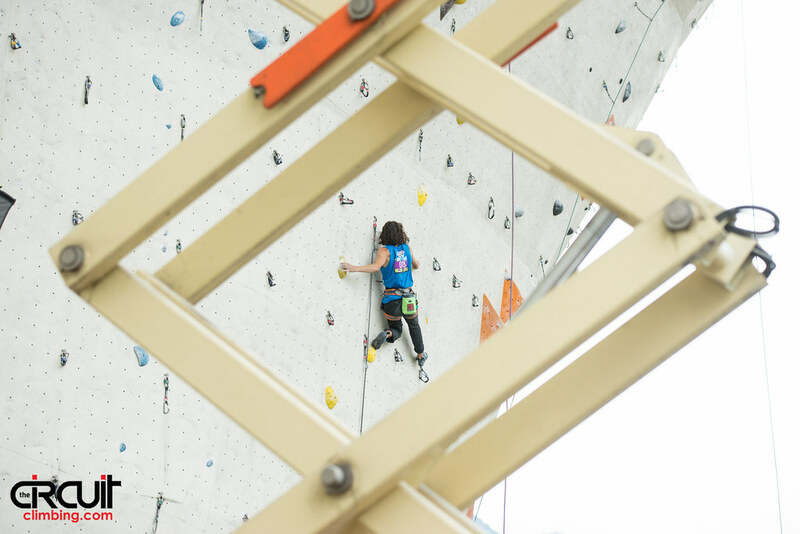 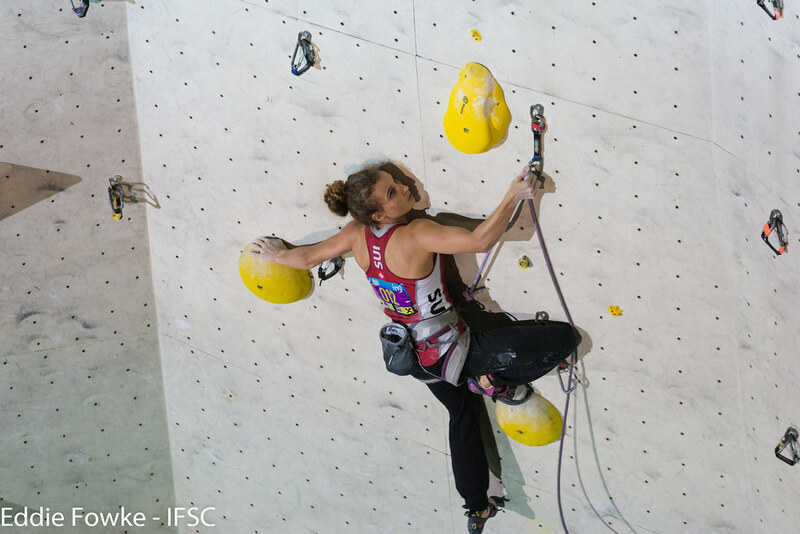 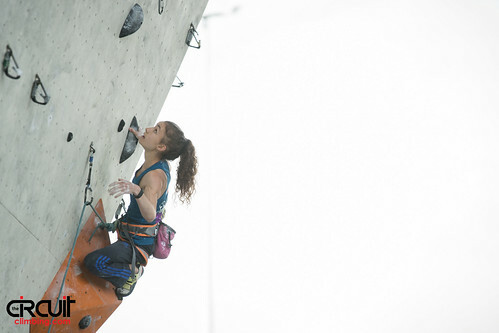 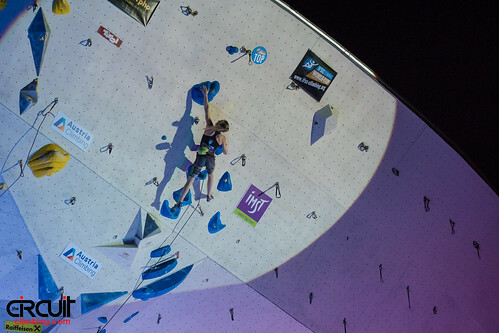 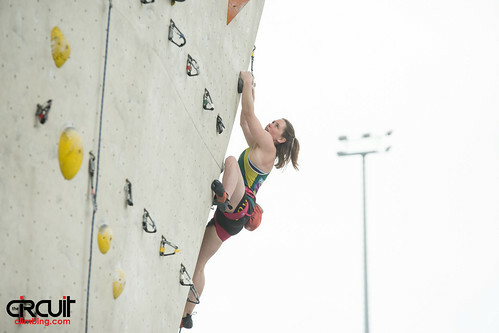 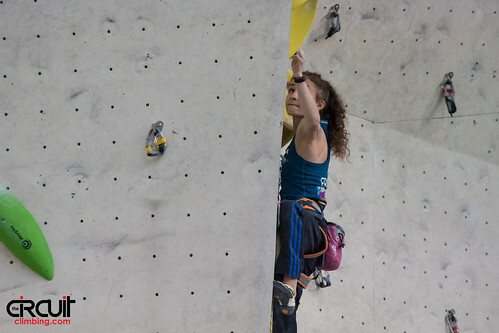 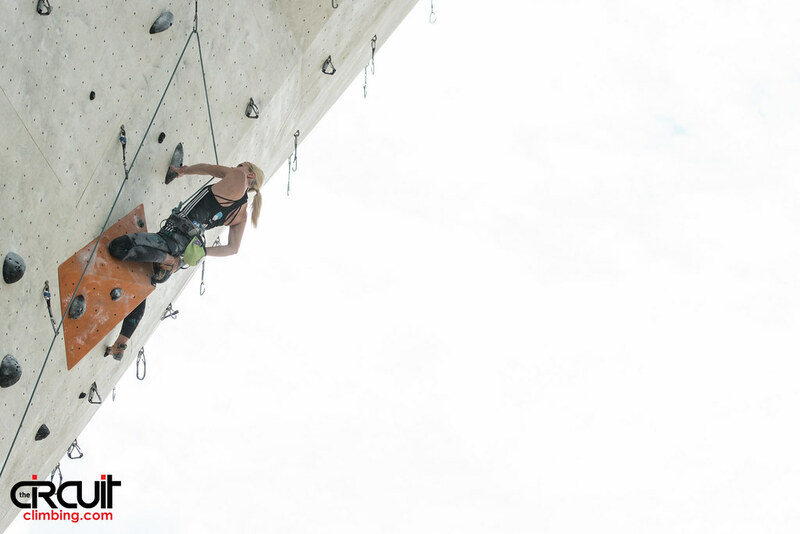 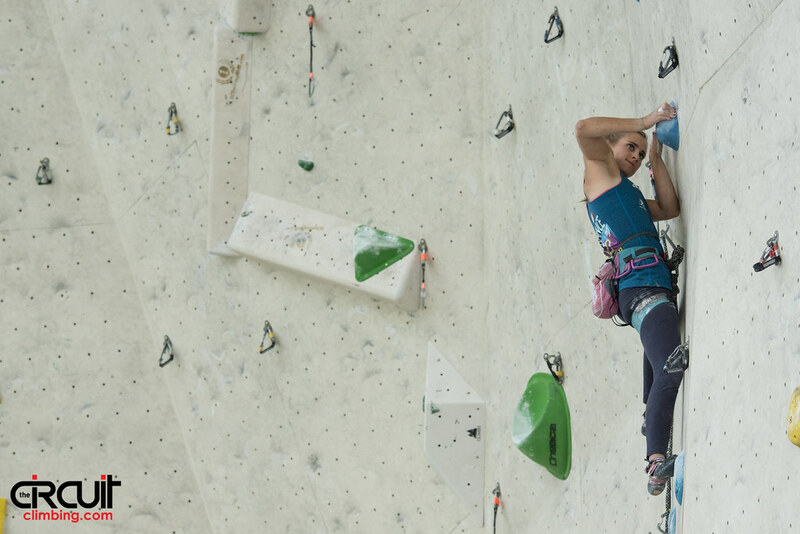 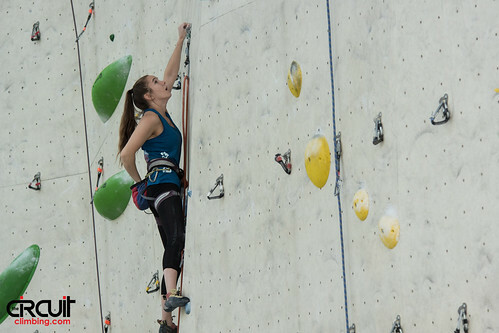 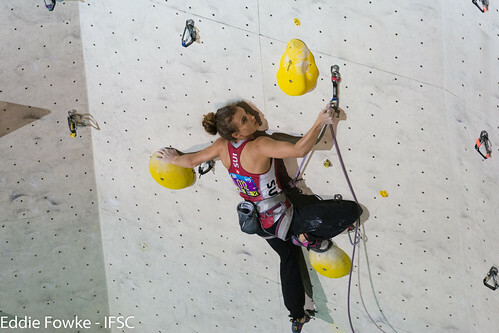 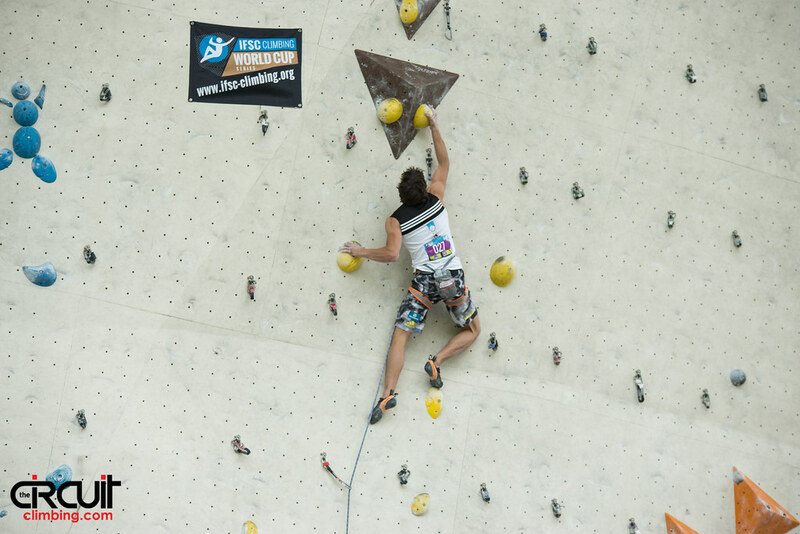 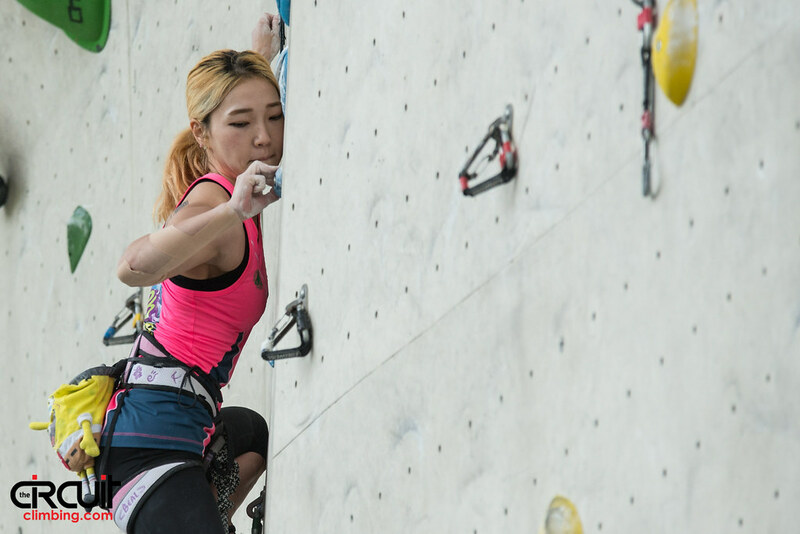 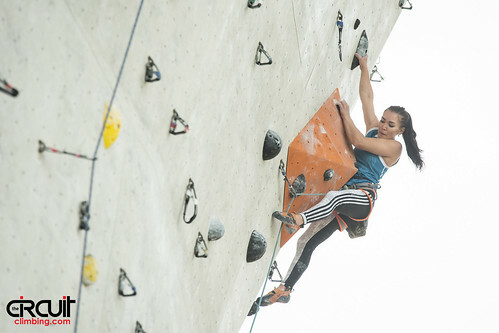 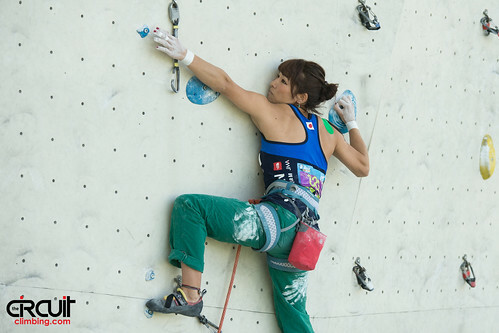 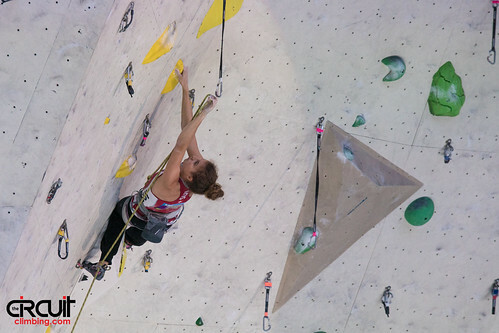 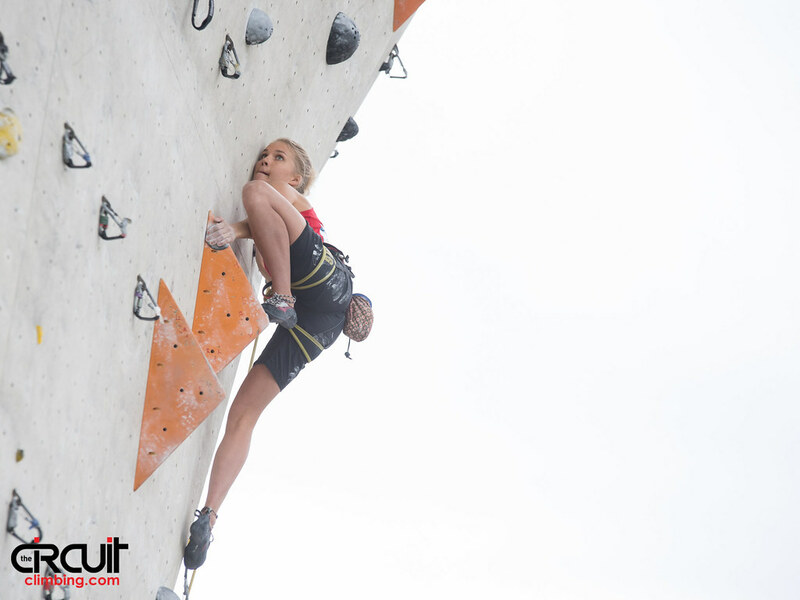 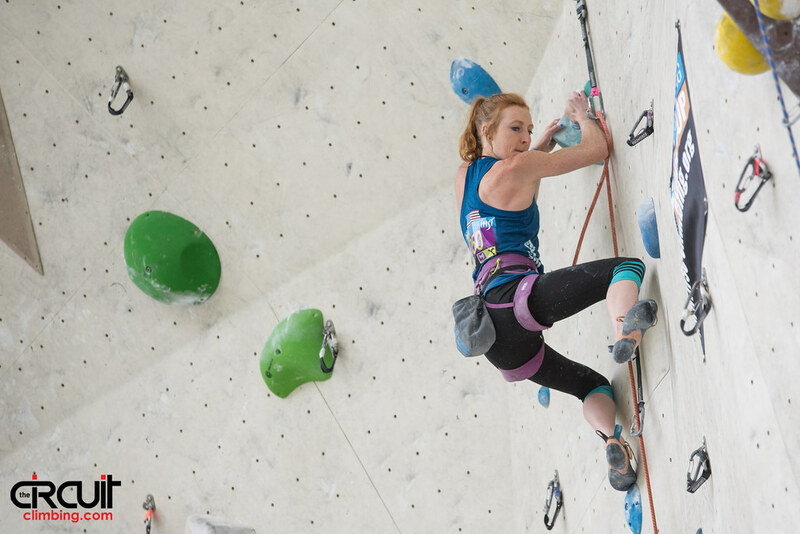 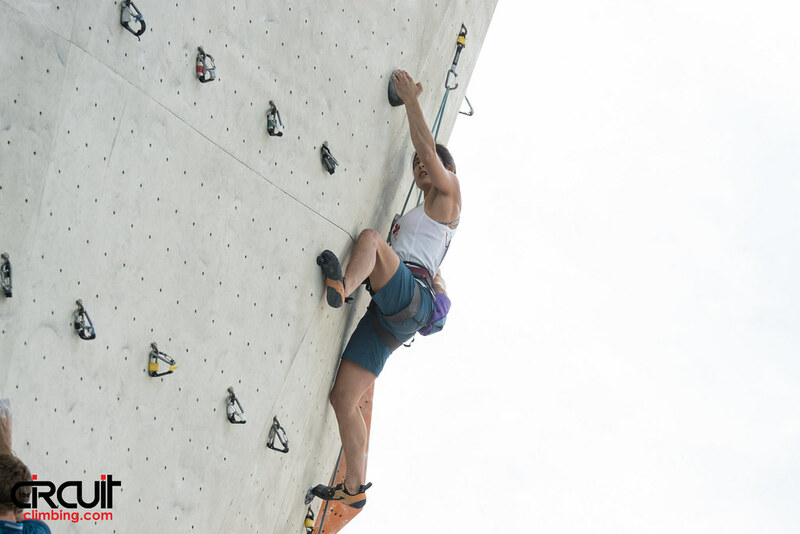 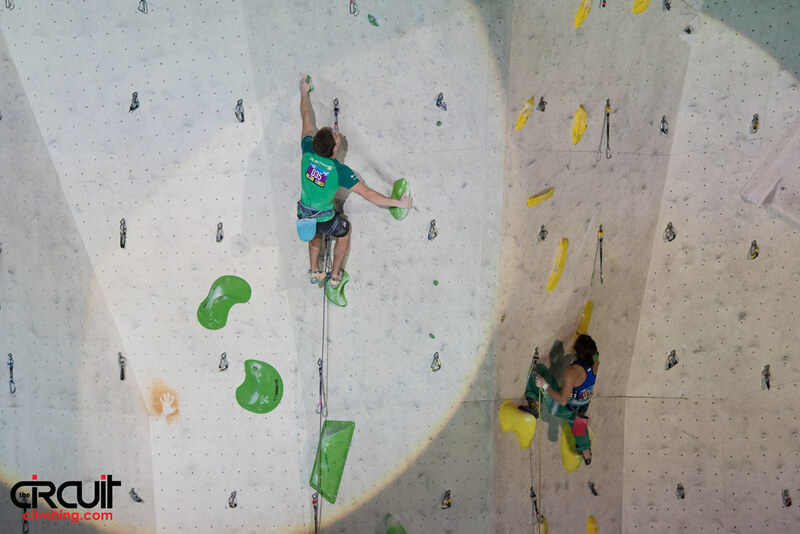 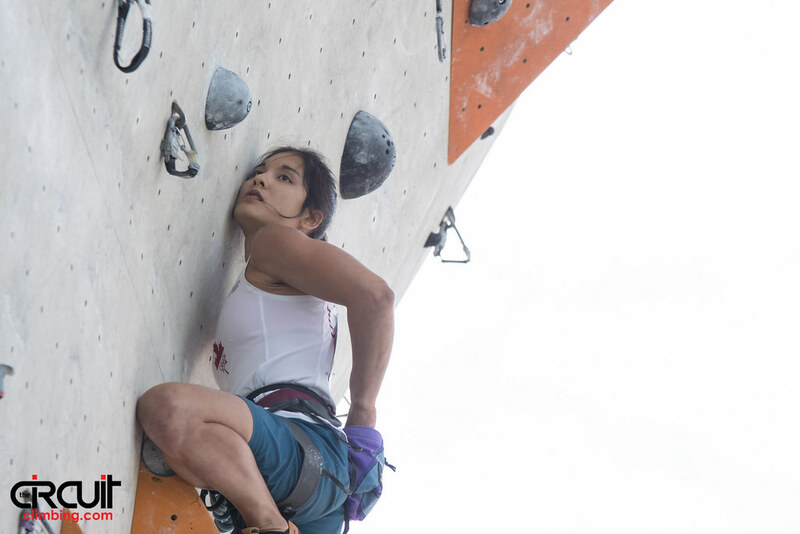 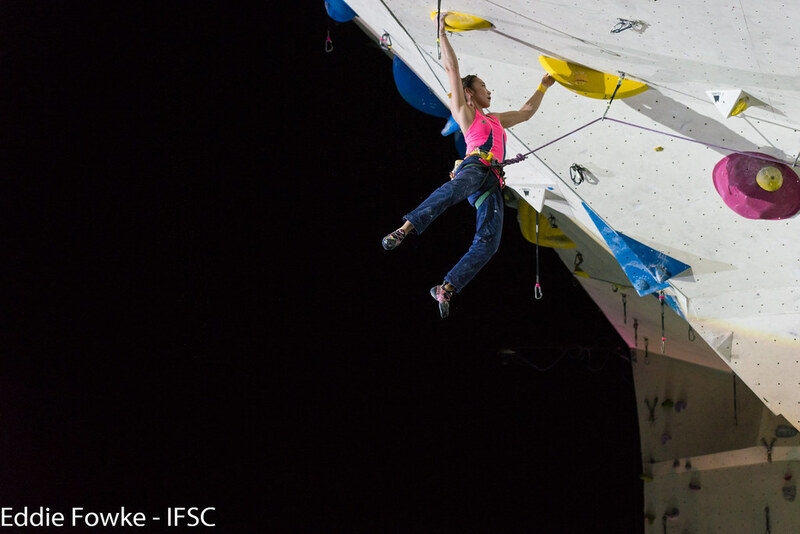 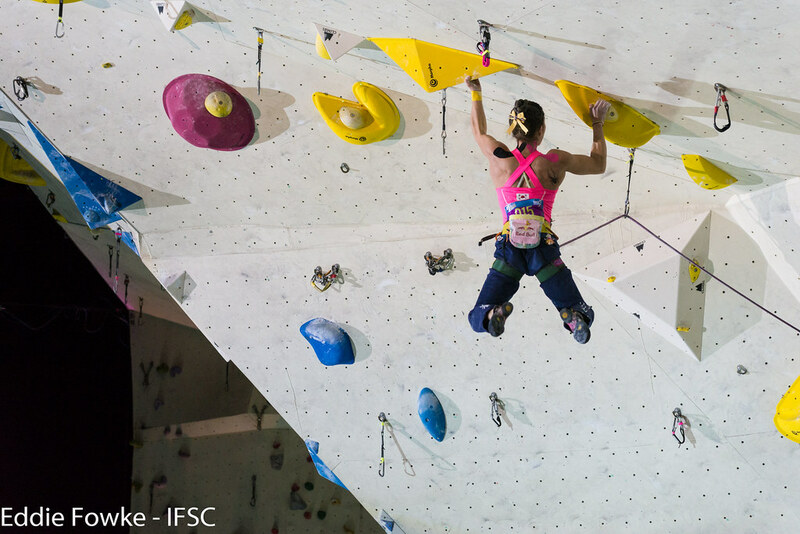 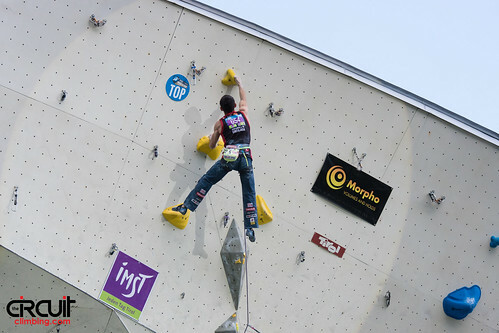 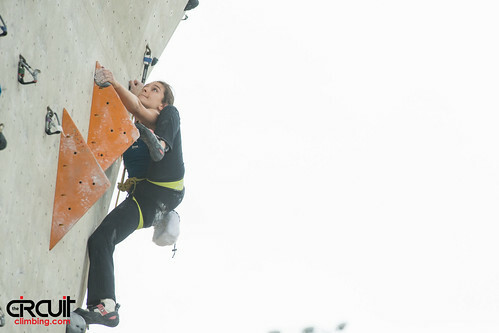 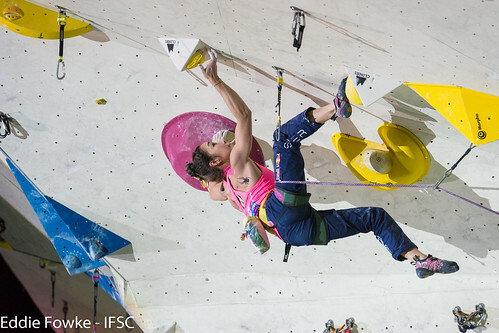 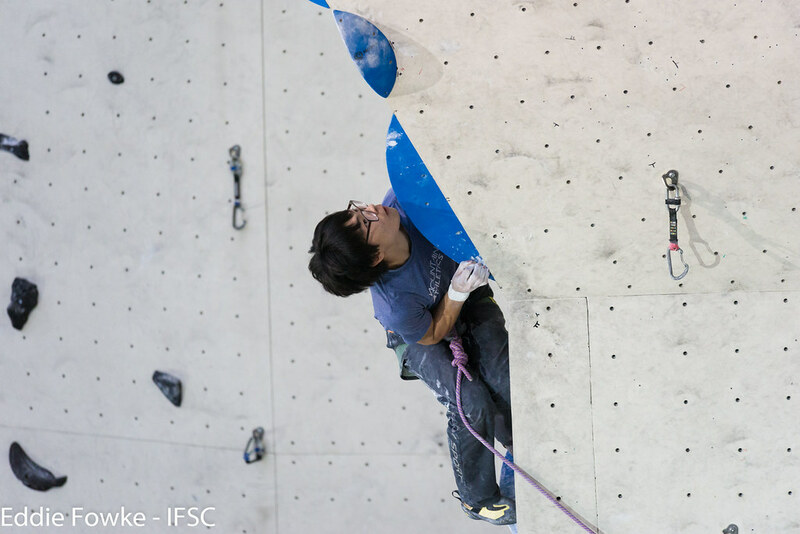 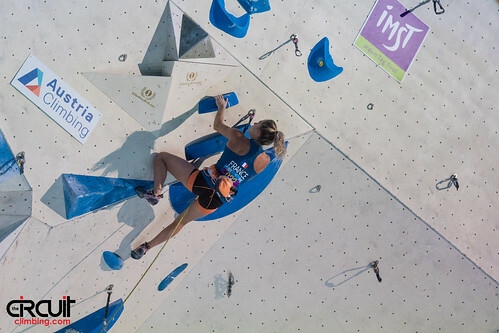 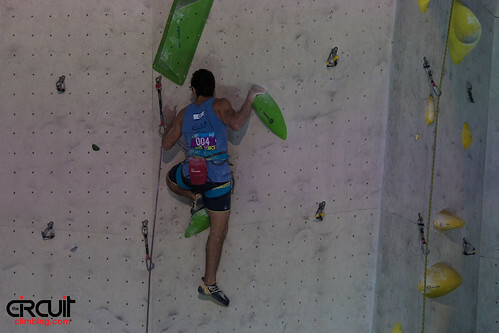 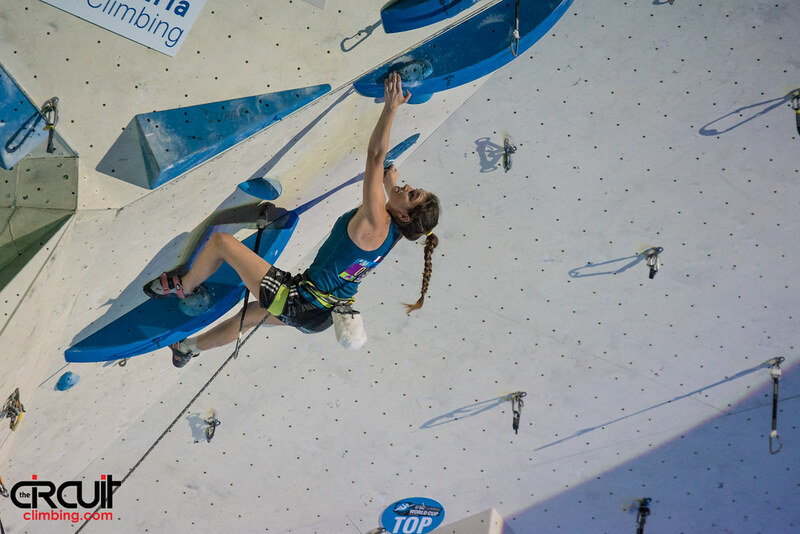 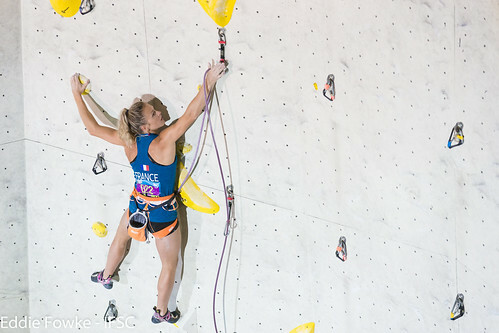 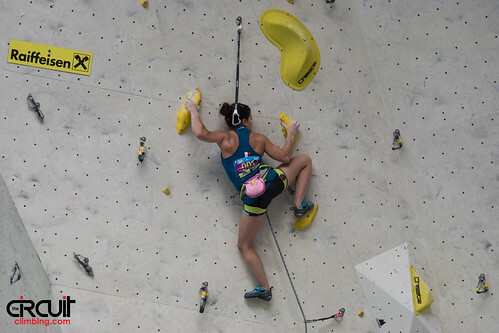 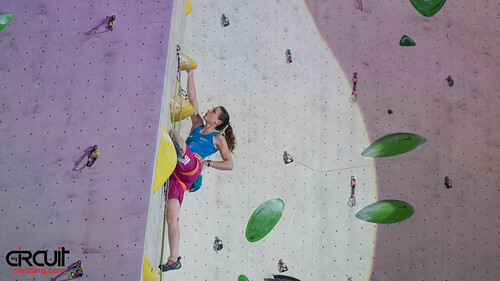 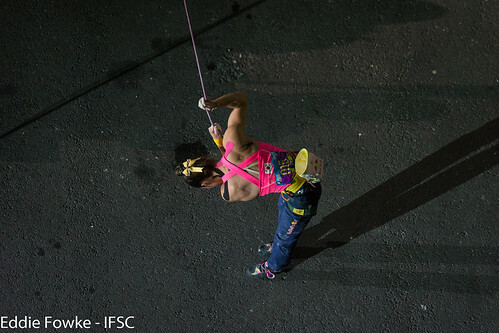 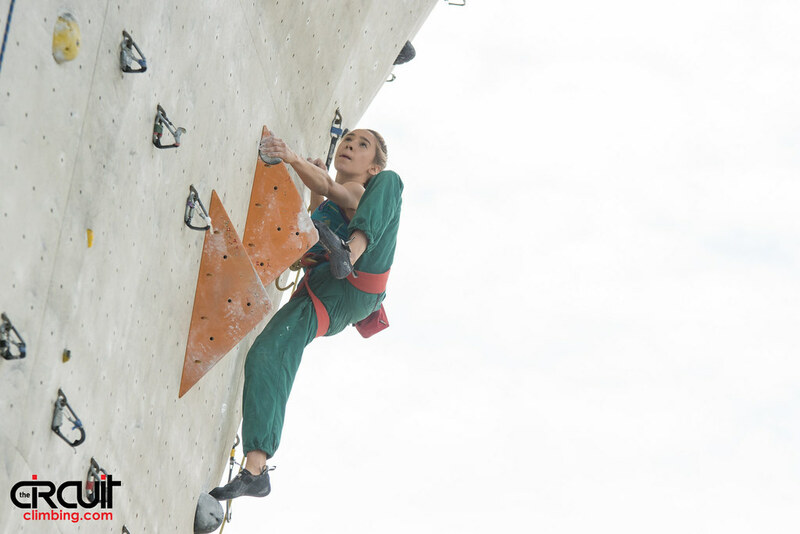 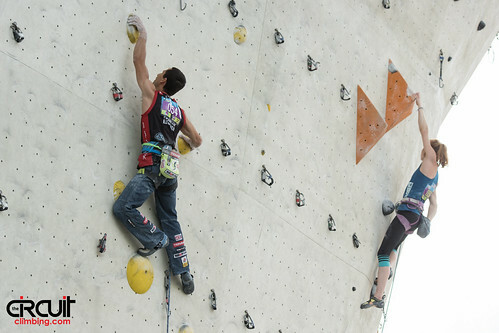 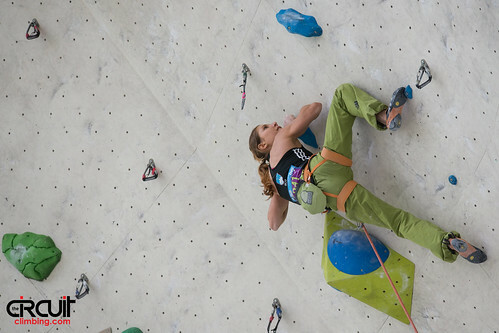 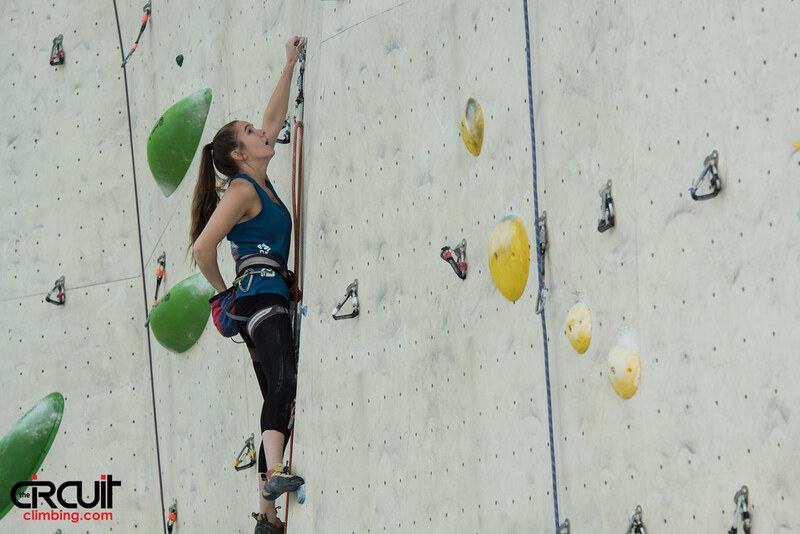 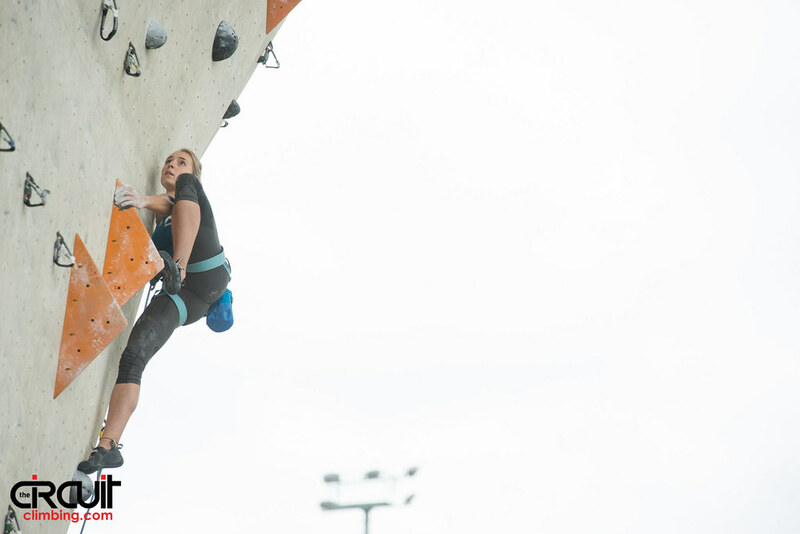 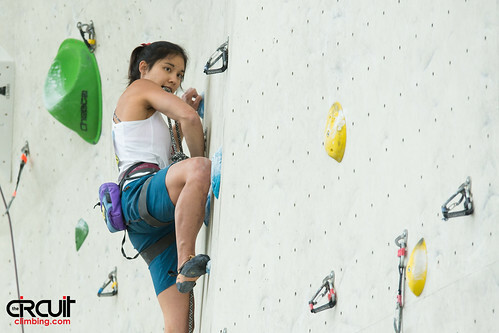 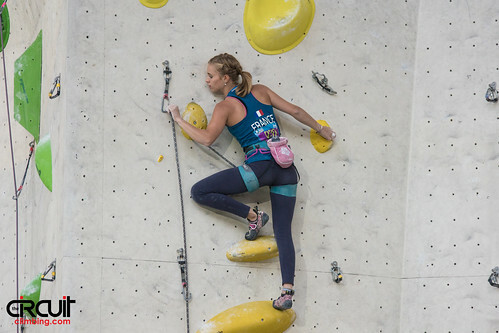 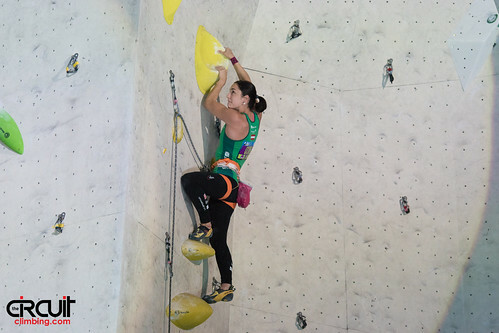 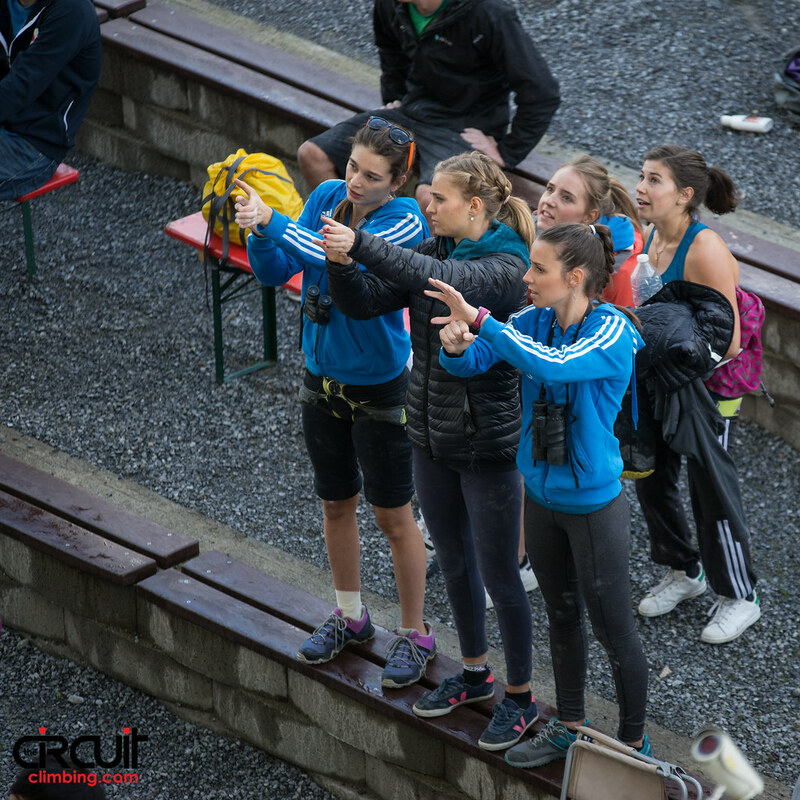 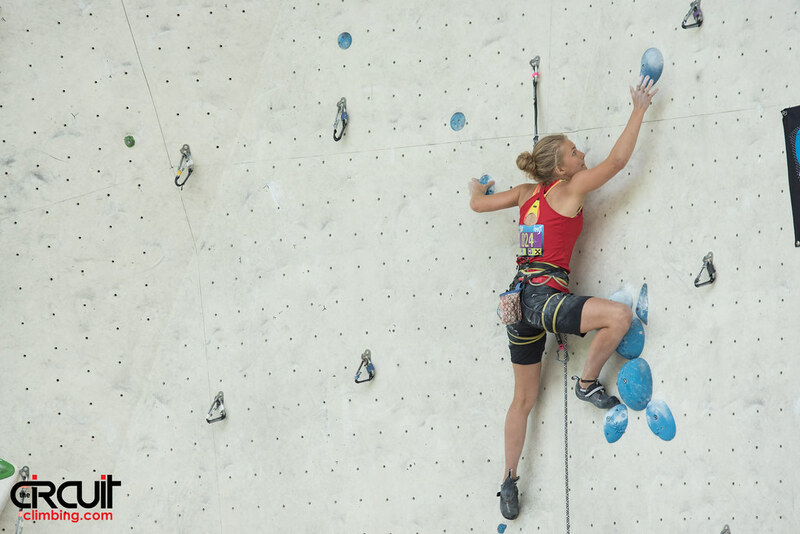 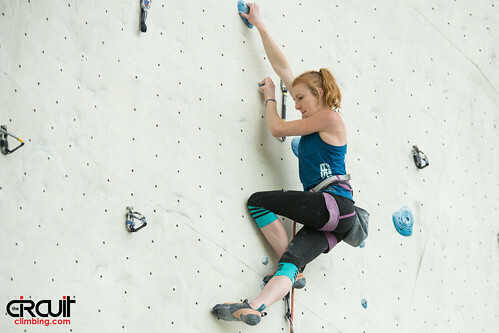 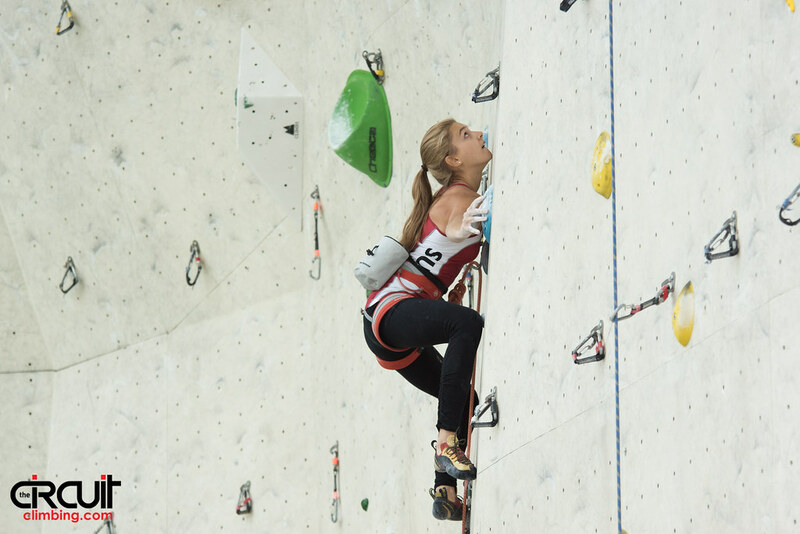 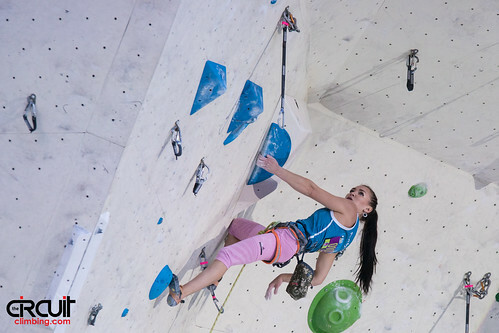 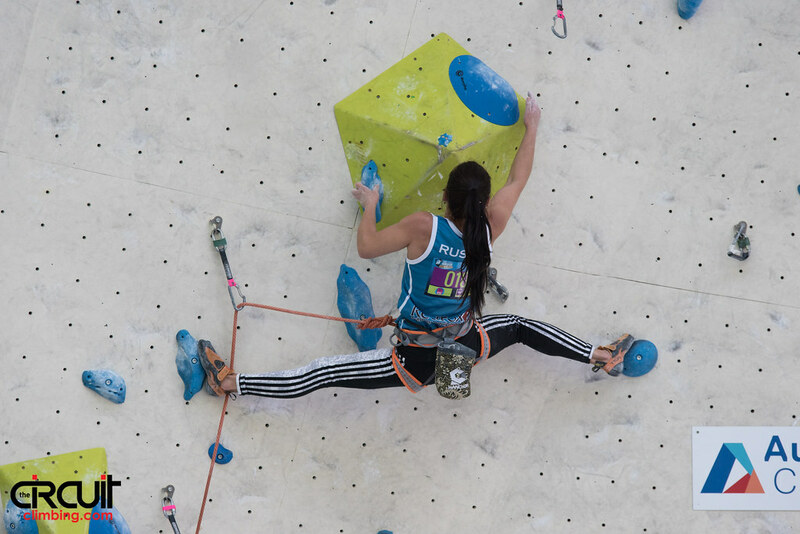 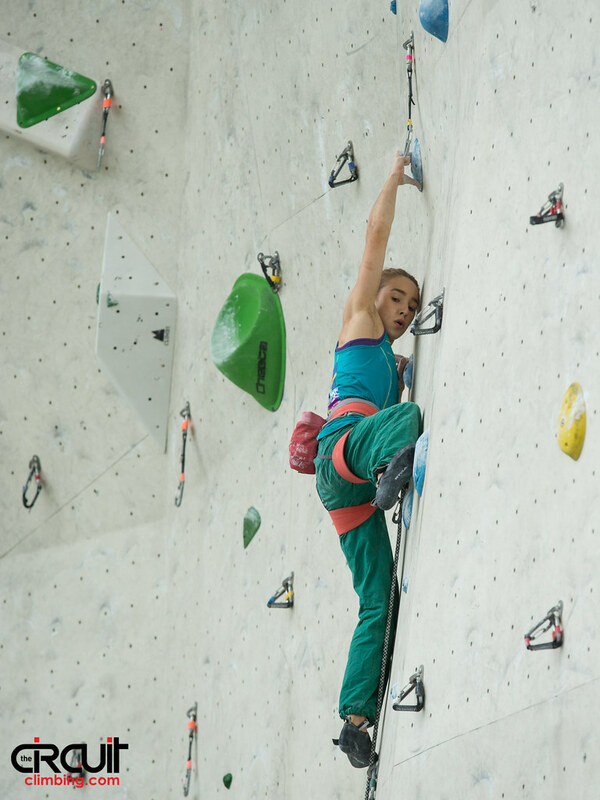 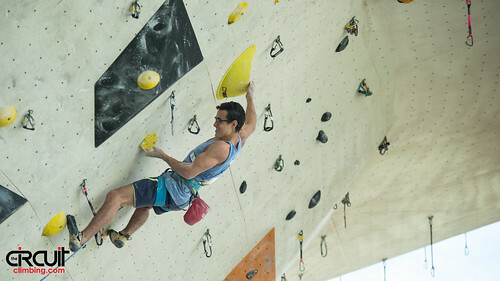 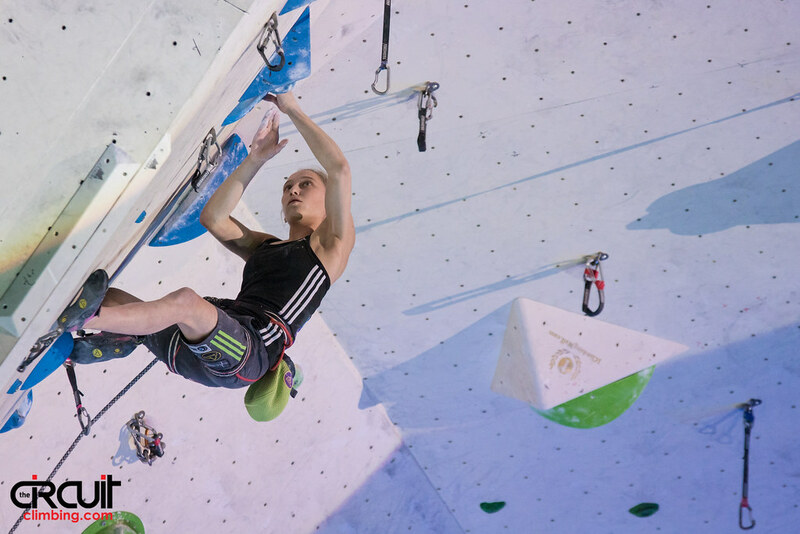 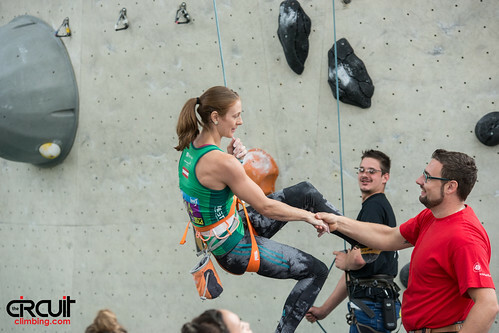 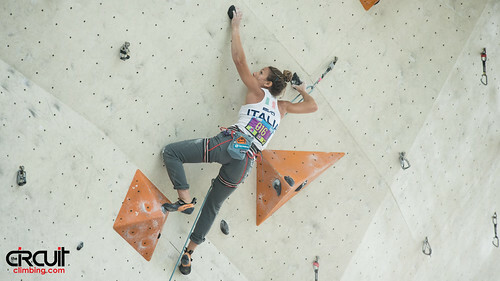 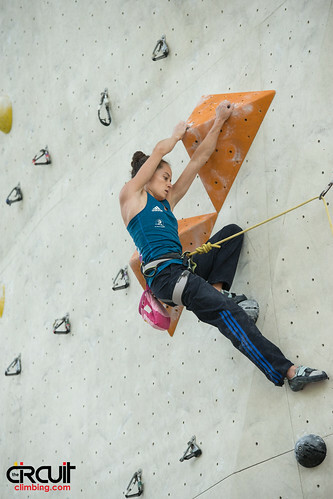 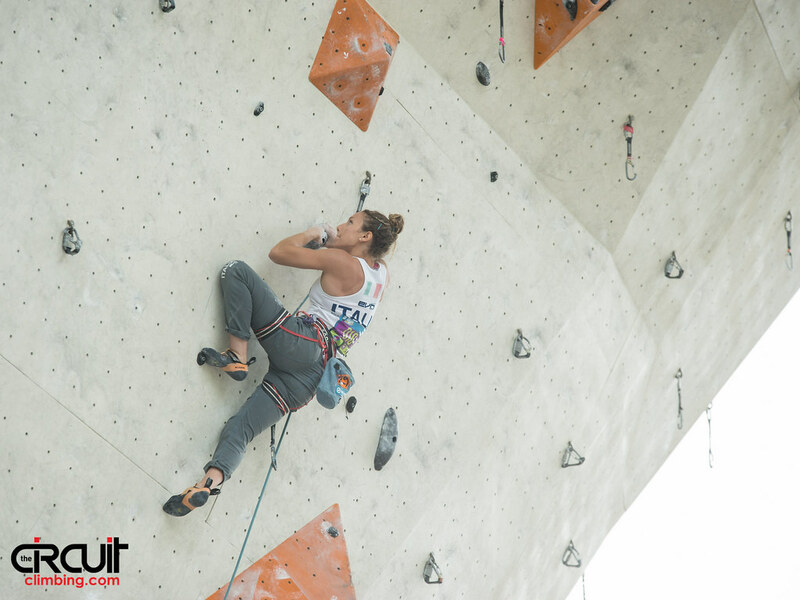 The Women's Finals route was progressively overhanging, with a complex roof just before the top panel. Kim was the first Athlete to reach the sequence, but neither she nor Markovic conserved enough energy to complete the puzzle. Röck tried a more creative solution, dangling almost upside down and leading with her feet, which earned her positive movement beyond their high point. In the end, her inspiring effort was enough for Gold when Verhoeven timed-out just as she approached the same spot. 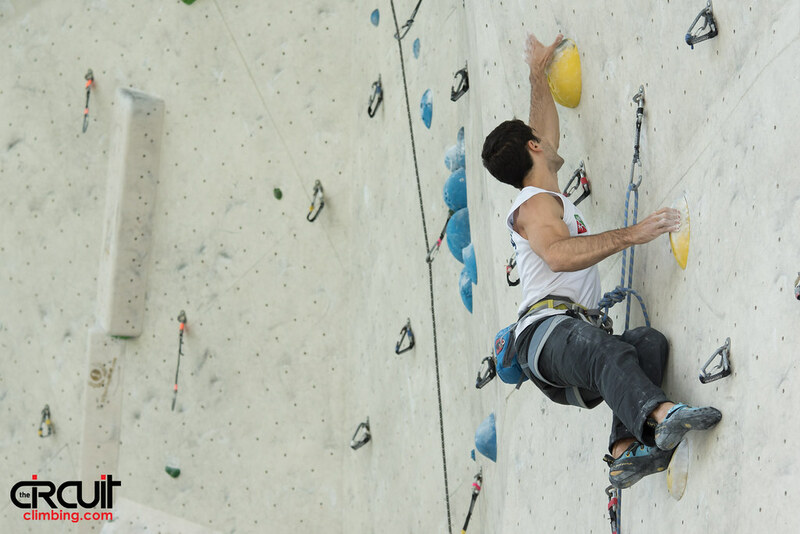 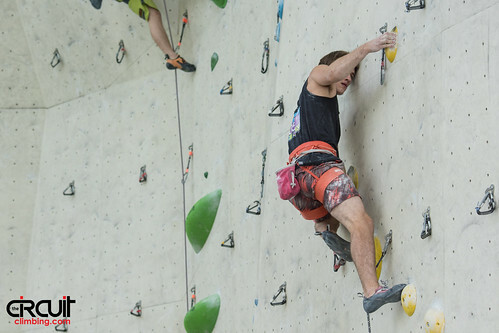 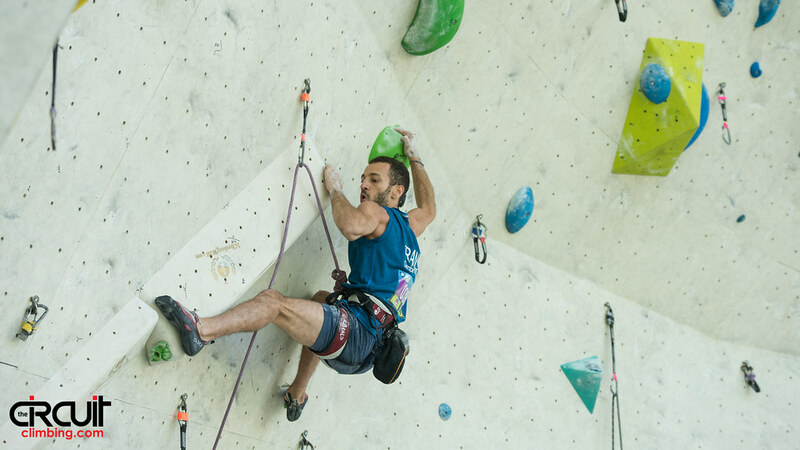 Like the Women's Finals route, the physical Men's Finals route kept every Athlete from clipping the chains. 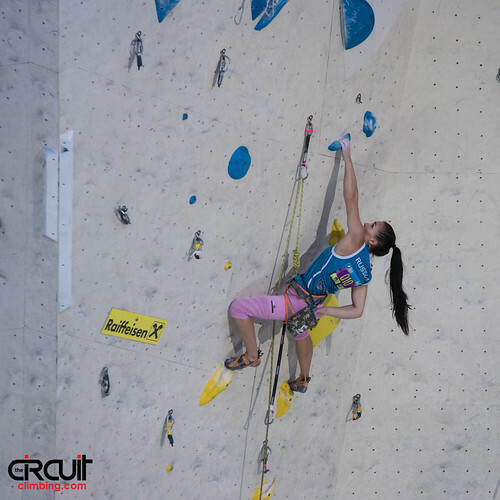 Blue torpedoes littered the burly lower crux section which tired many athletes, as well as the upper panel. 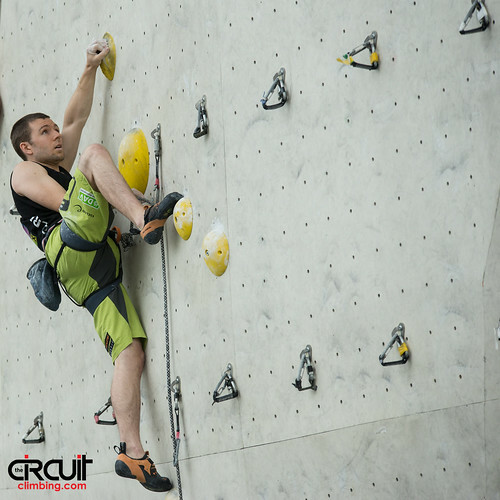 Supper conserved enough energy to fight the pump longer than most of the field, but the Frenchman seemed to miss a foothold at the upper crux. 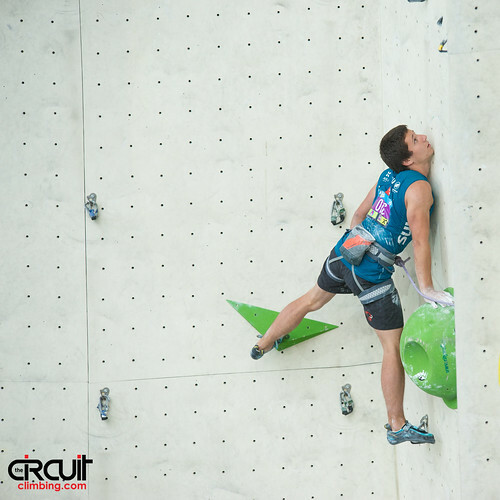 Schubert found a much needed heel hook to push through the top section in front of his home crowd, but he still fell well shy of the chains. Skofic copied the stunt later on for his second Gold in a row.